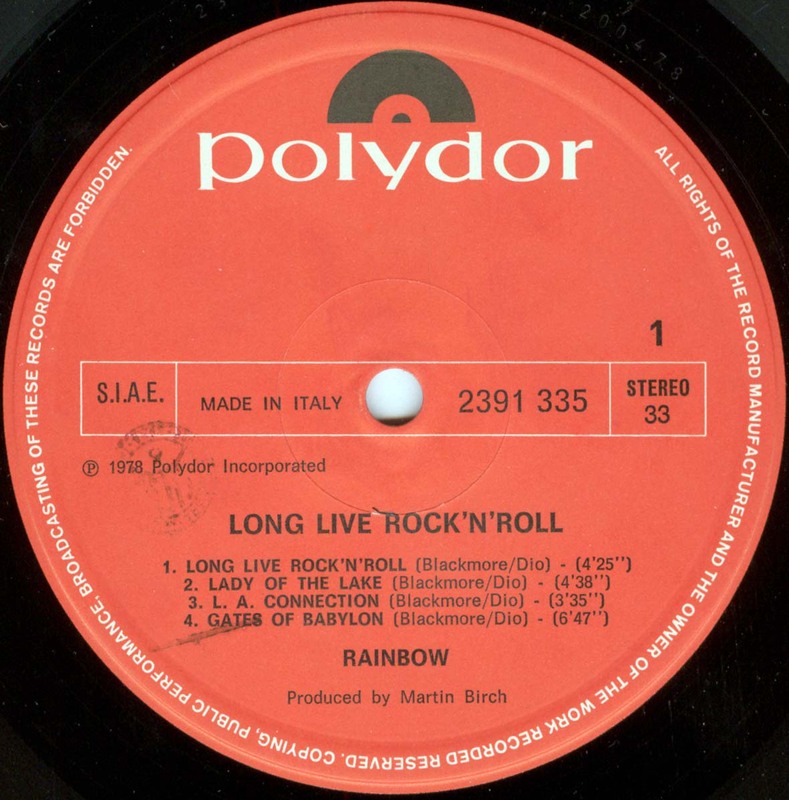 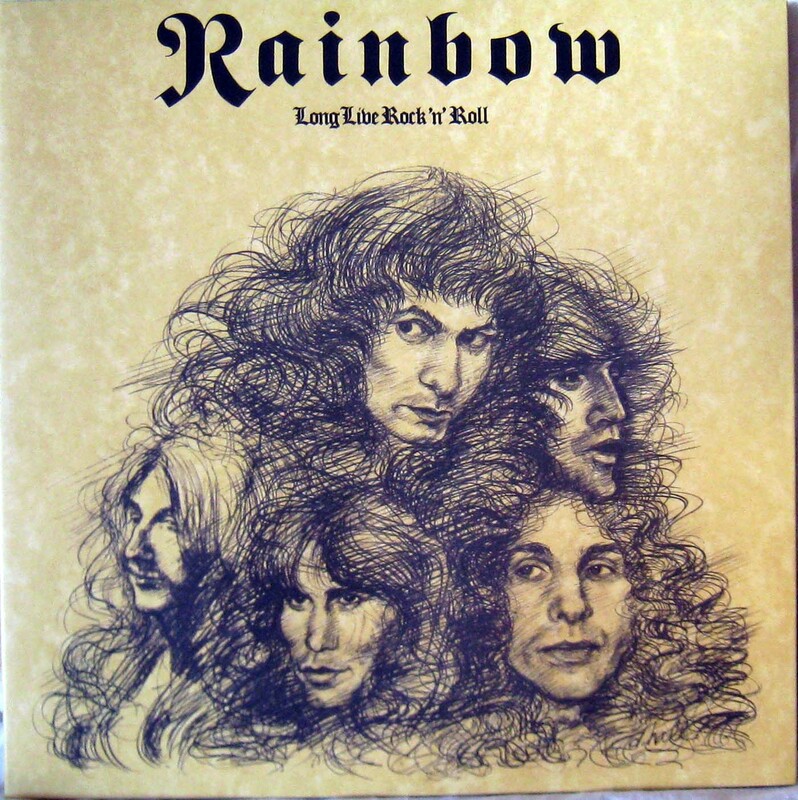 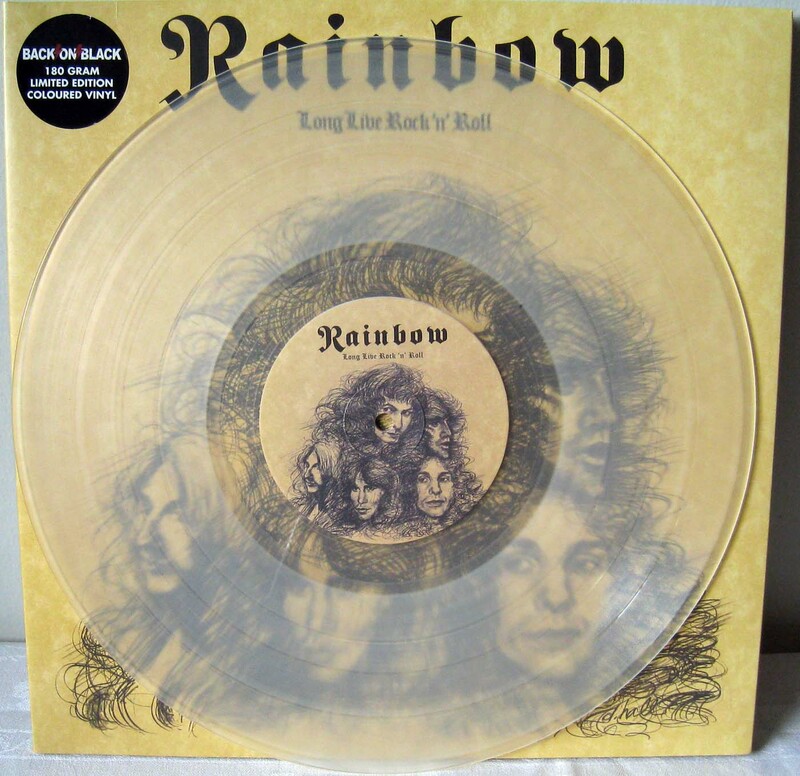 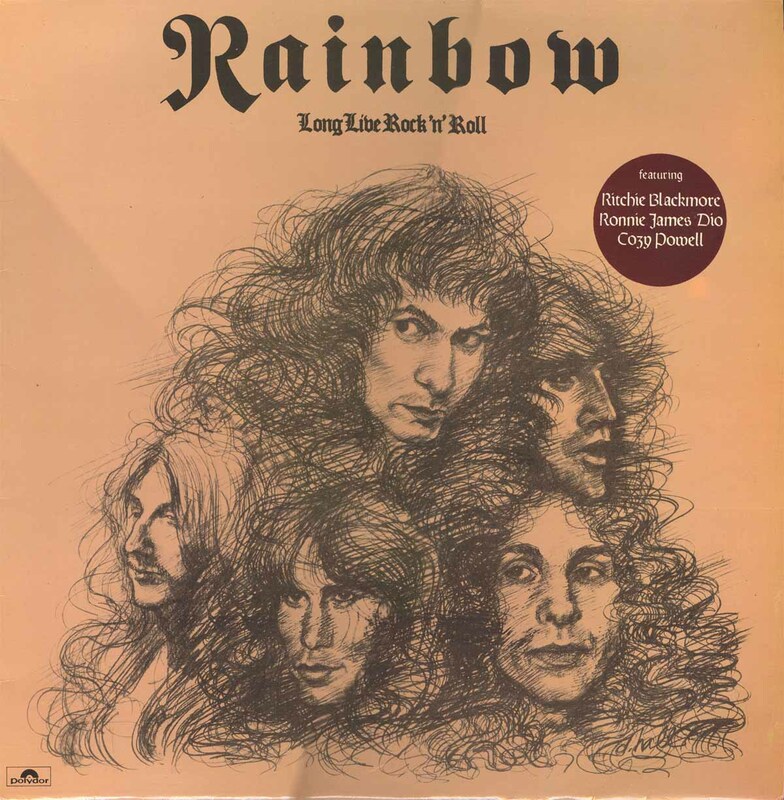 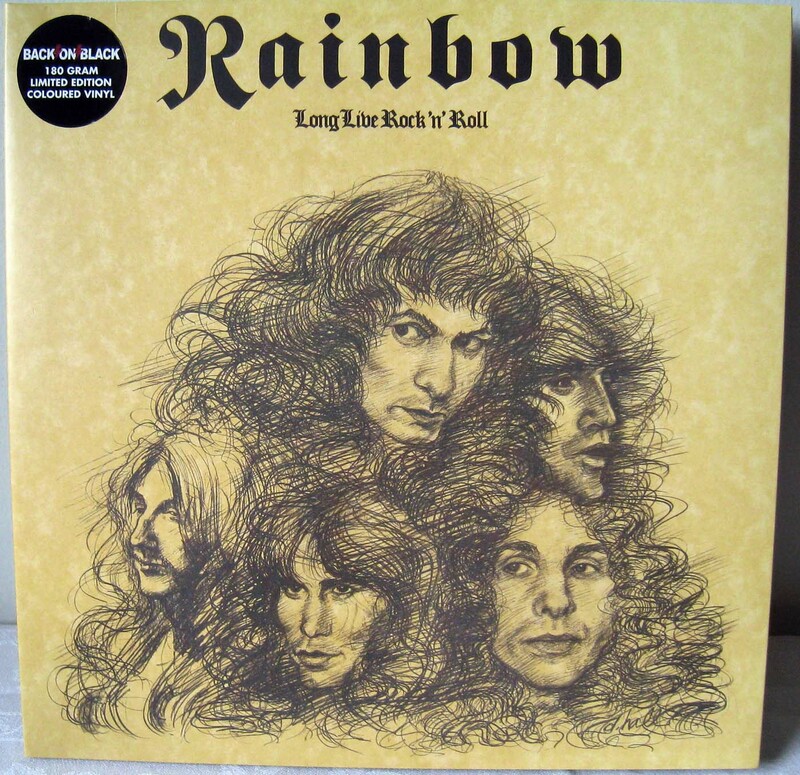 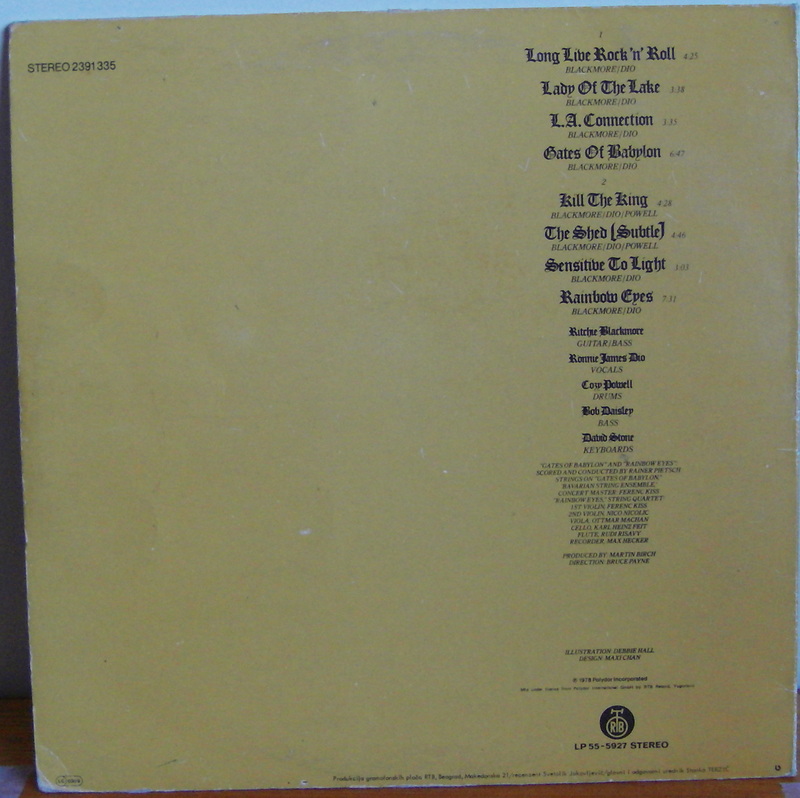 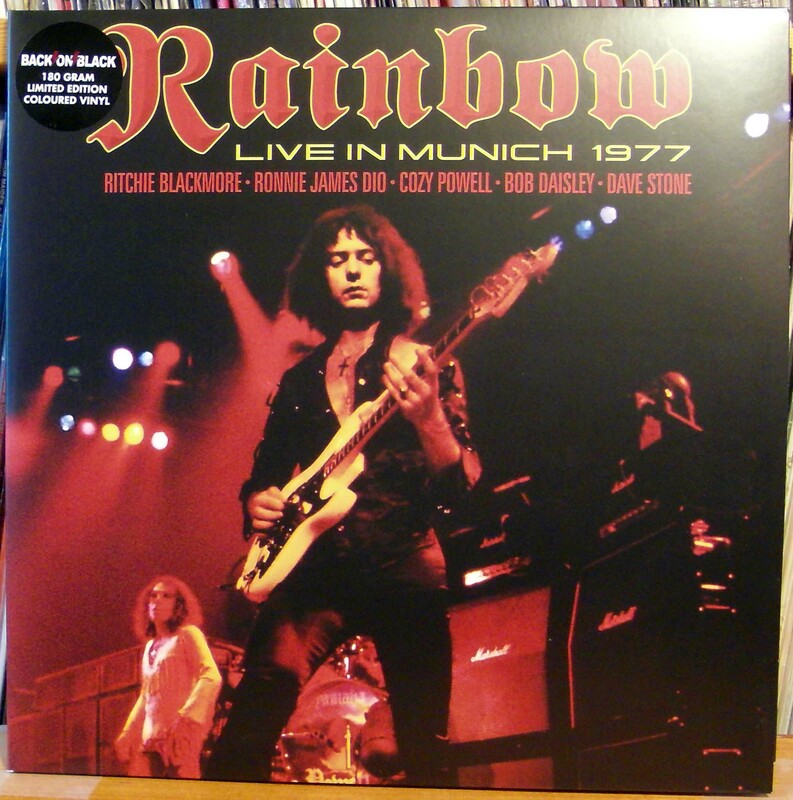 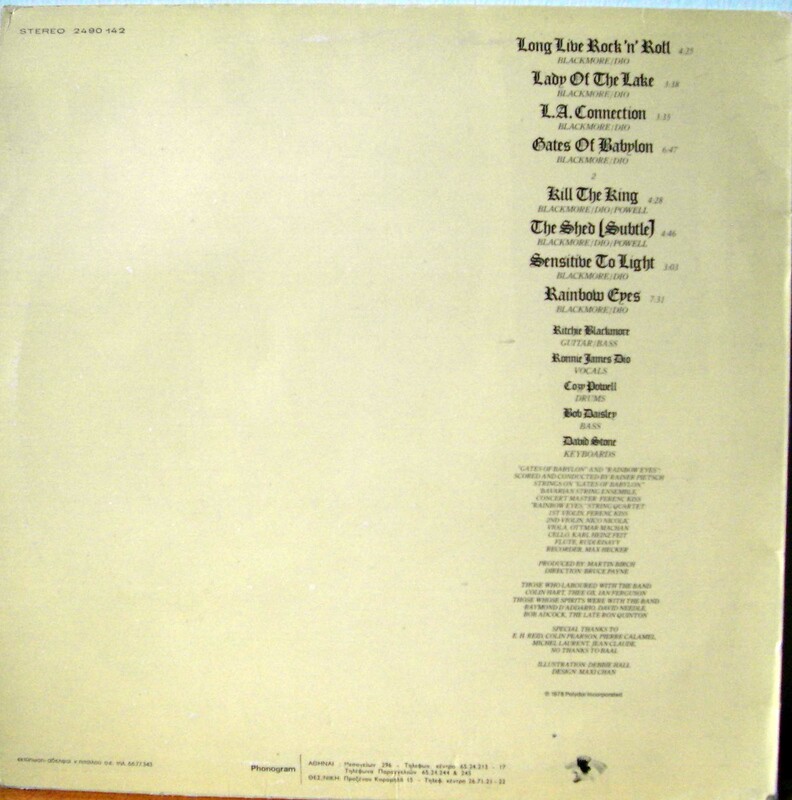 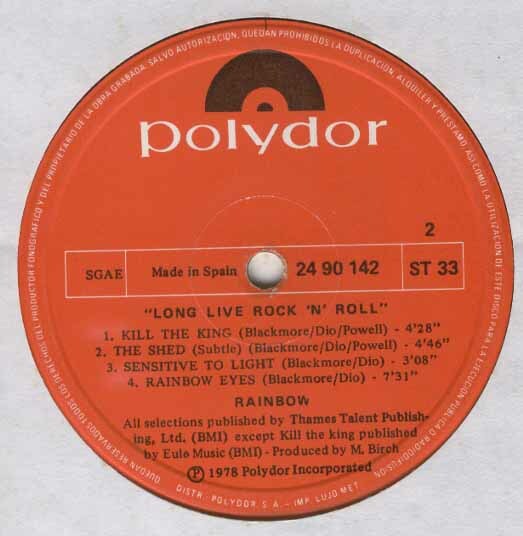 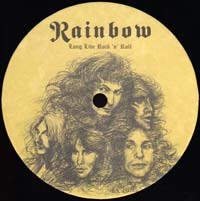 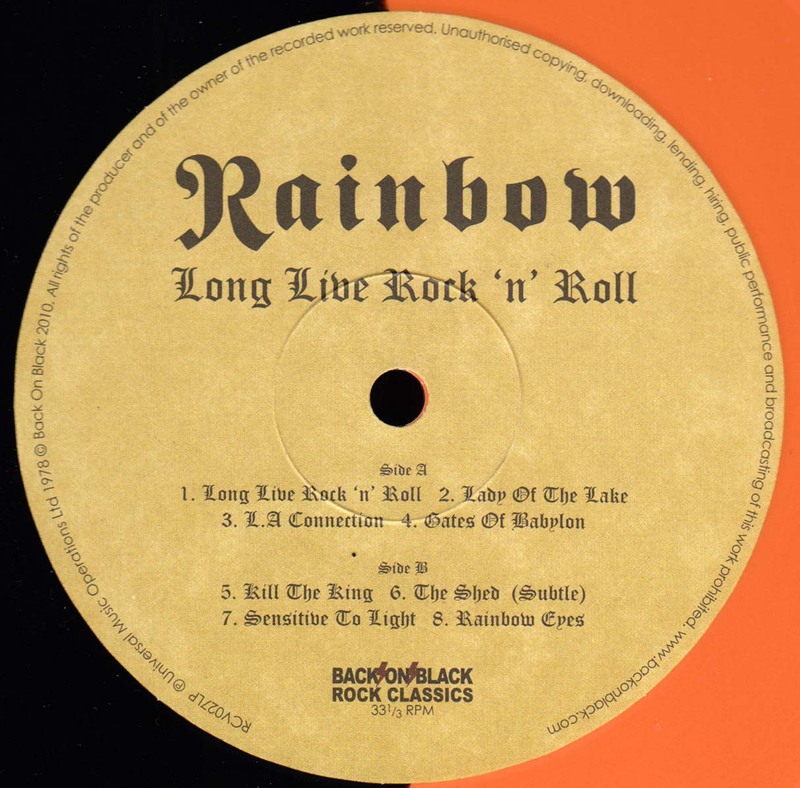 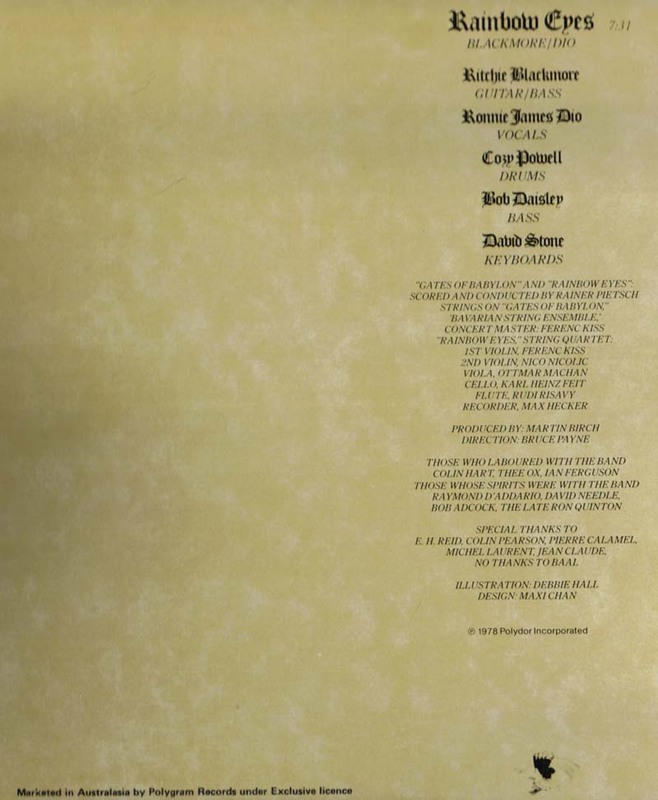 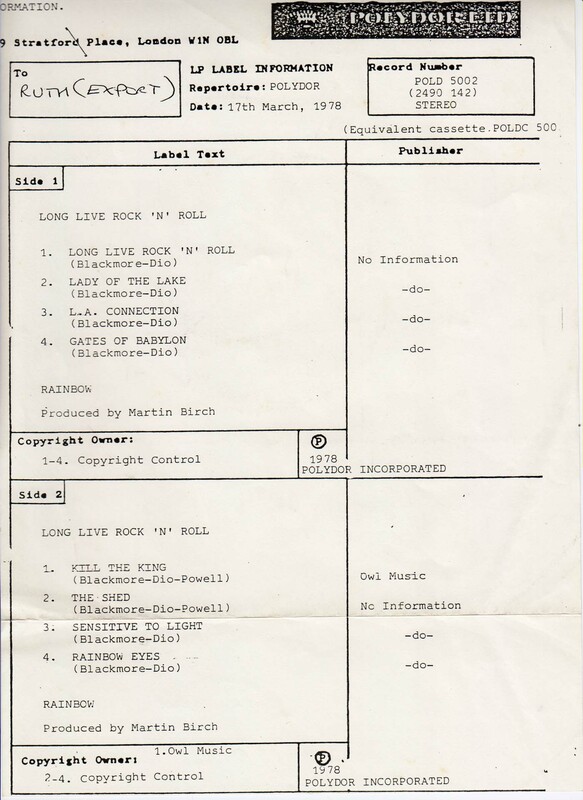 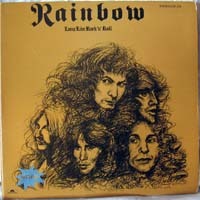 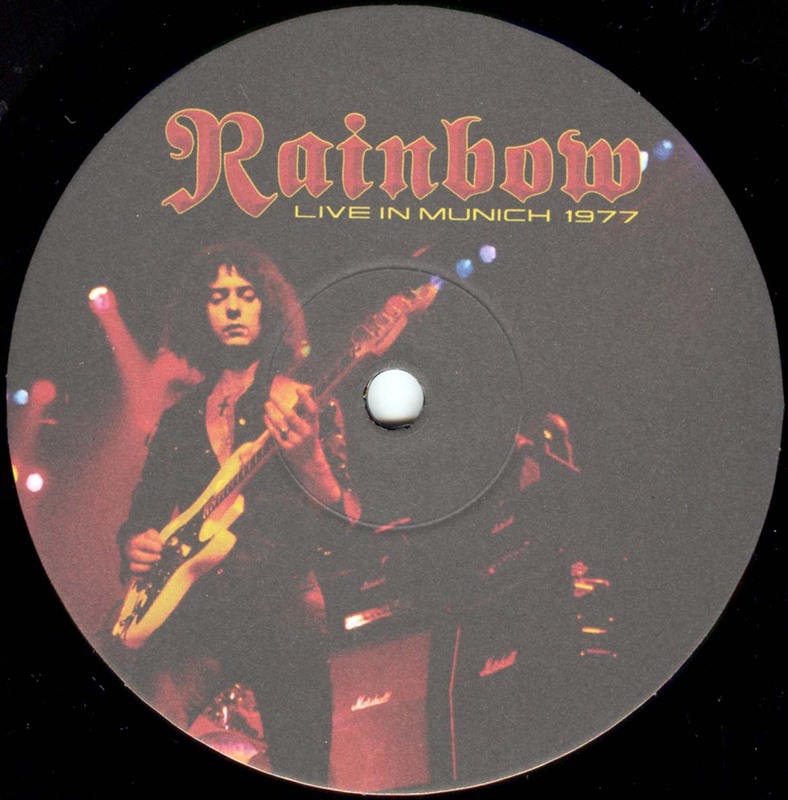 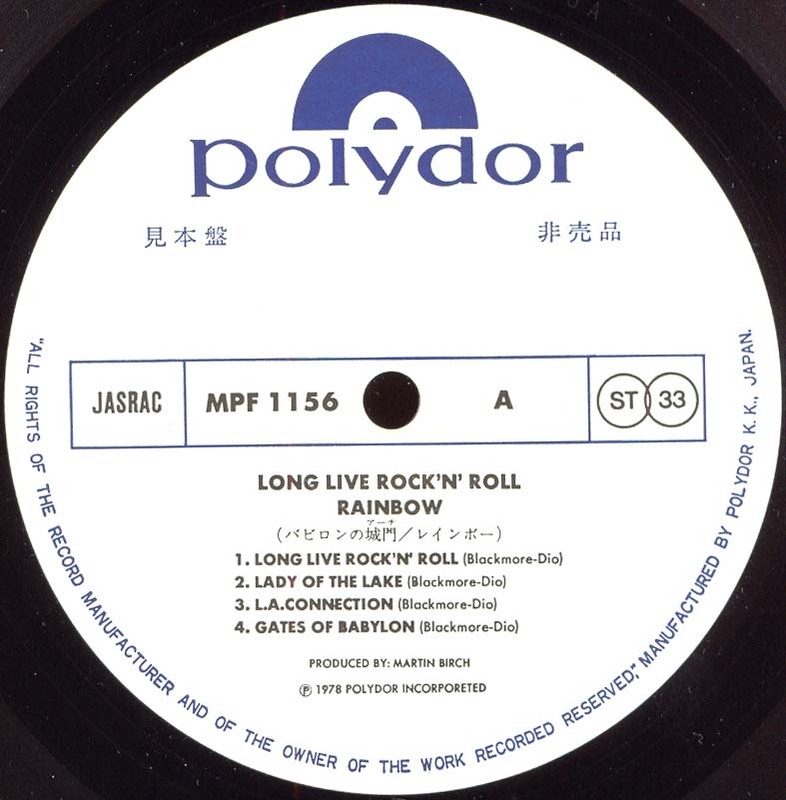 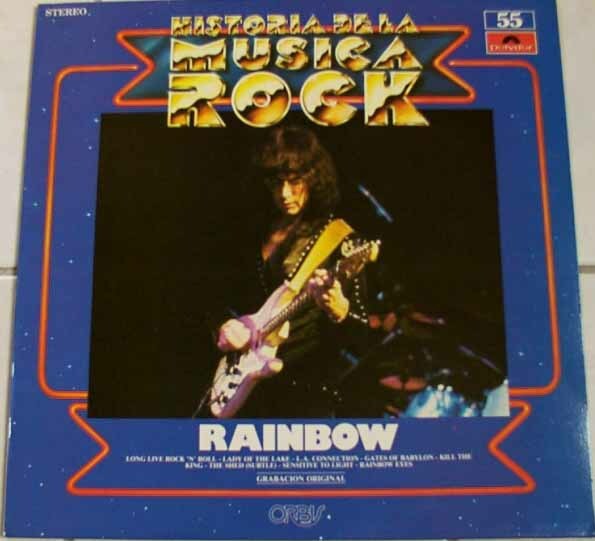 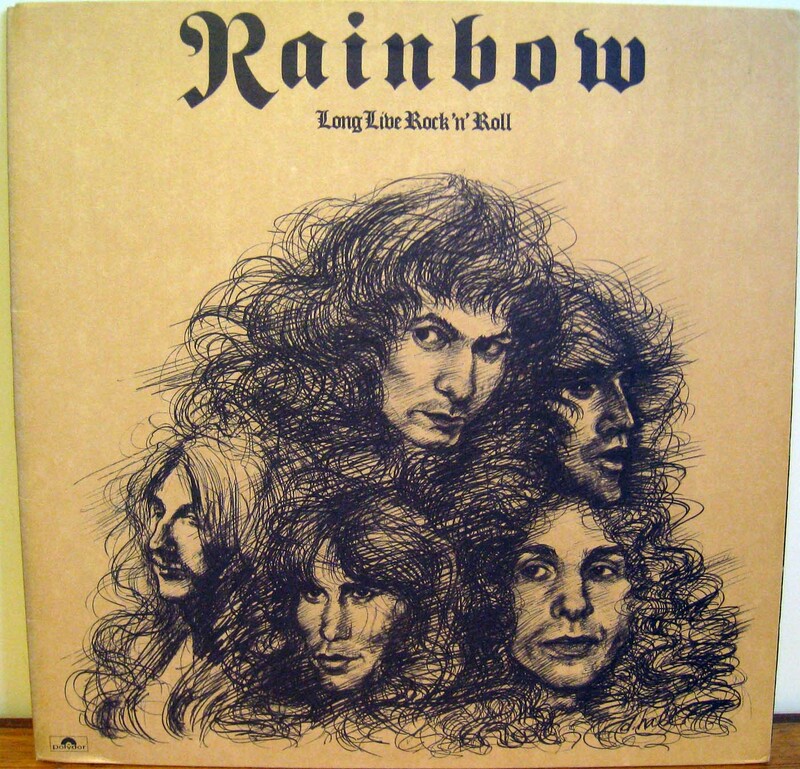 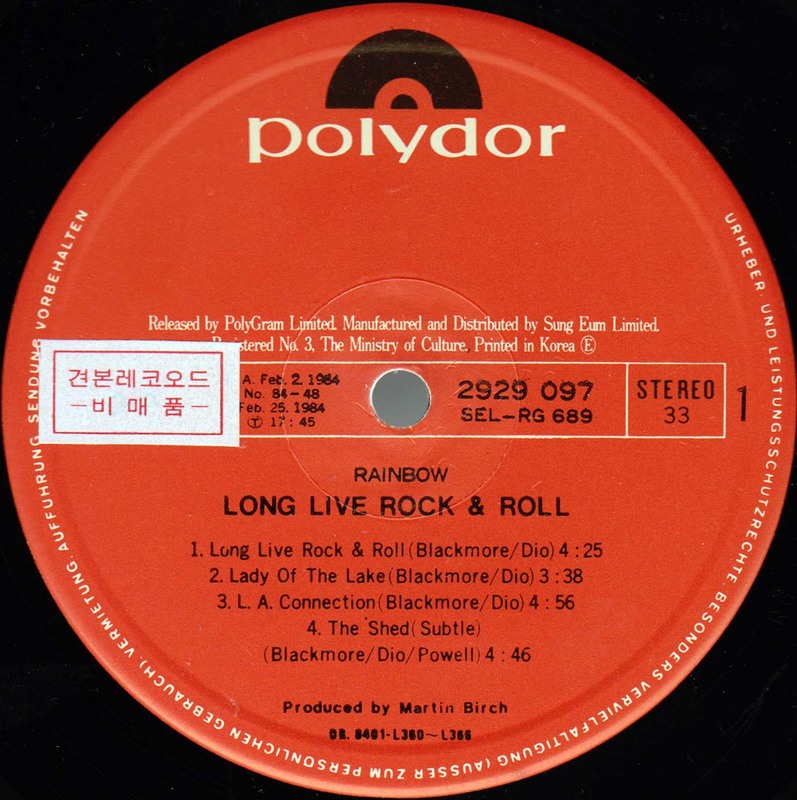 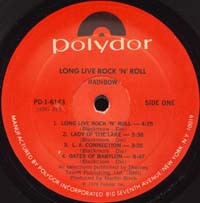 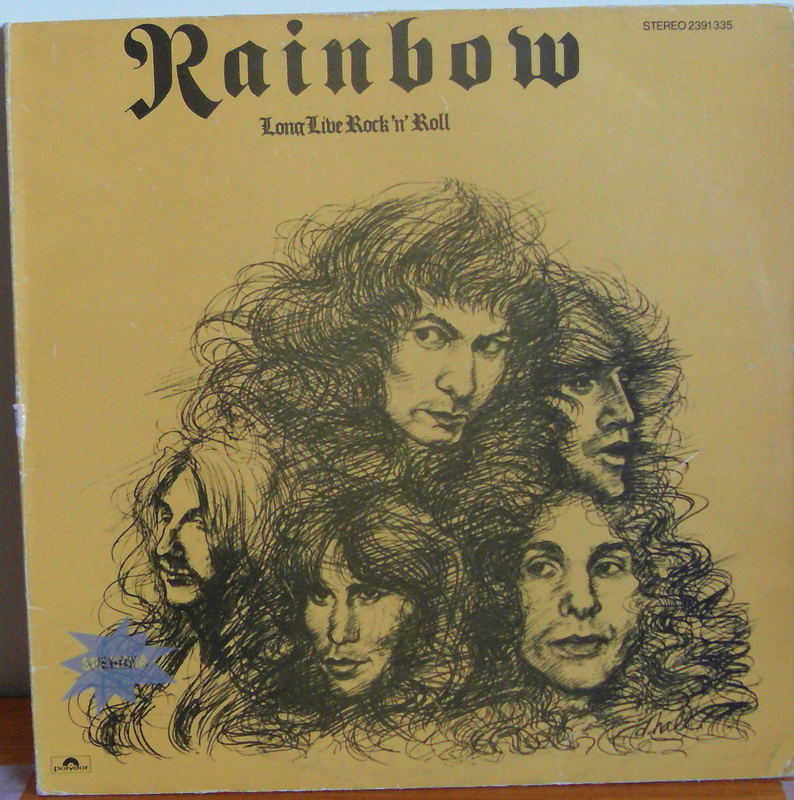 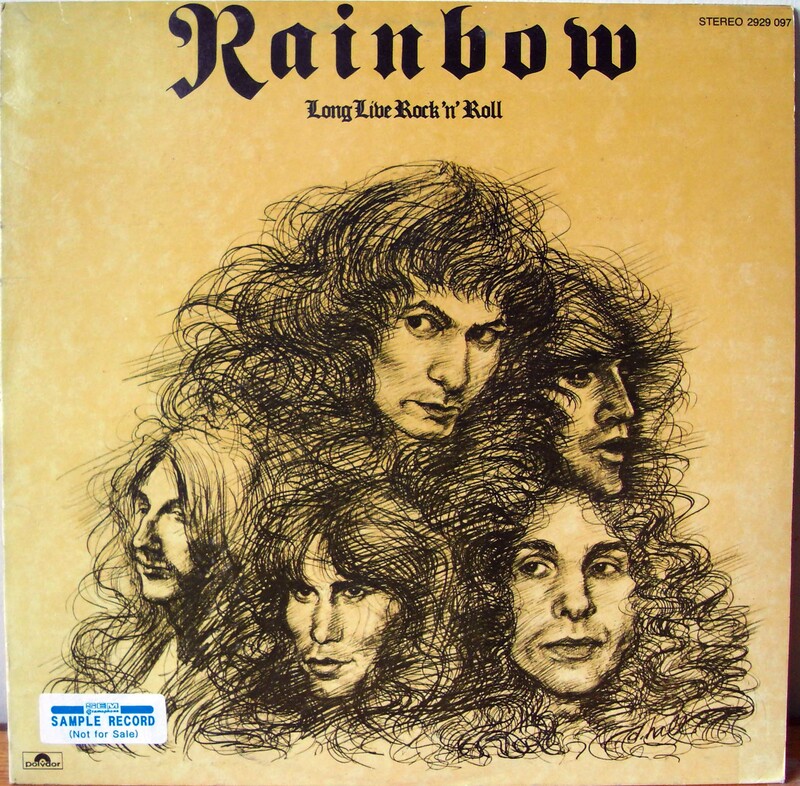 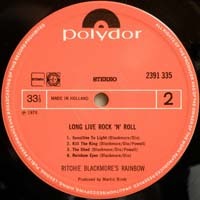 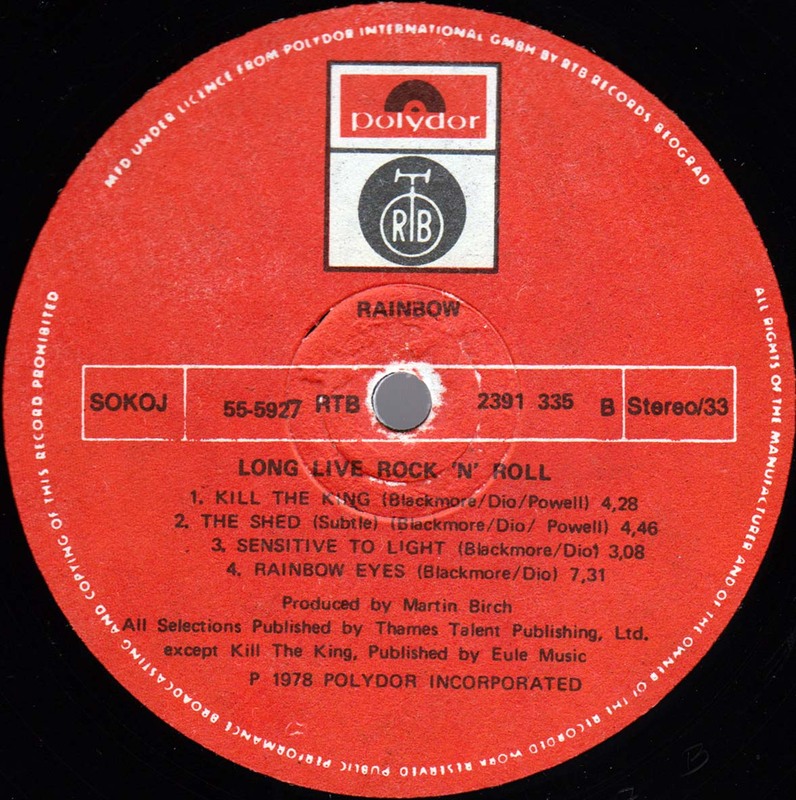 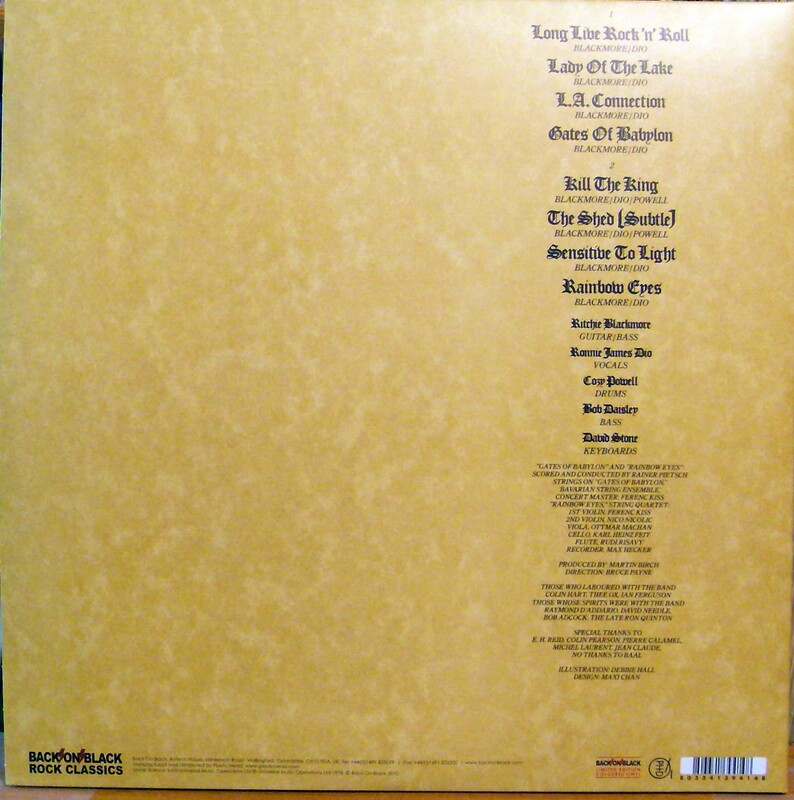 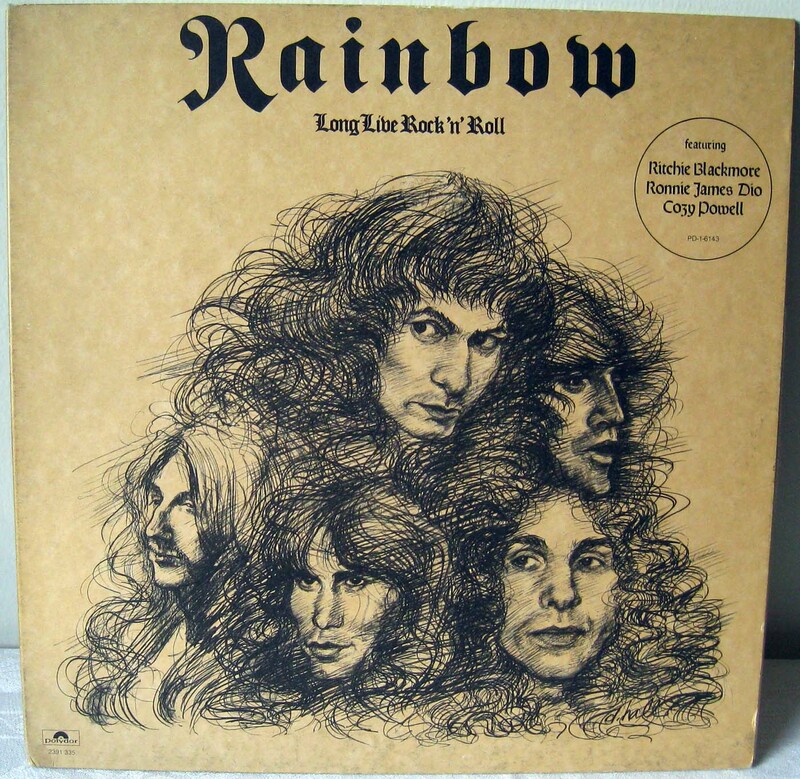 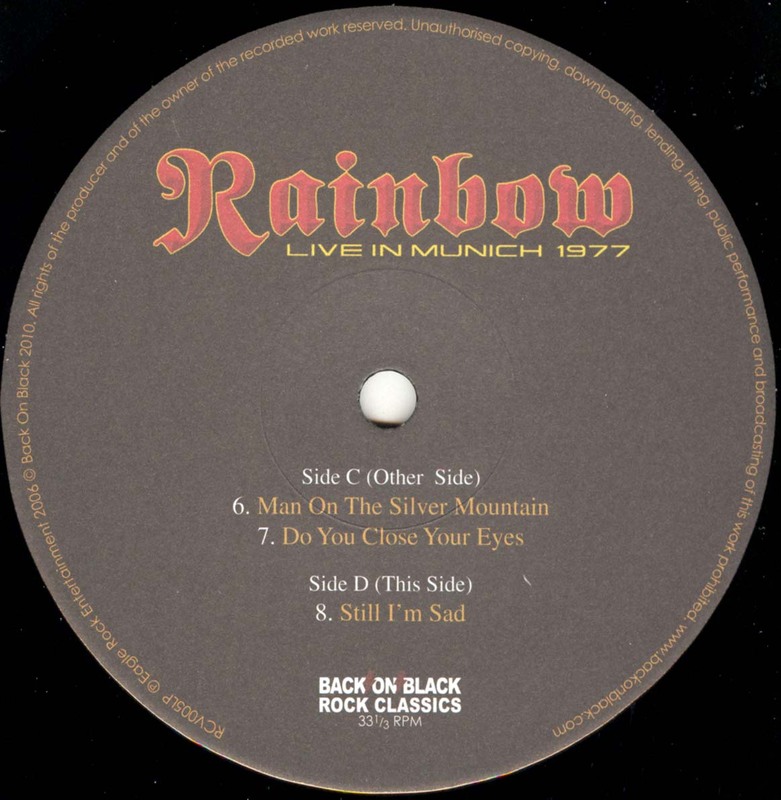 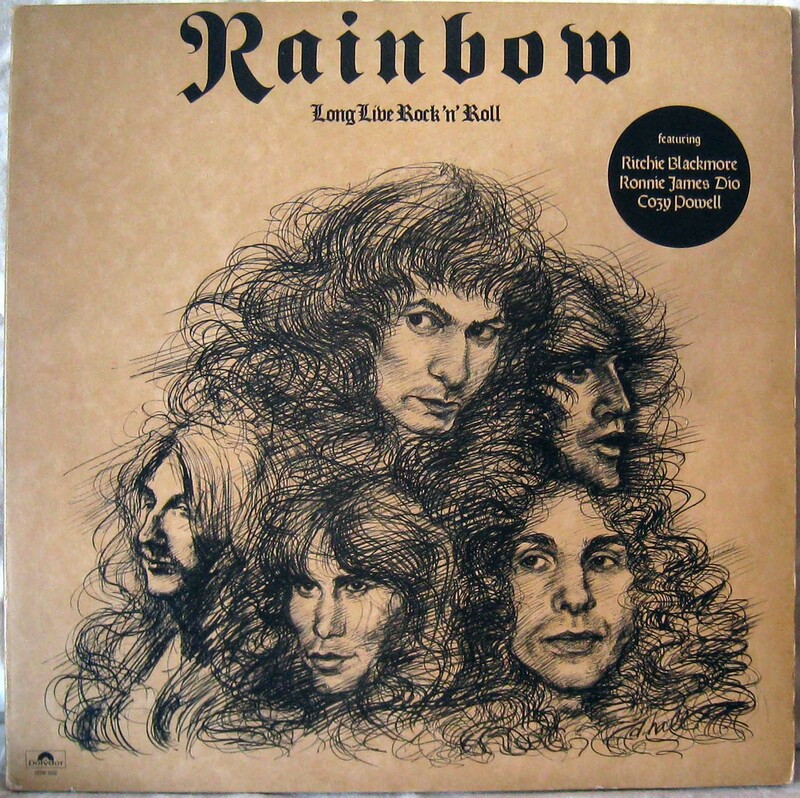 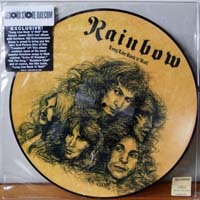 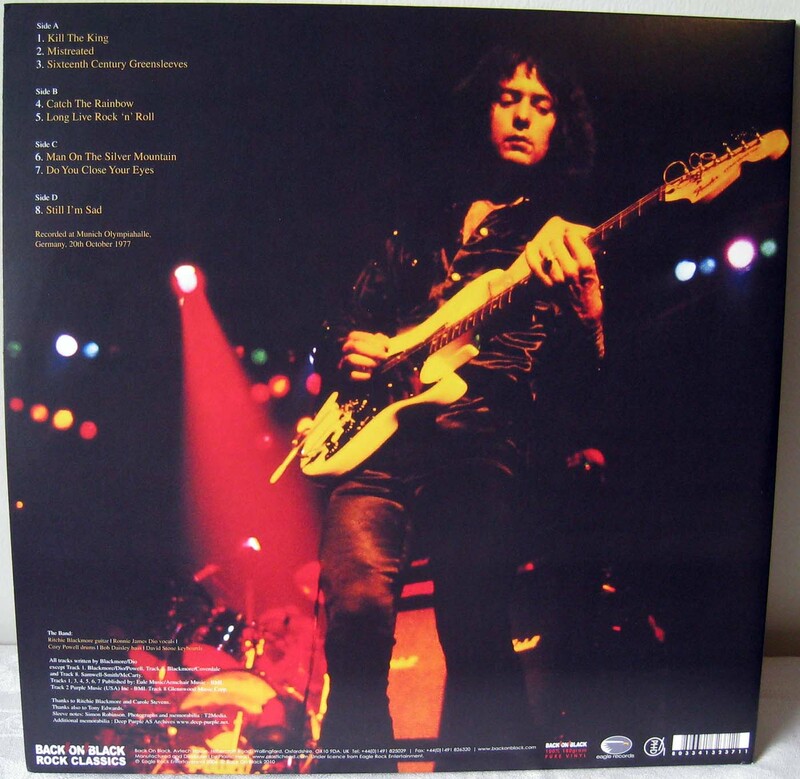 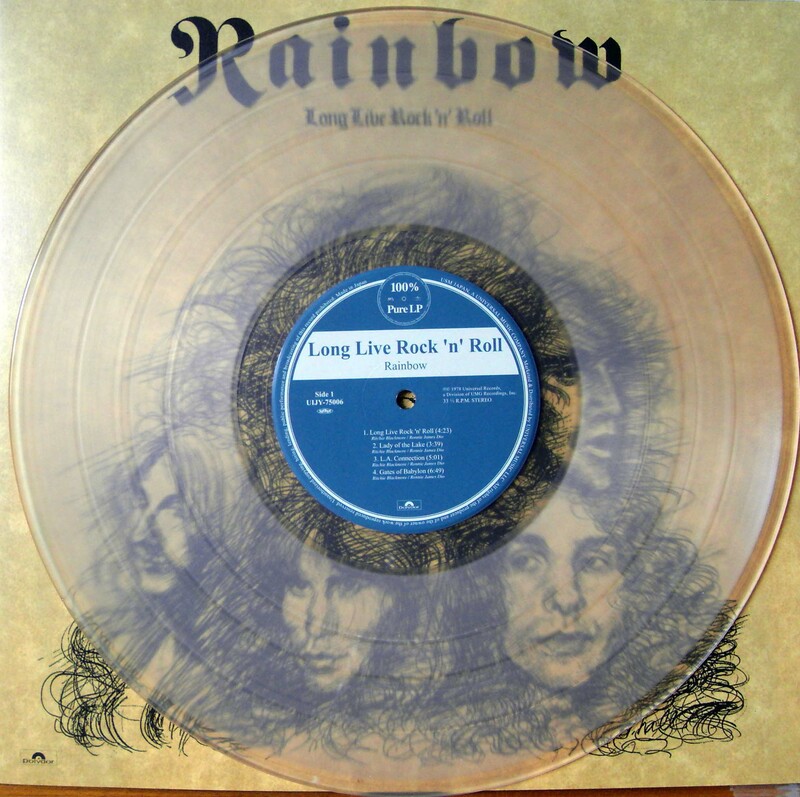 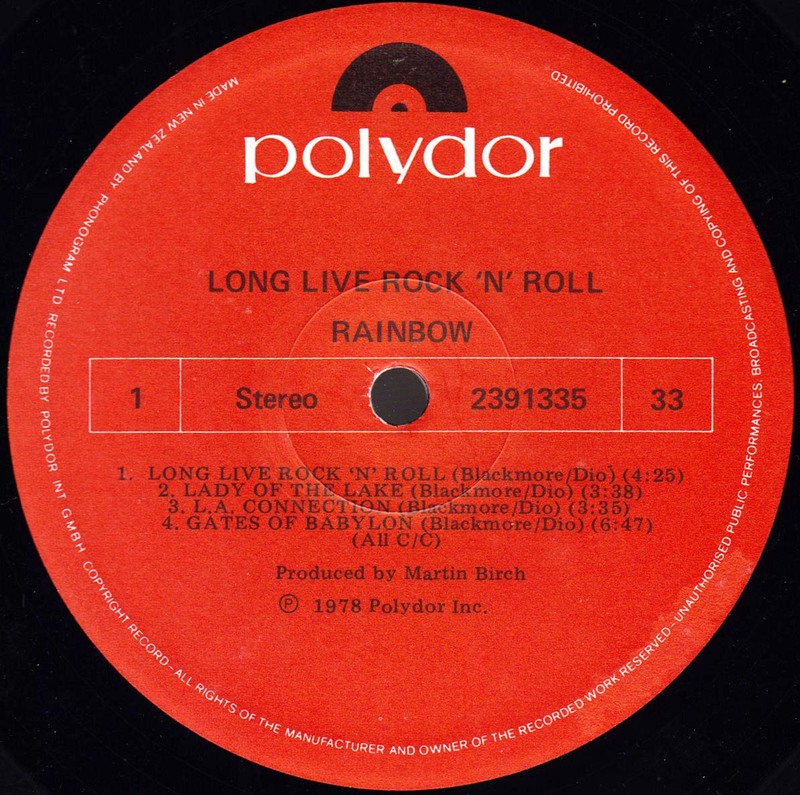 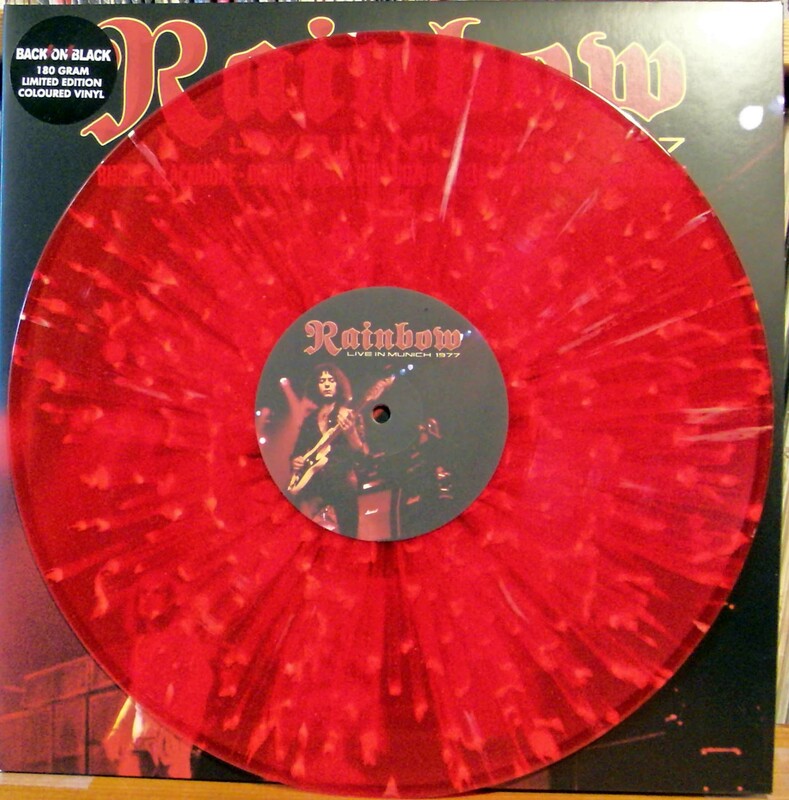 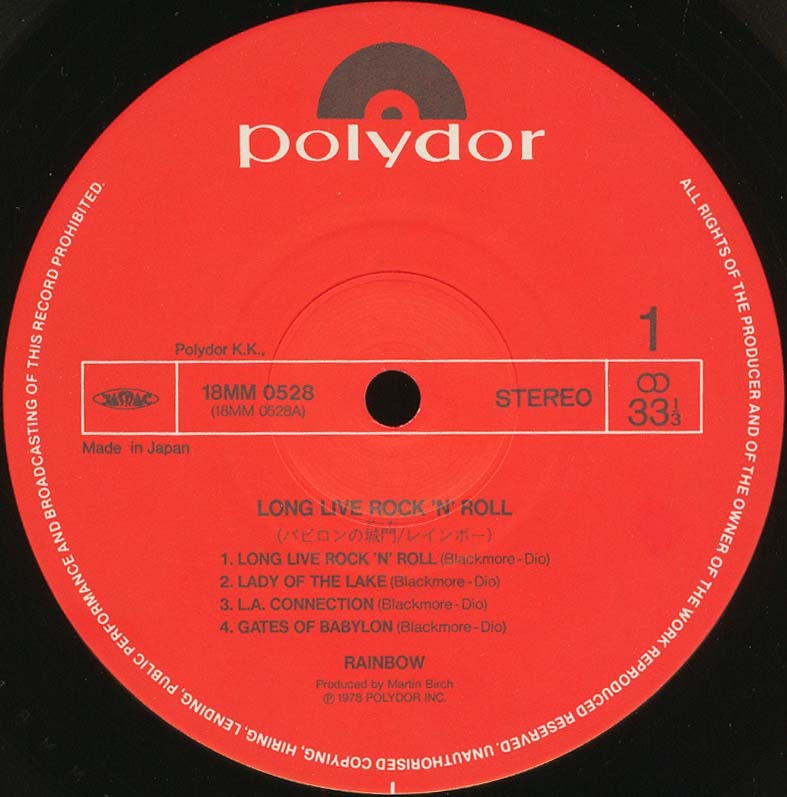 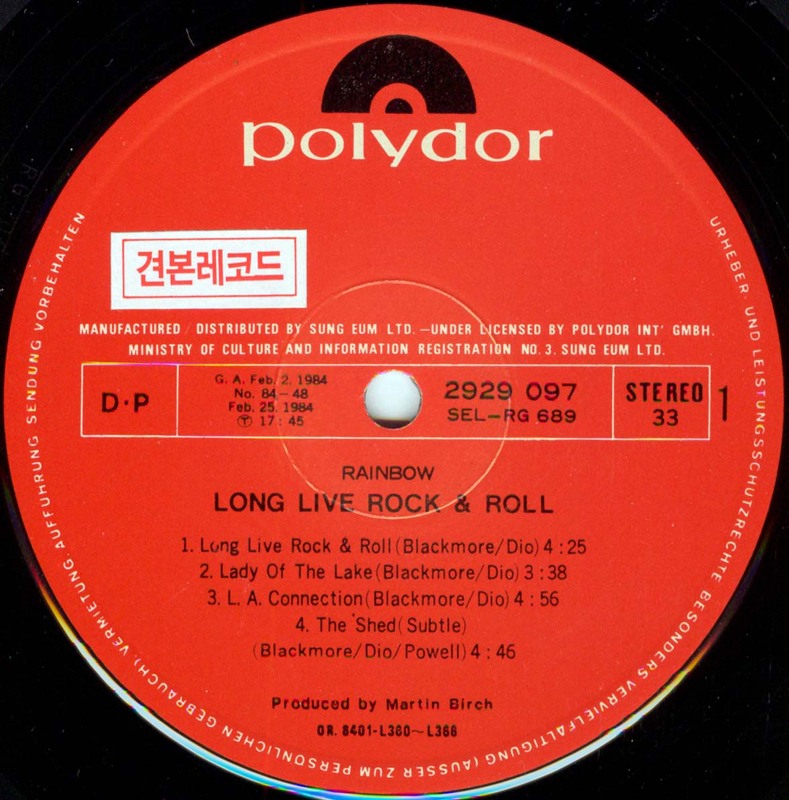 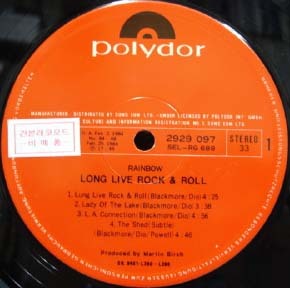 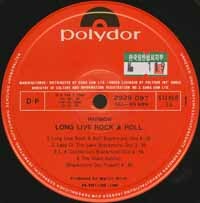 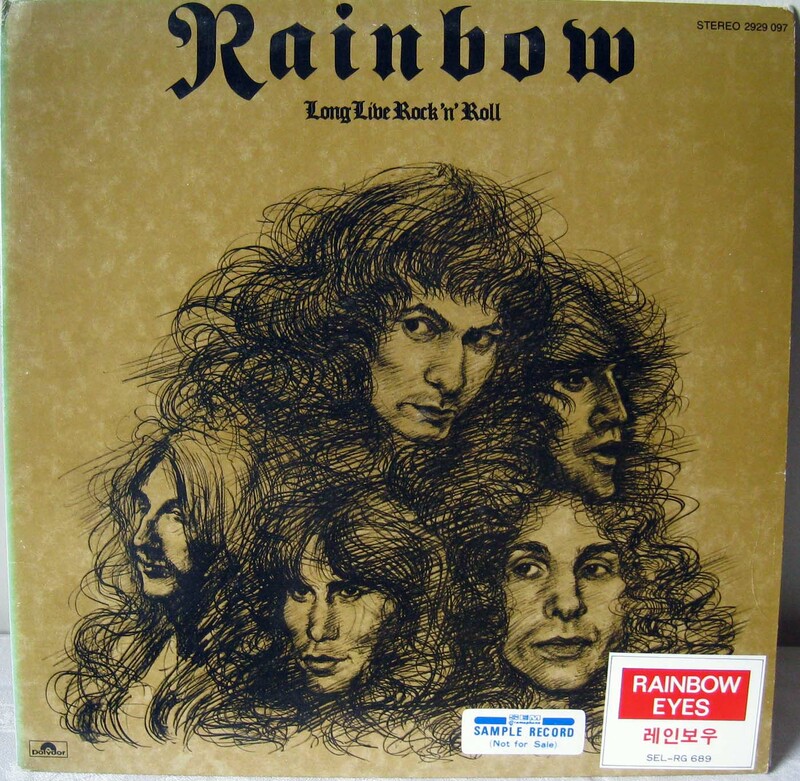 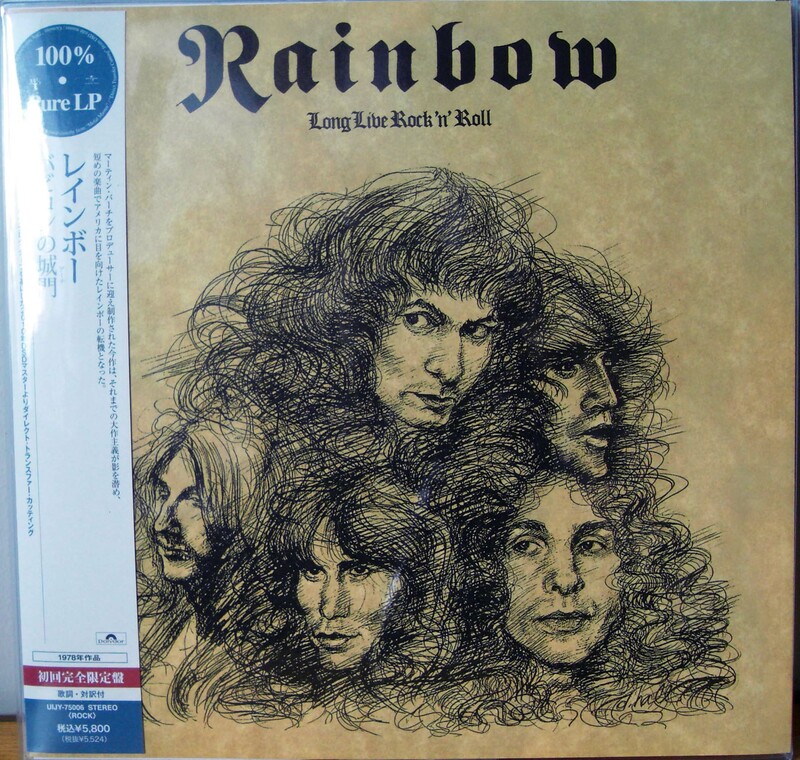 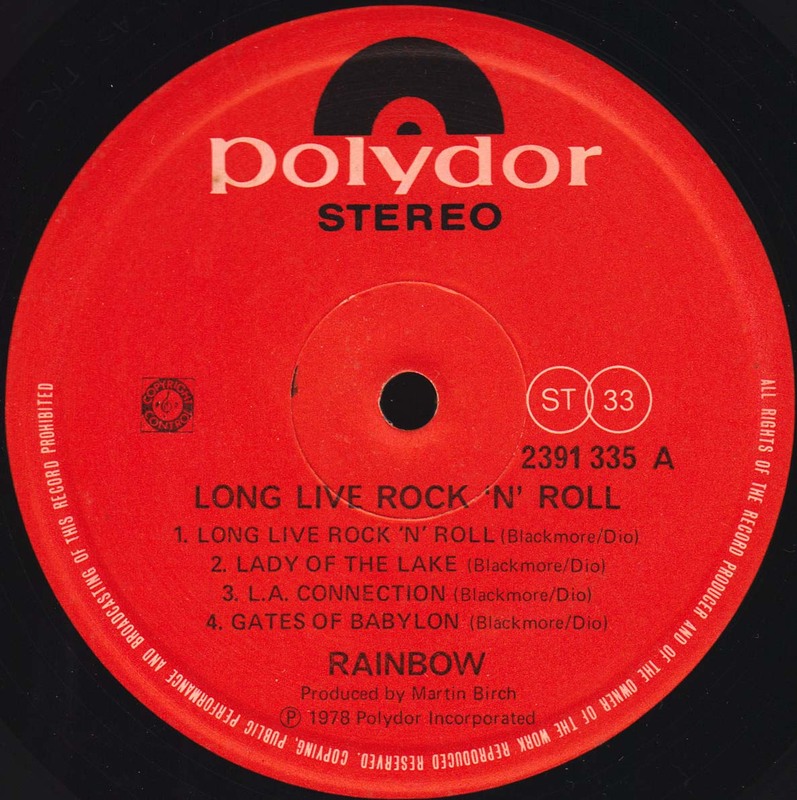 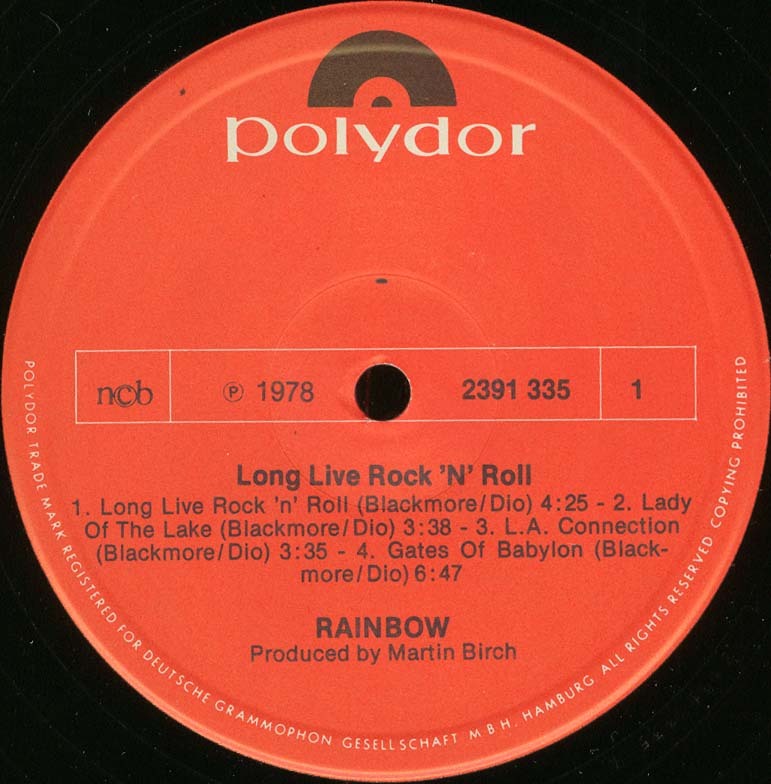 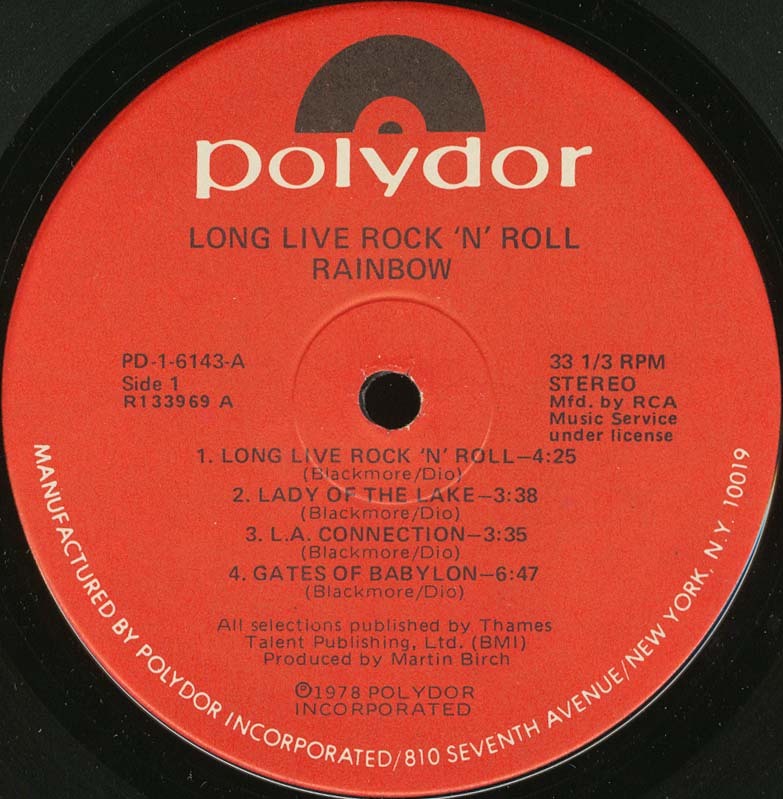 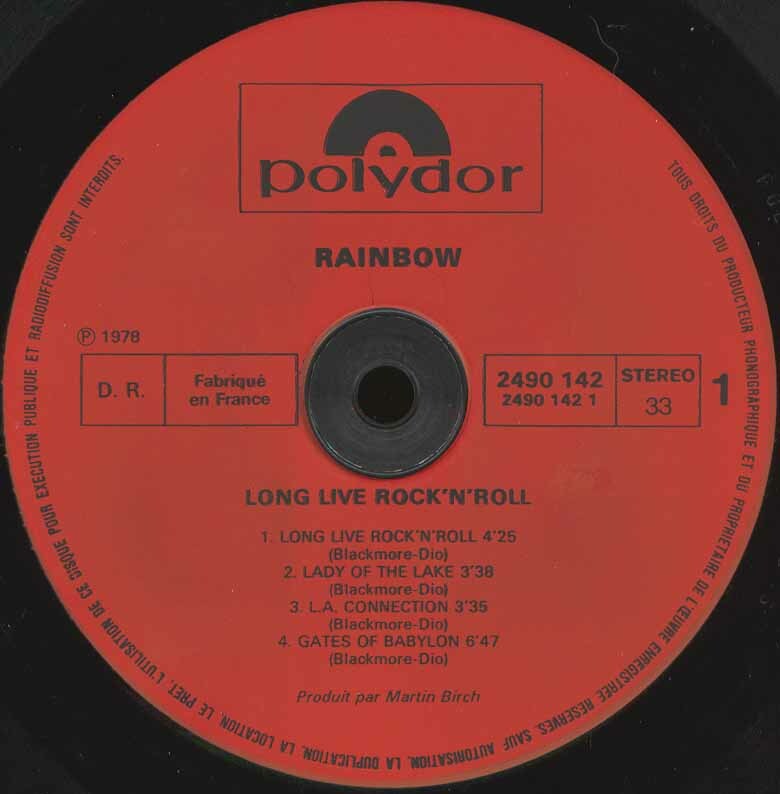 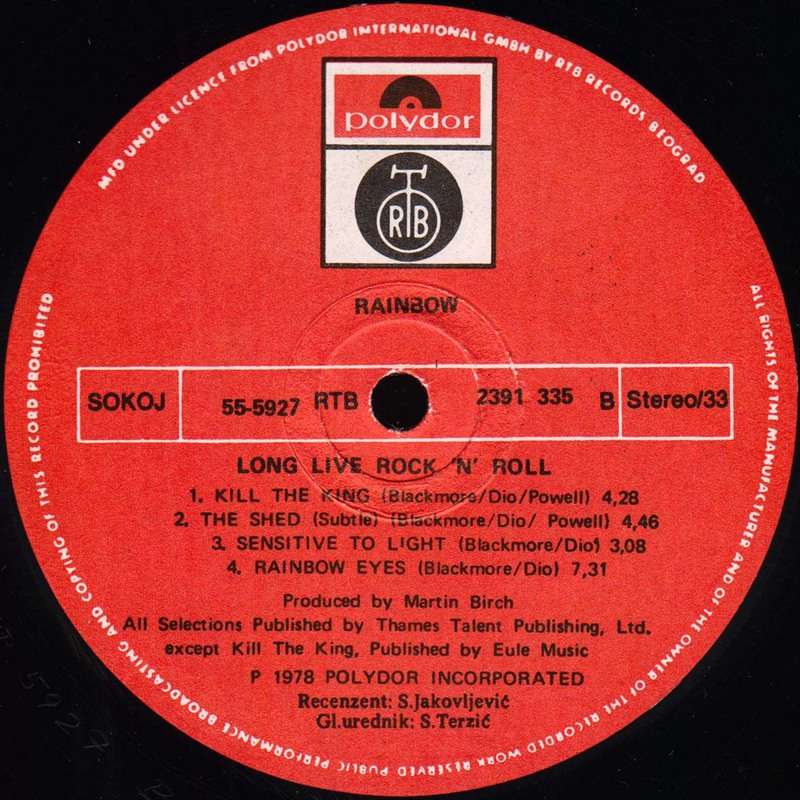 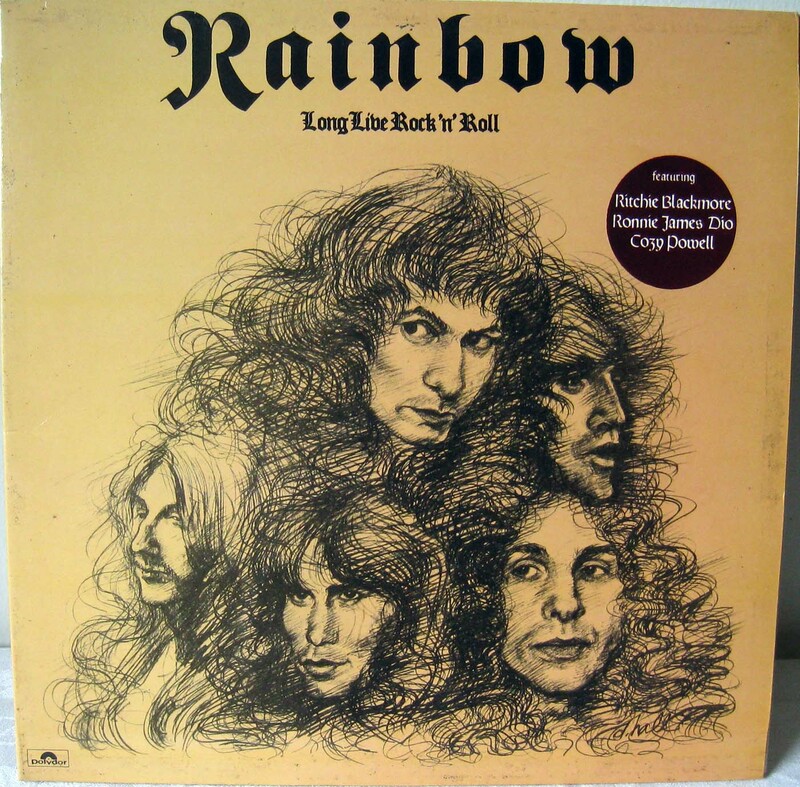 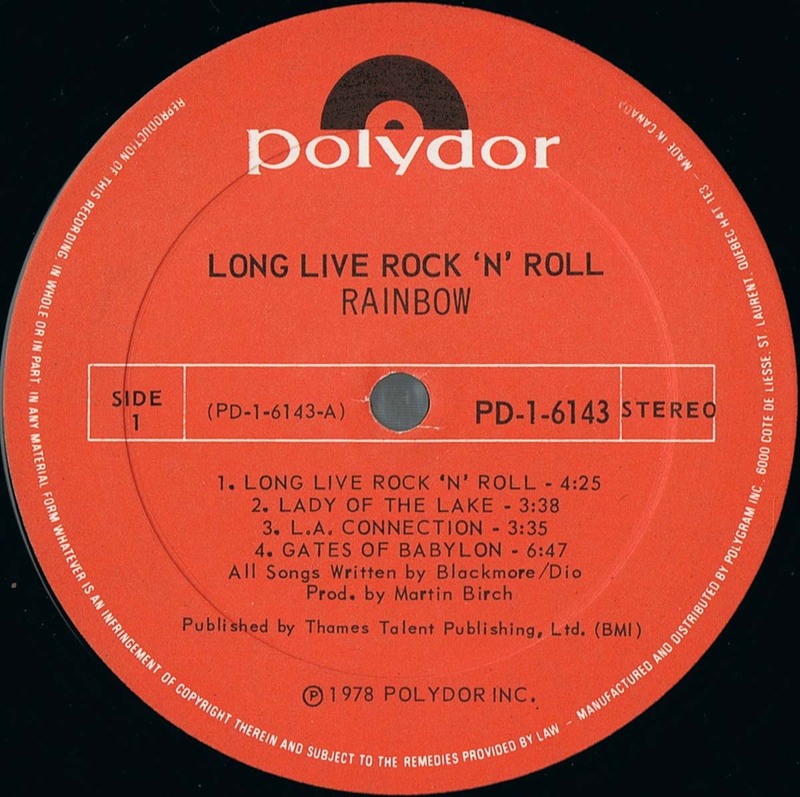 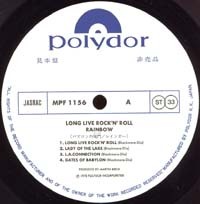 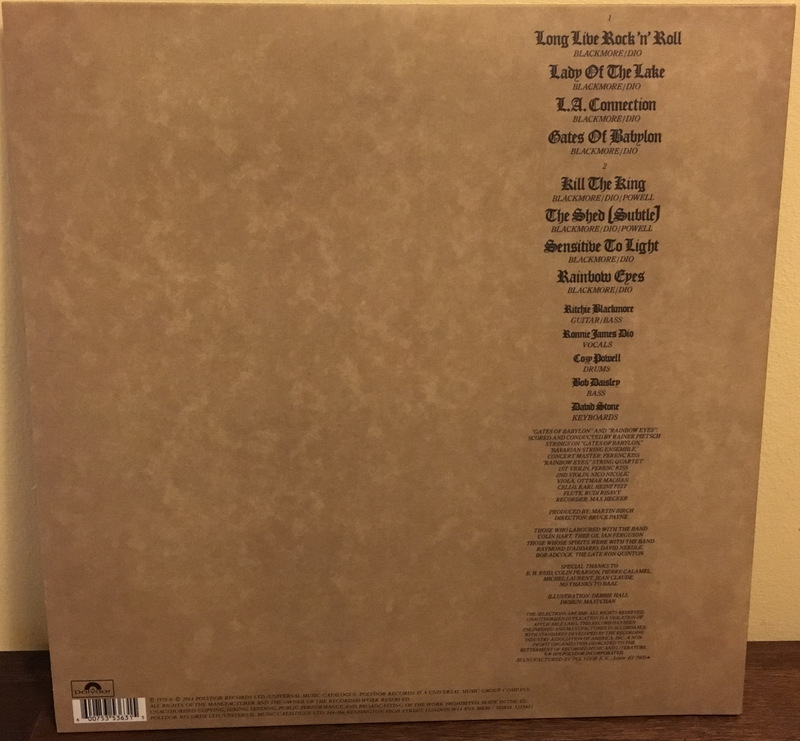 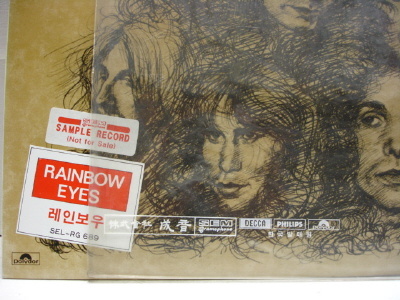 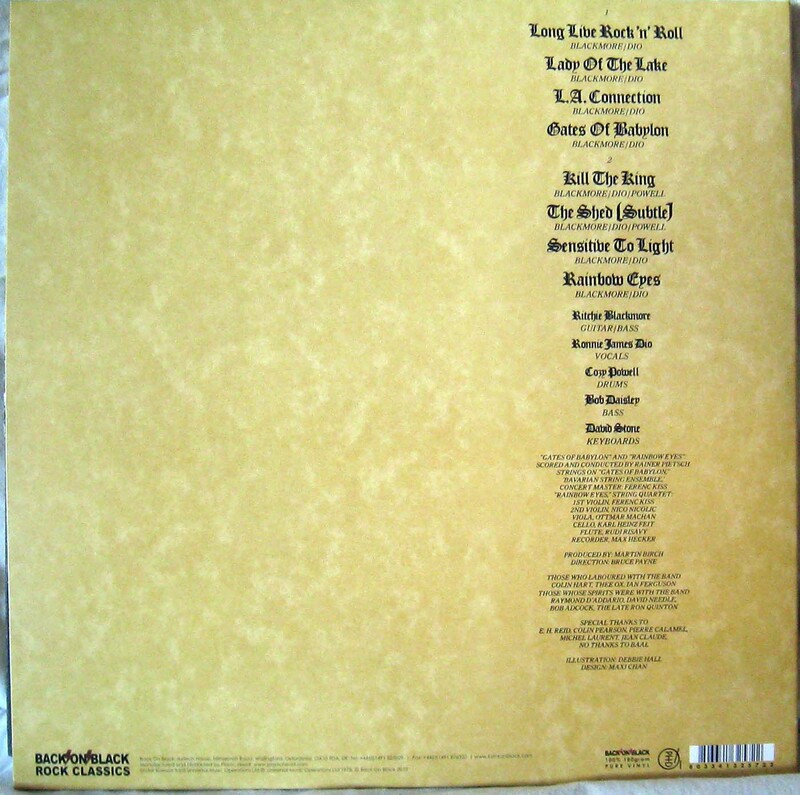 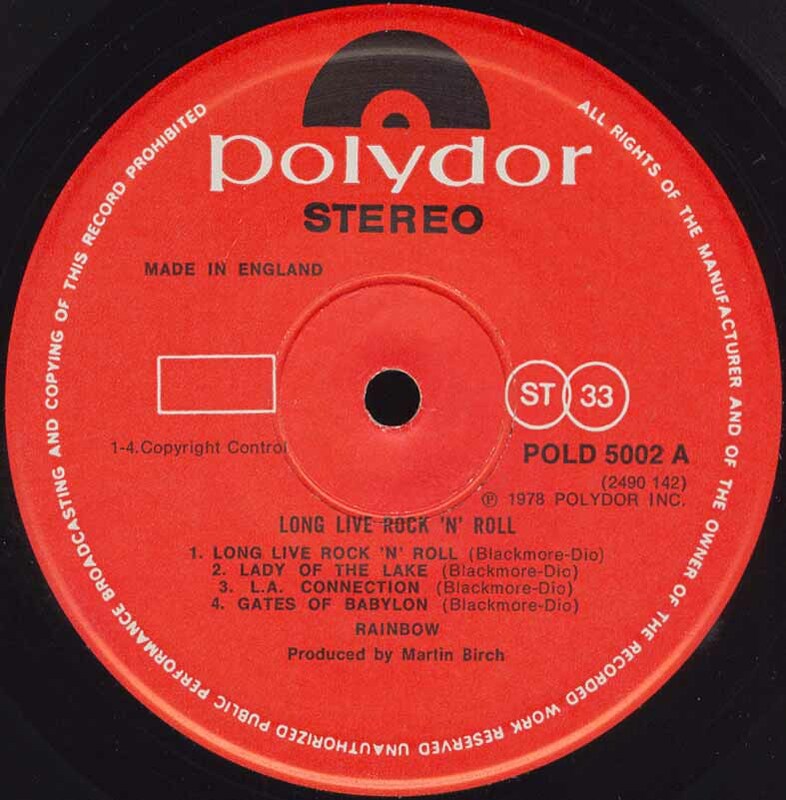 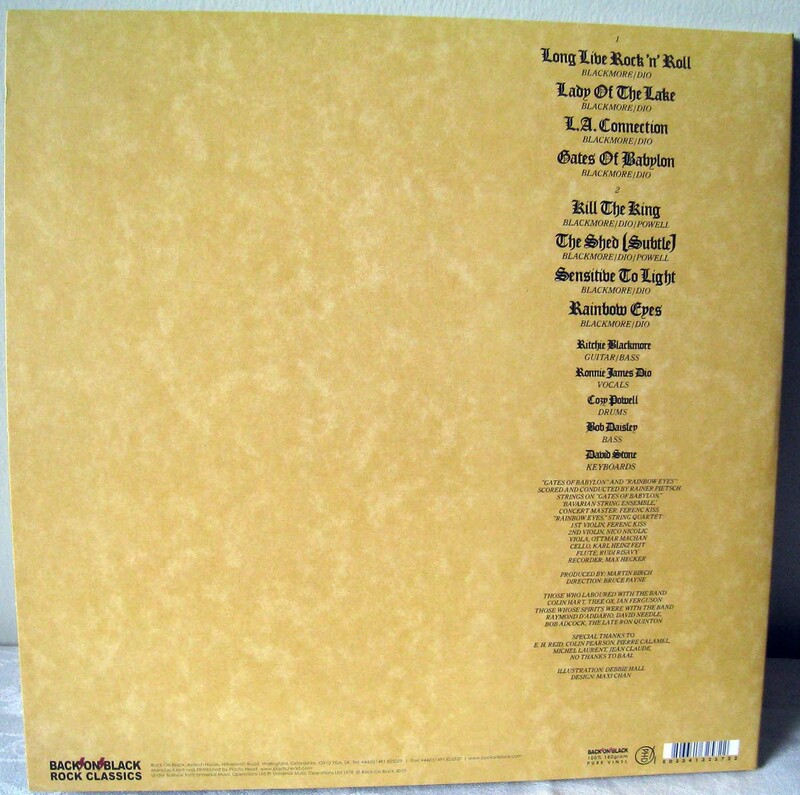 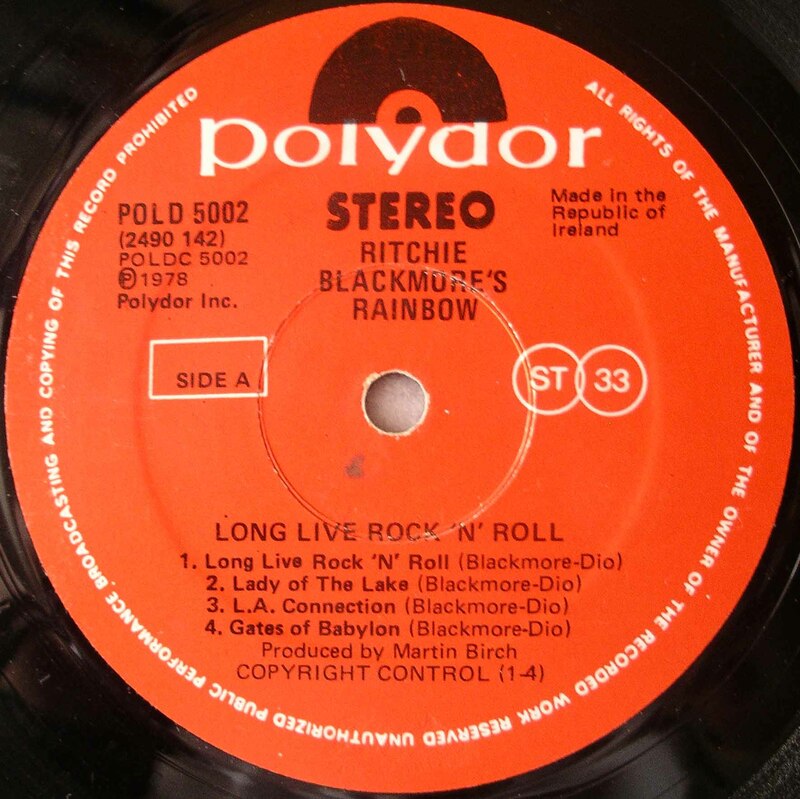 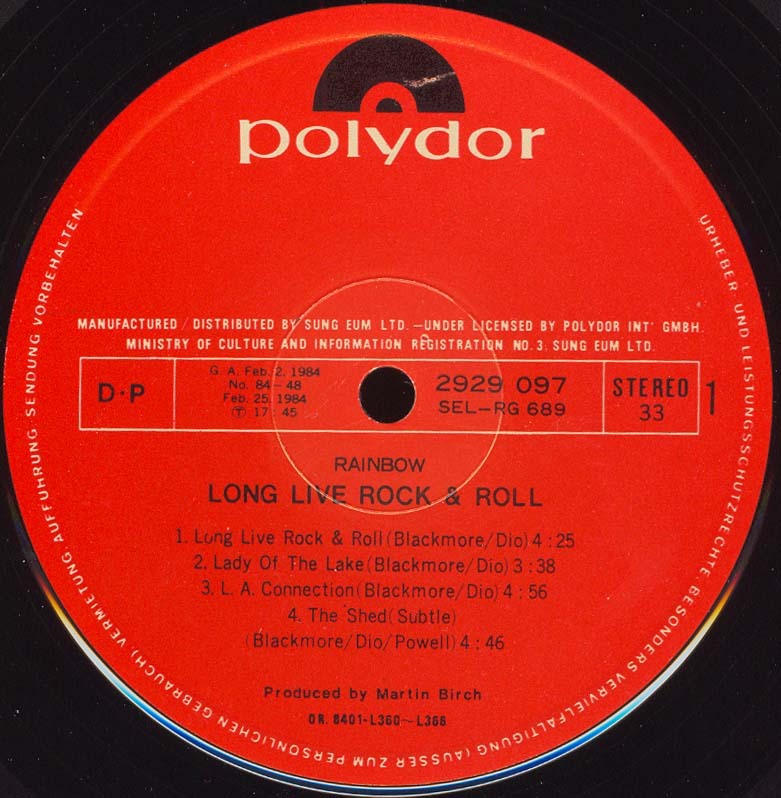 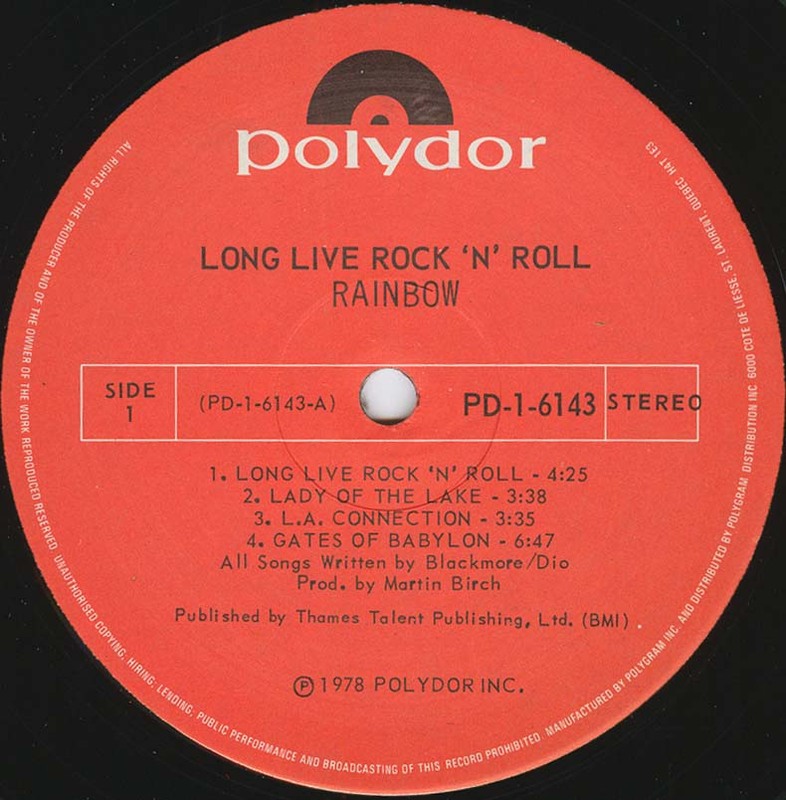 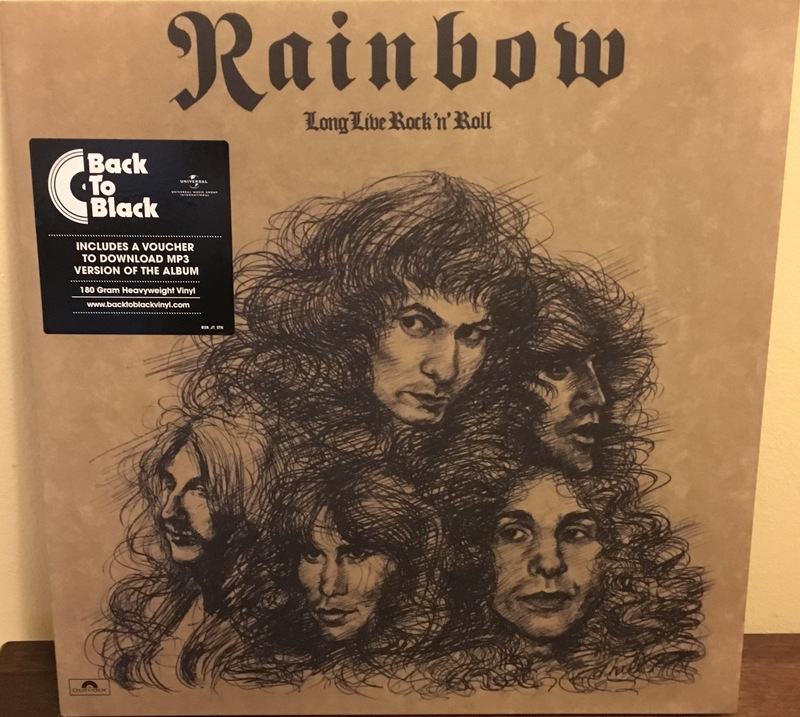 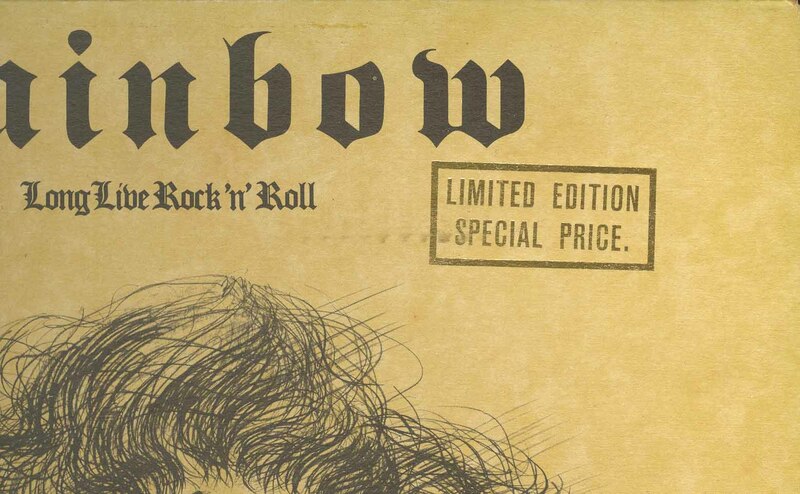 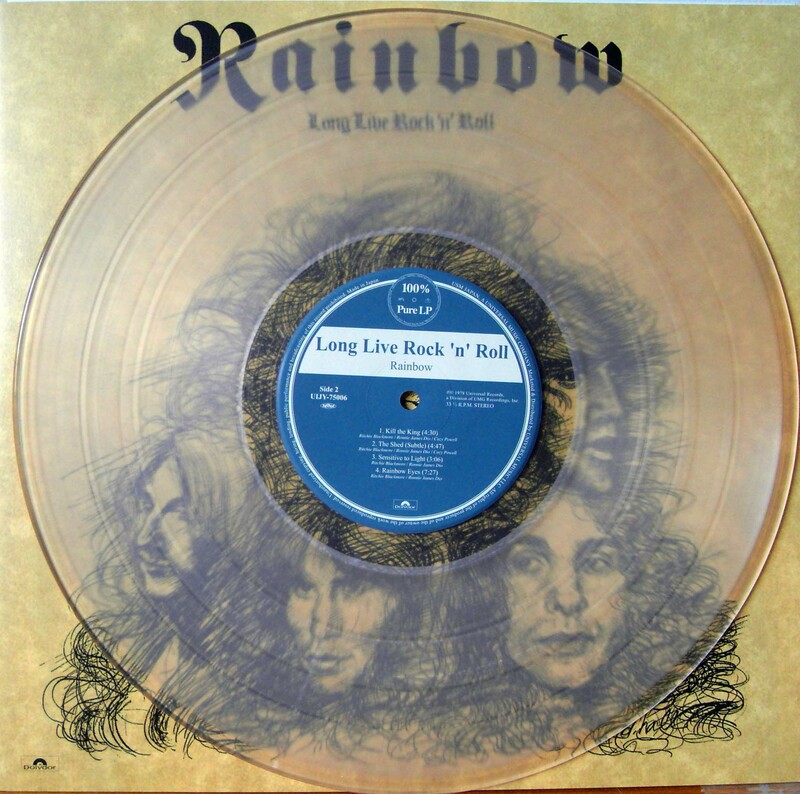 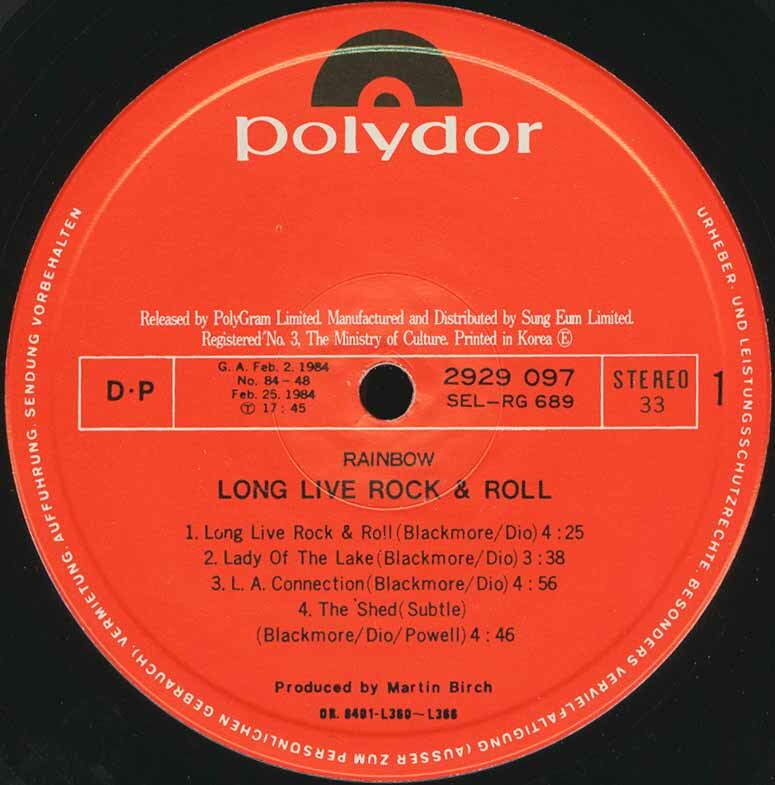 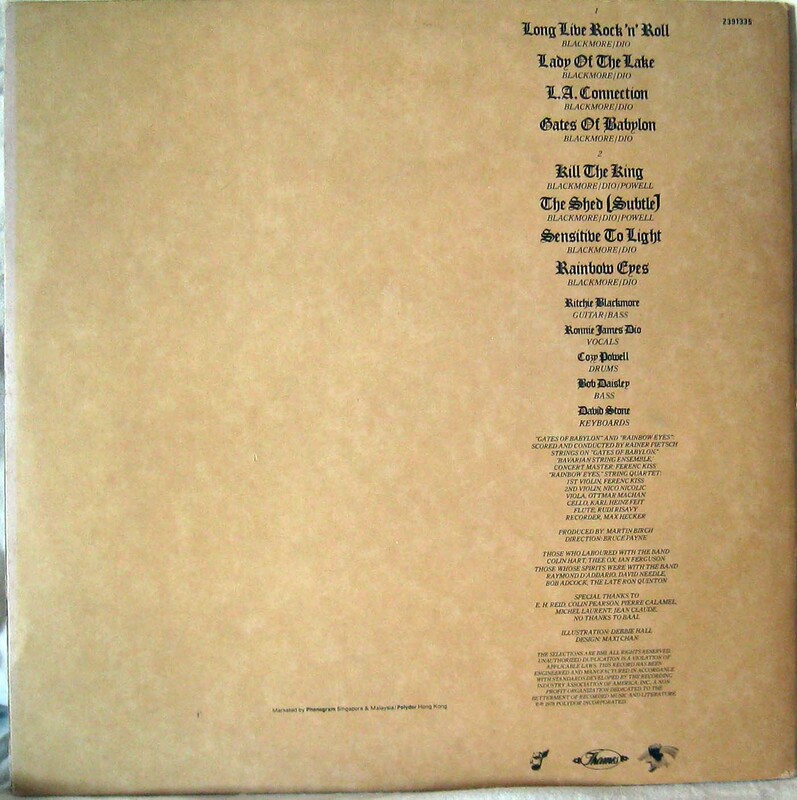 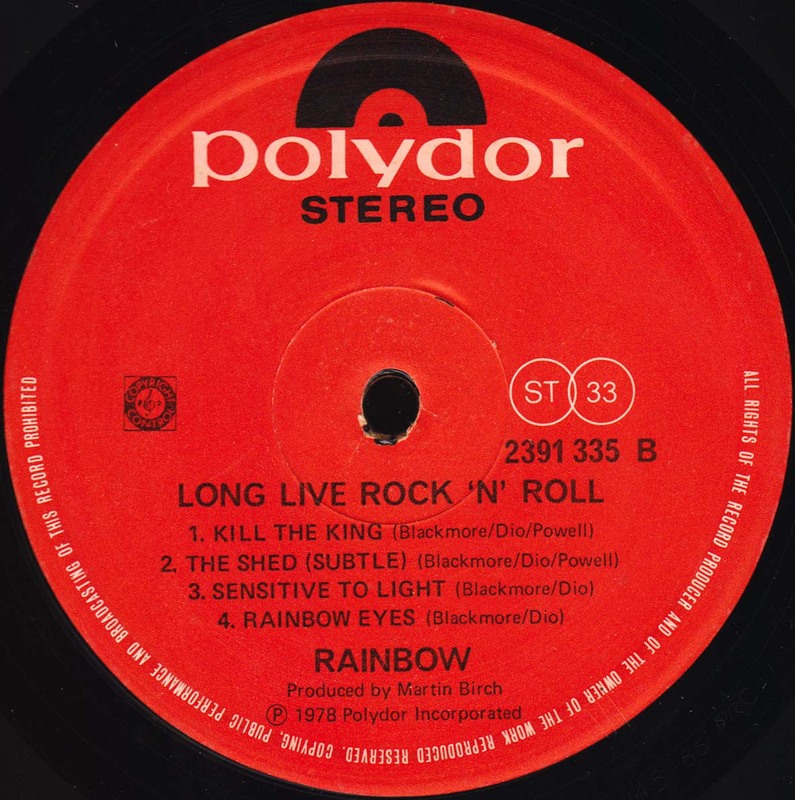 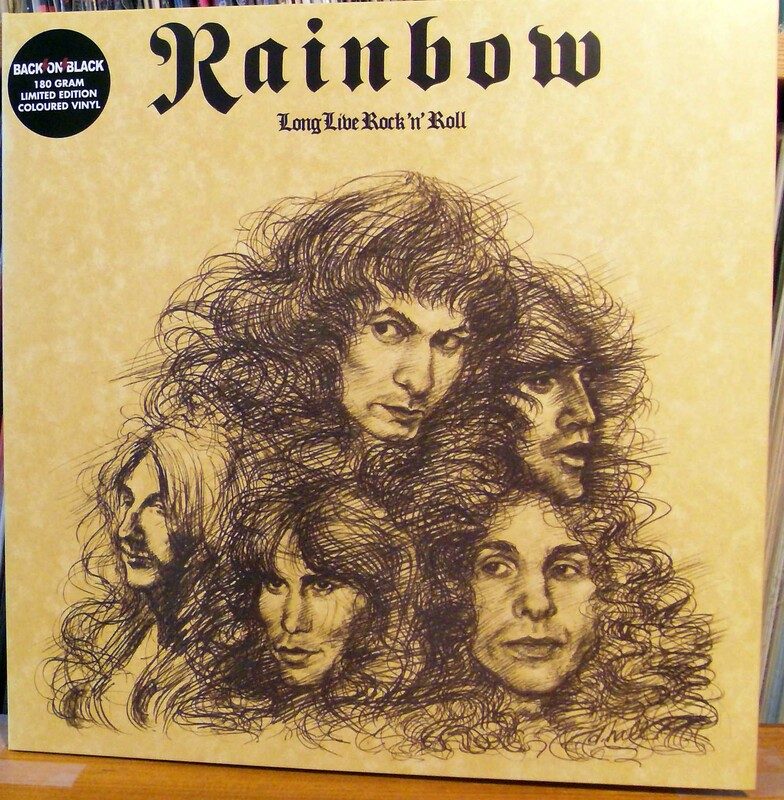 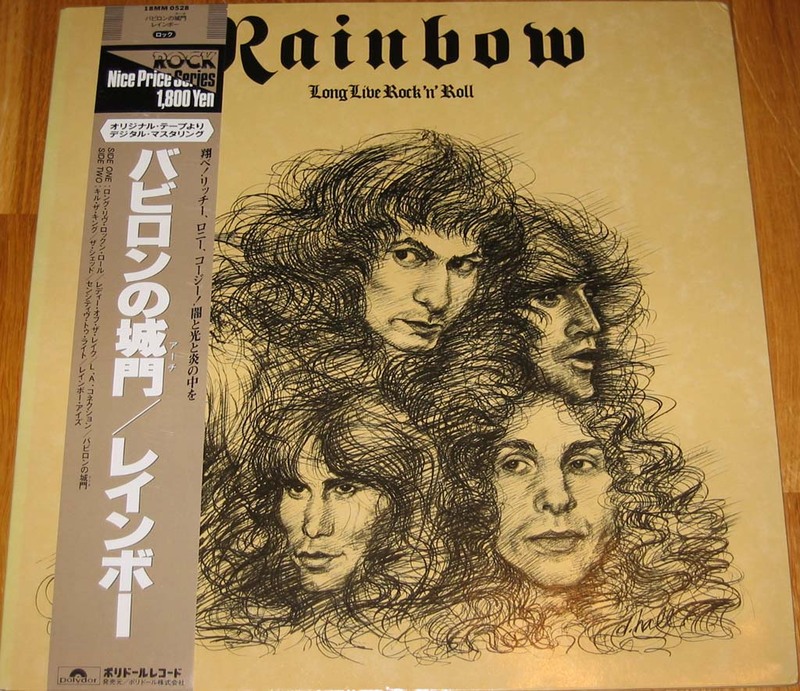 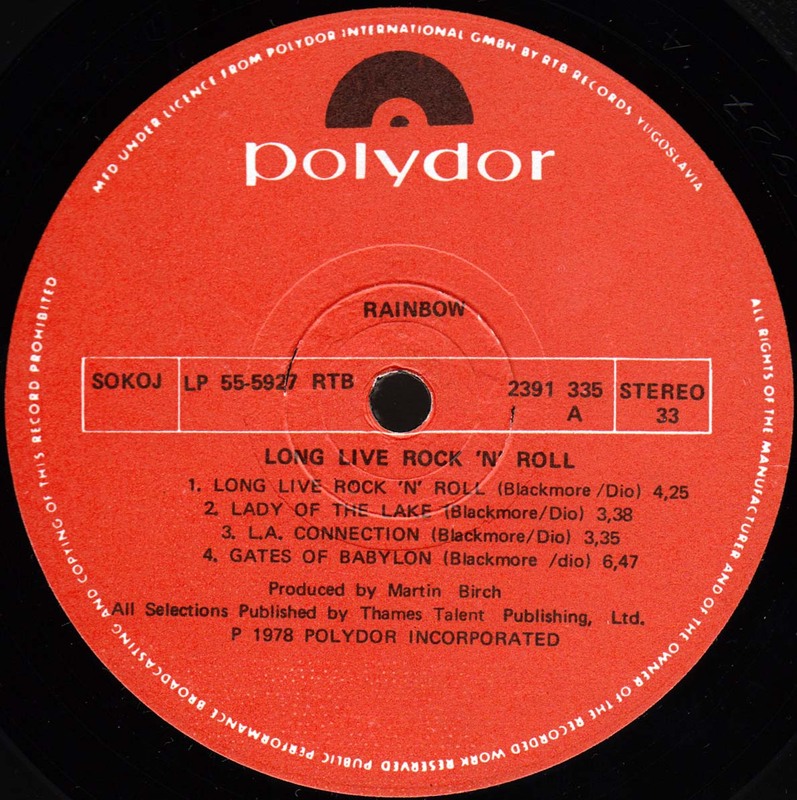 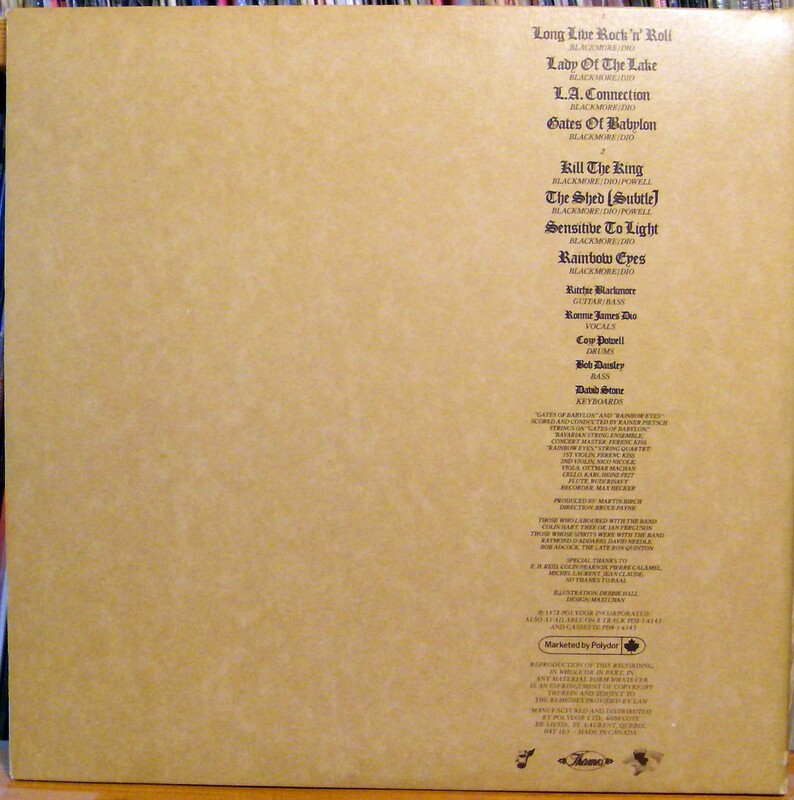 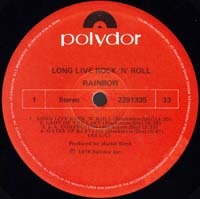 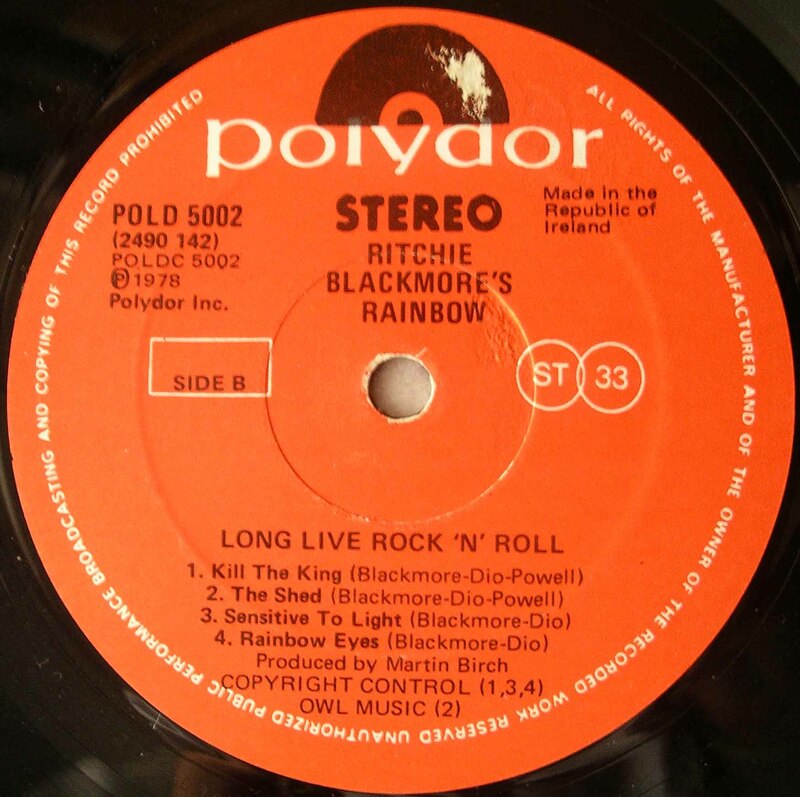 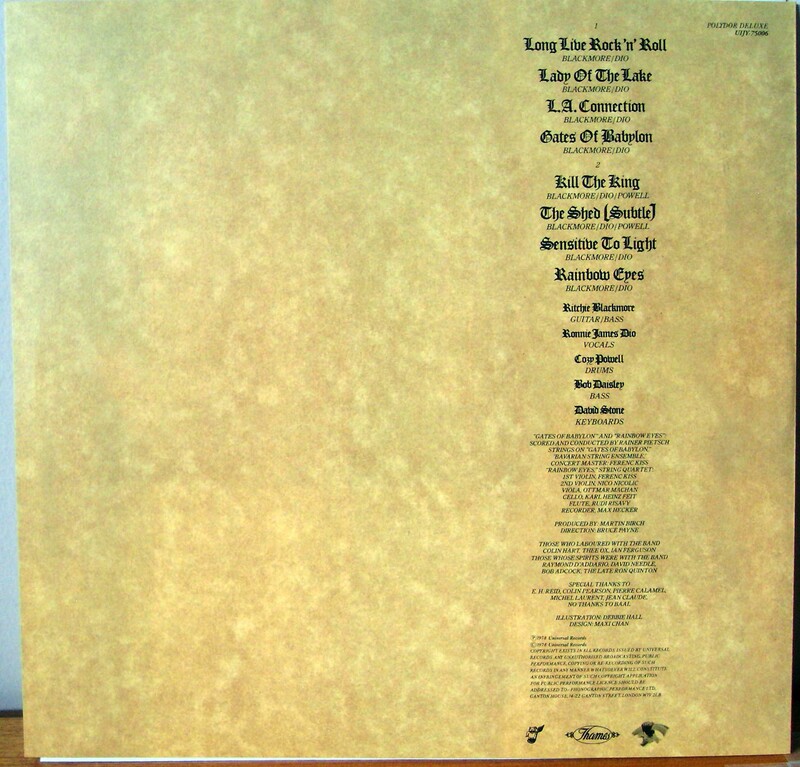 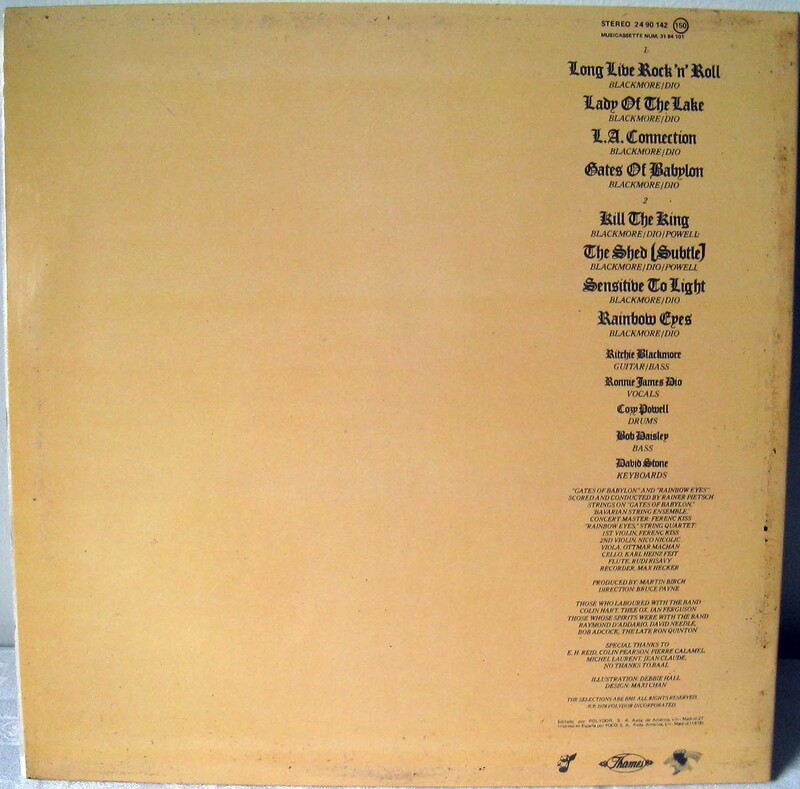 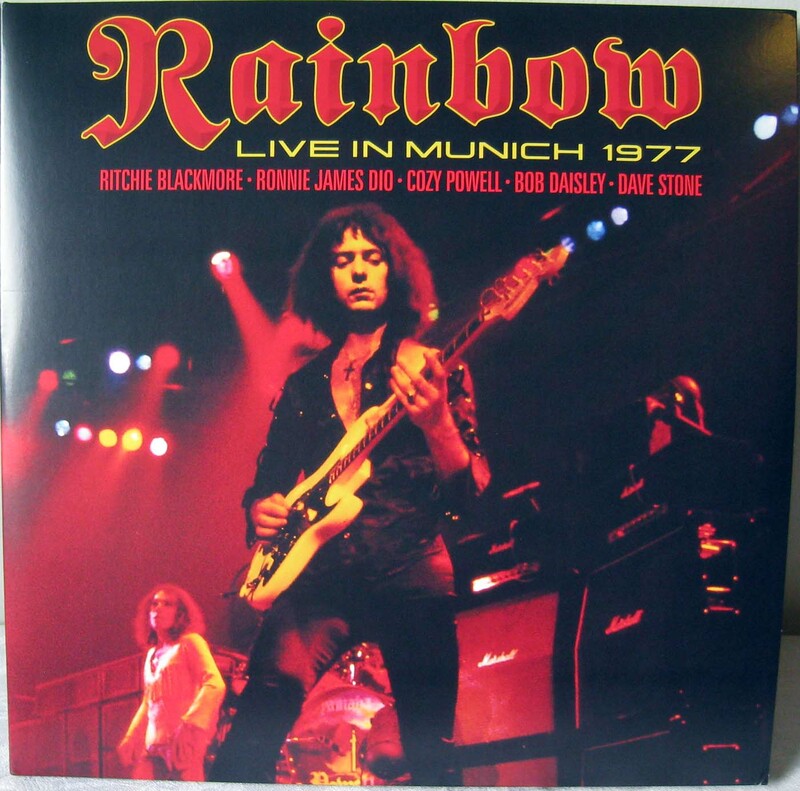 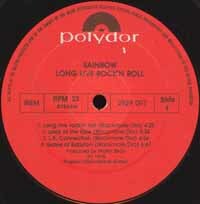 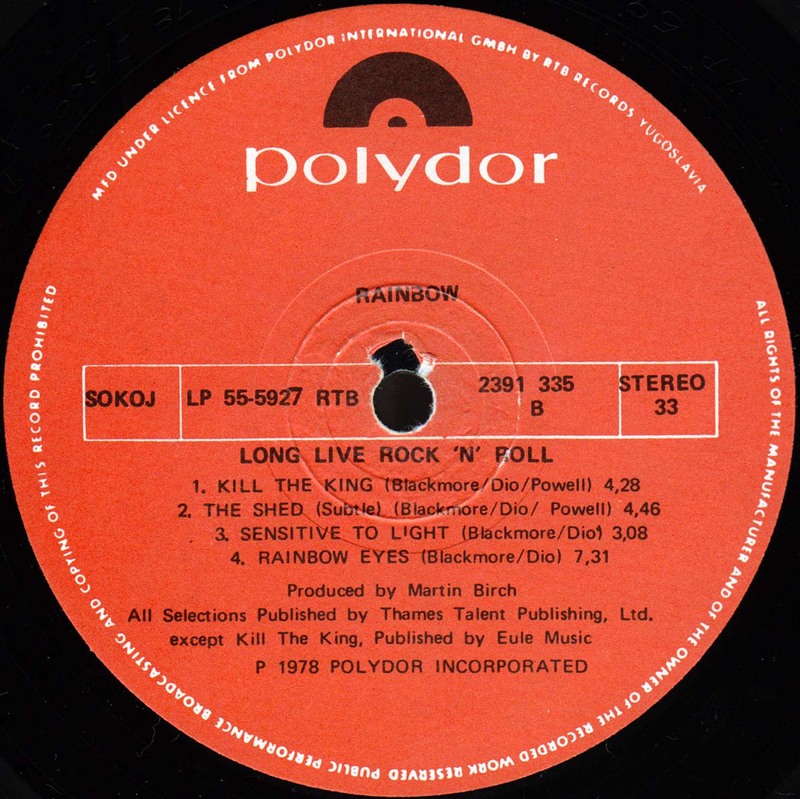 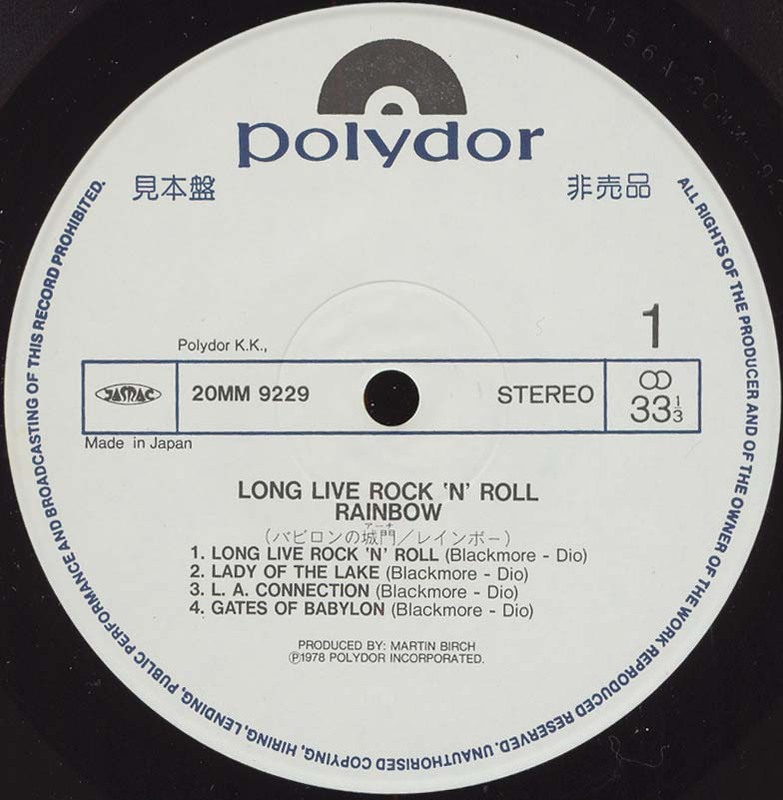 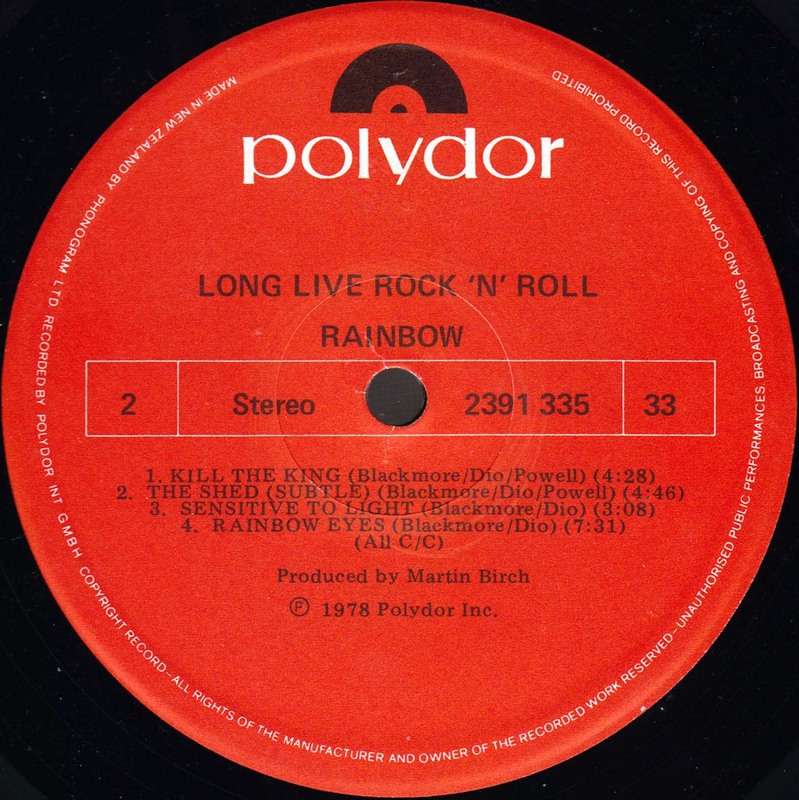 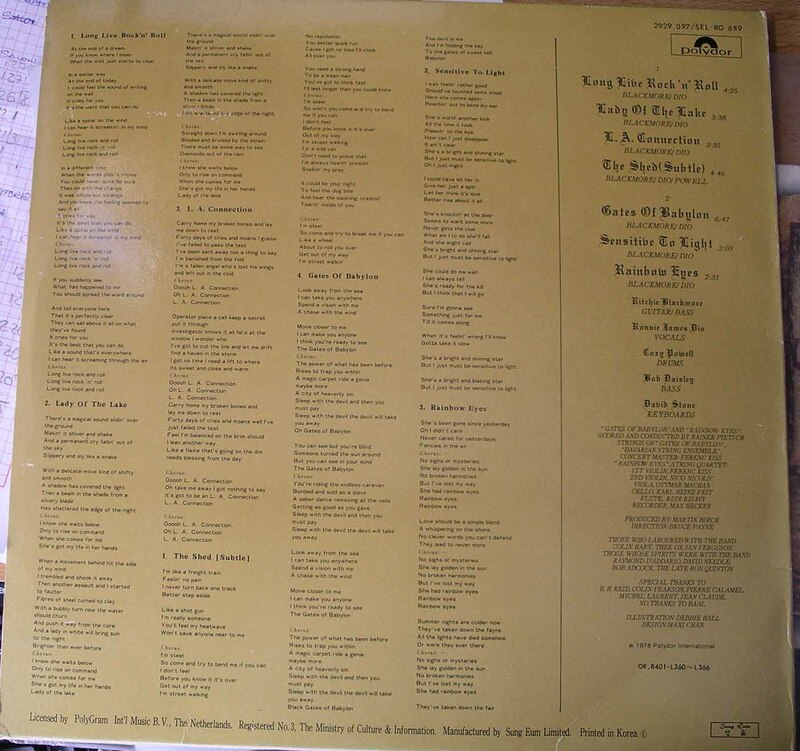 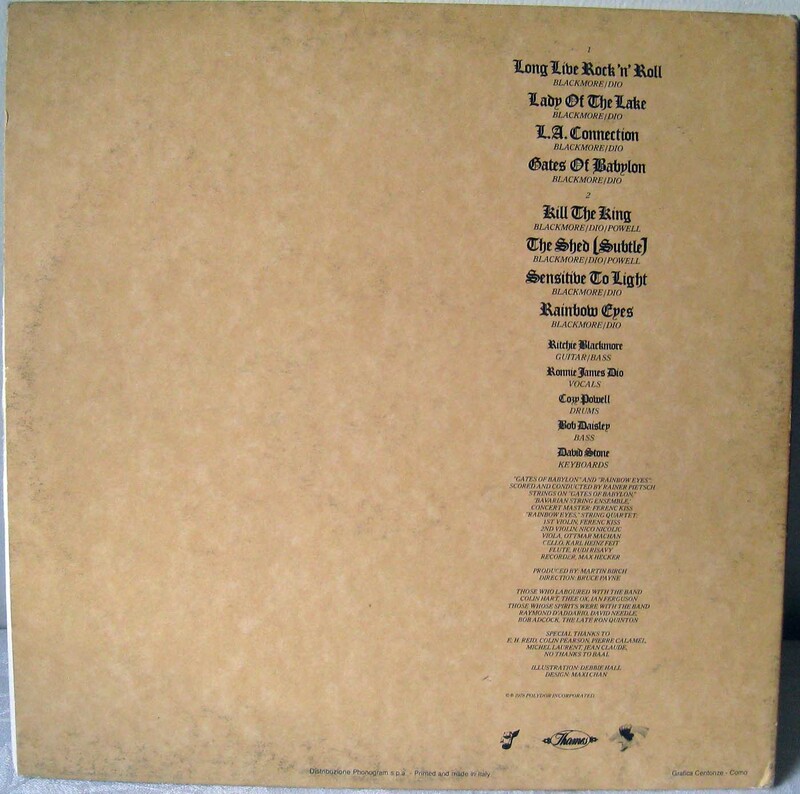 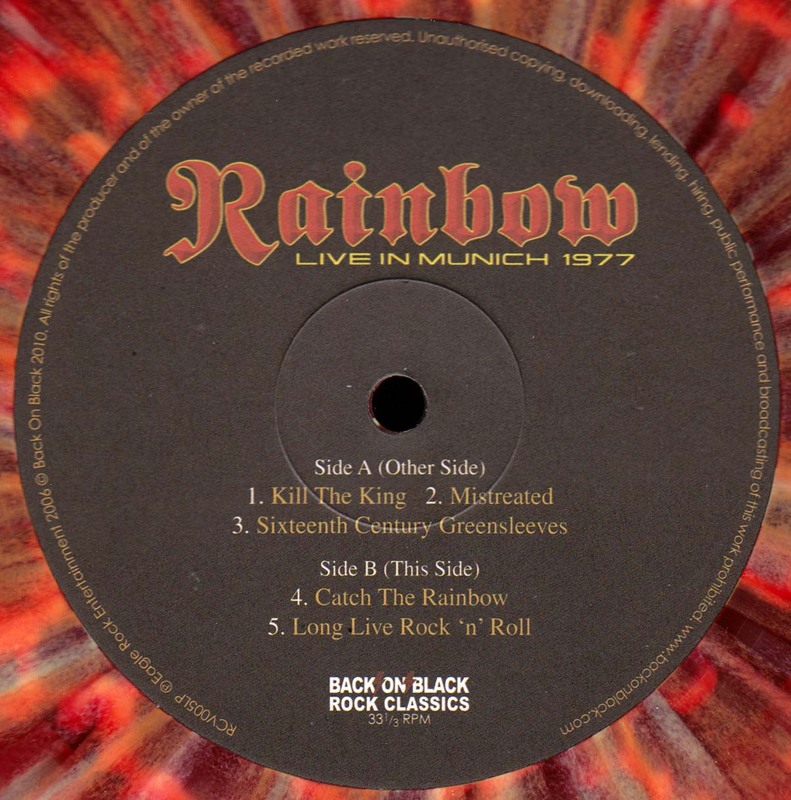 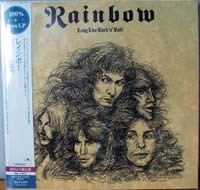 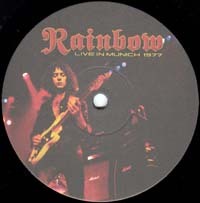 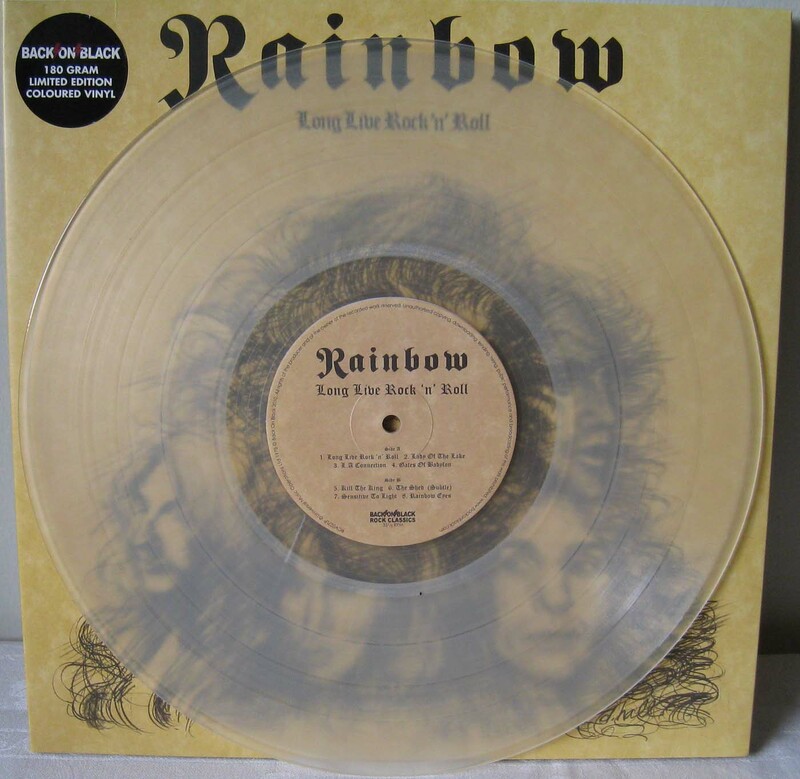 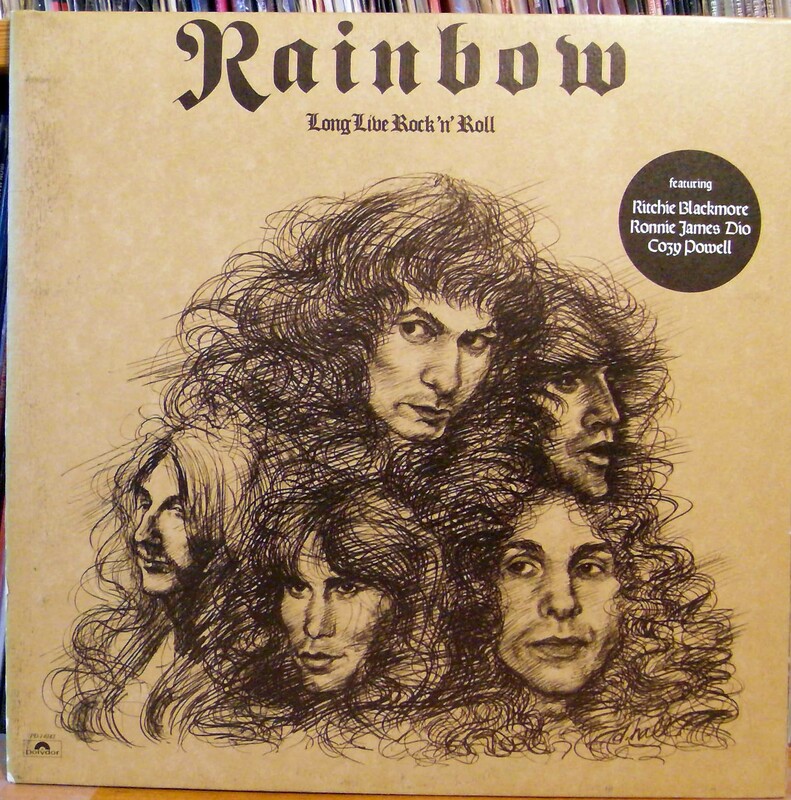 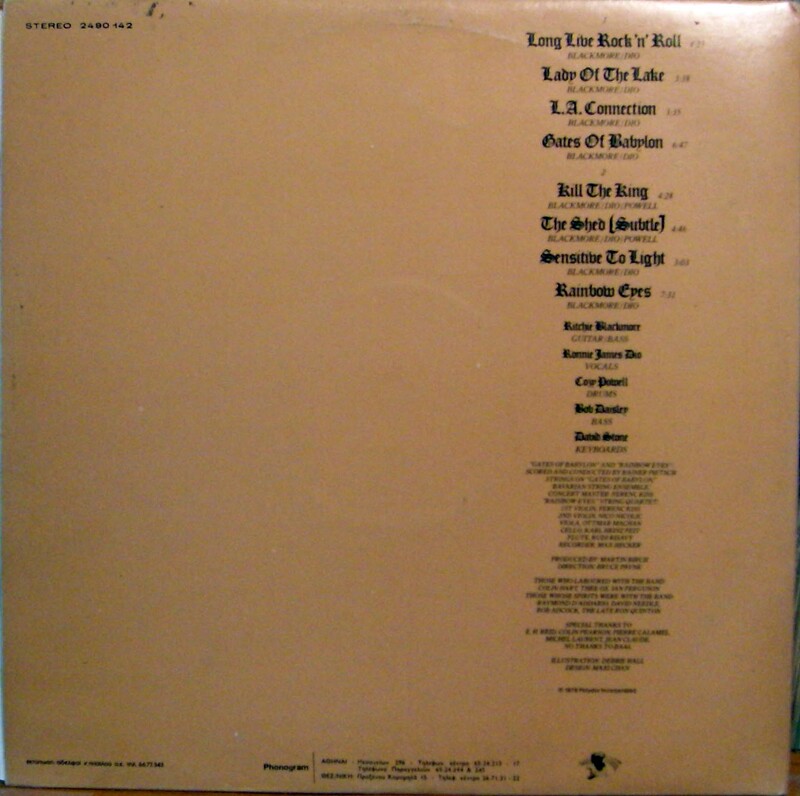 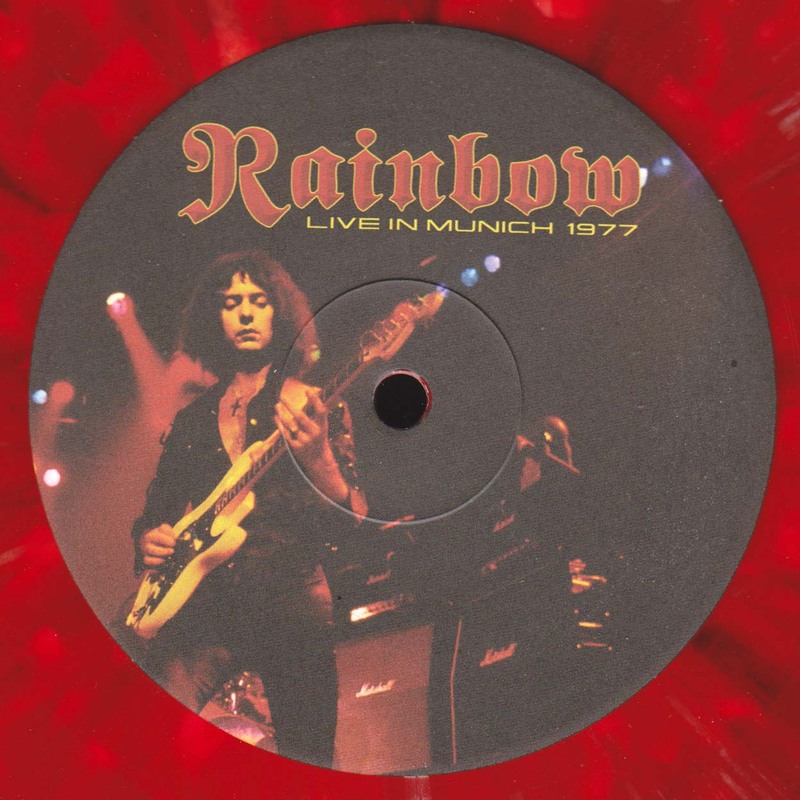 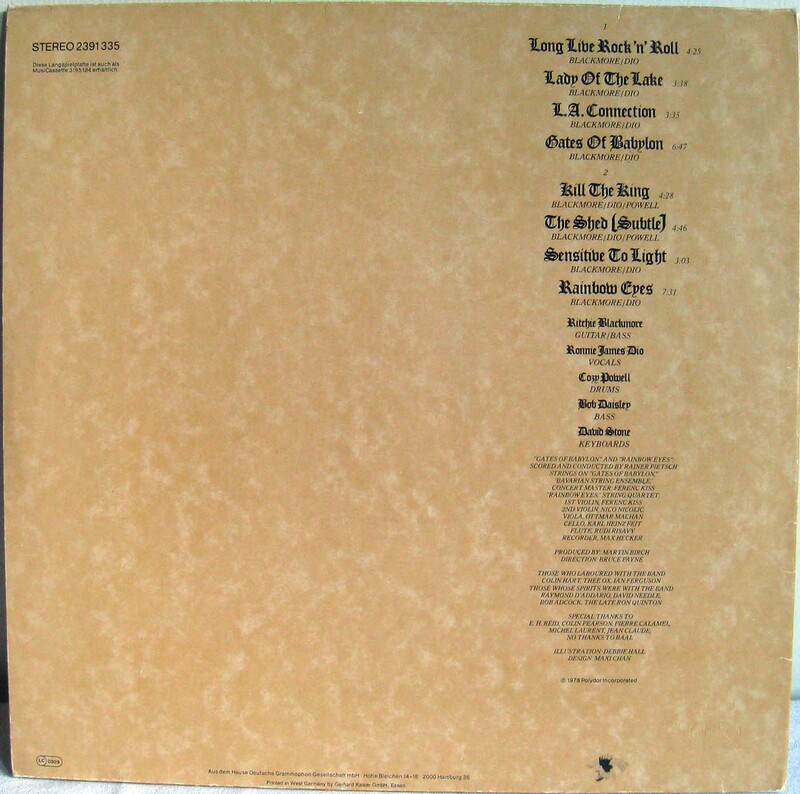 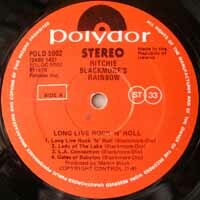 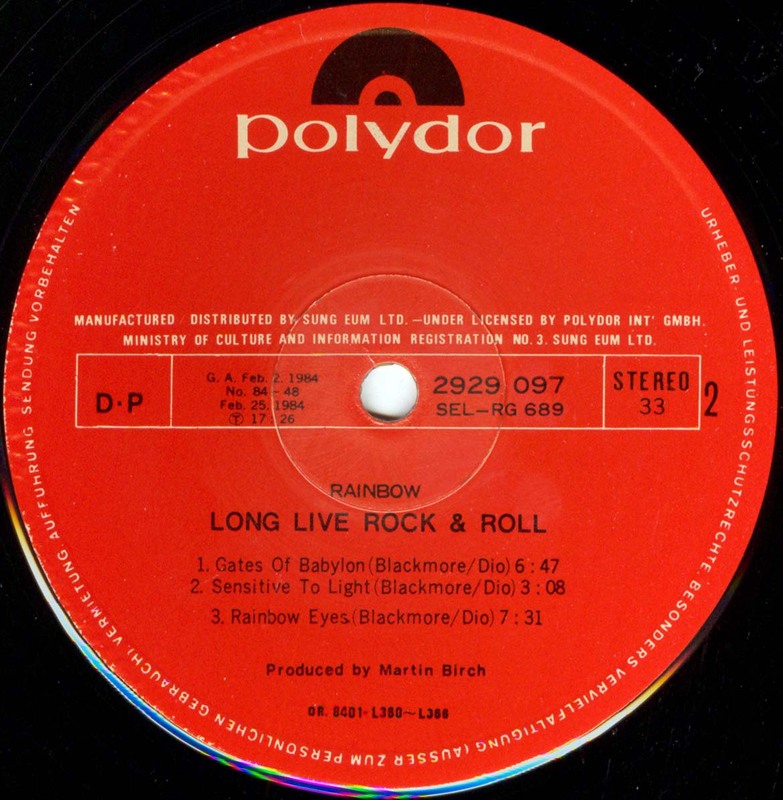 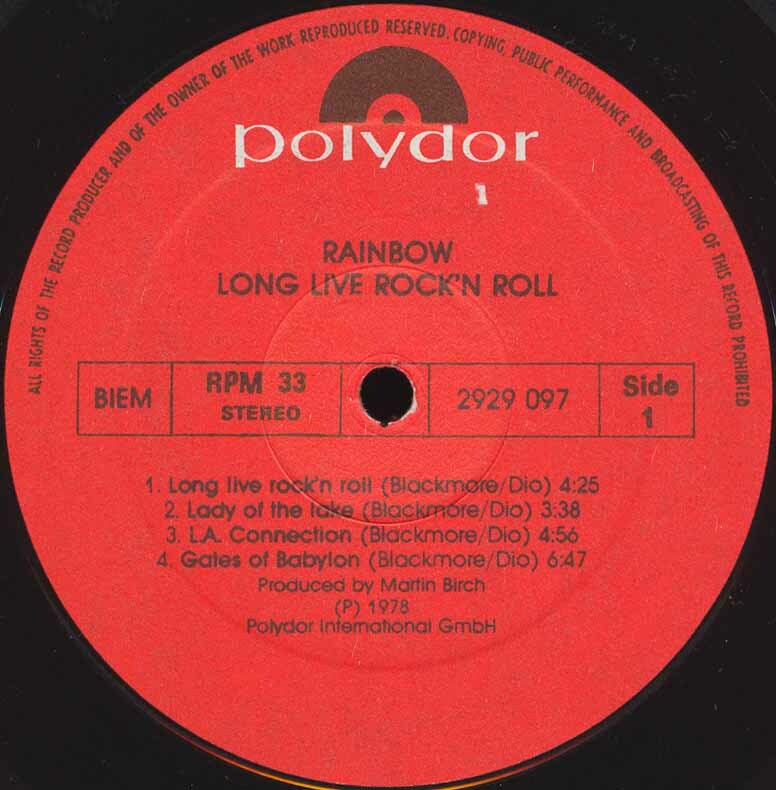 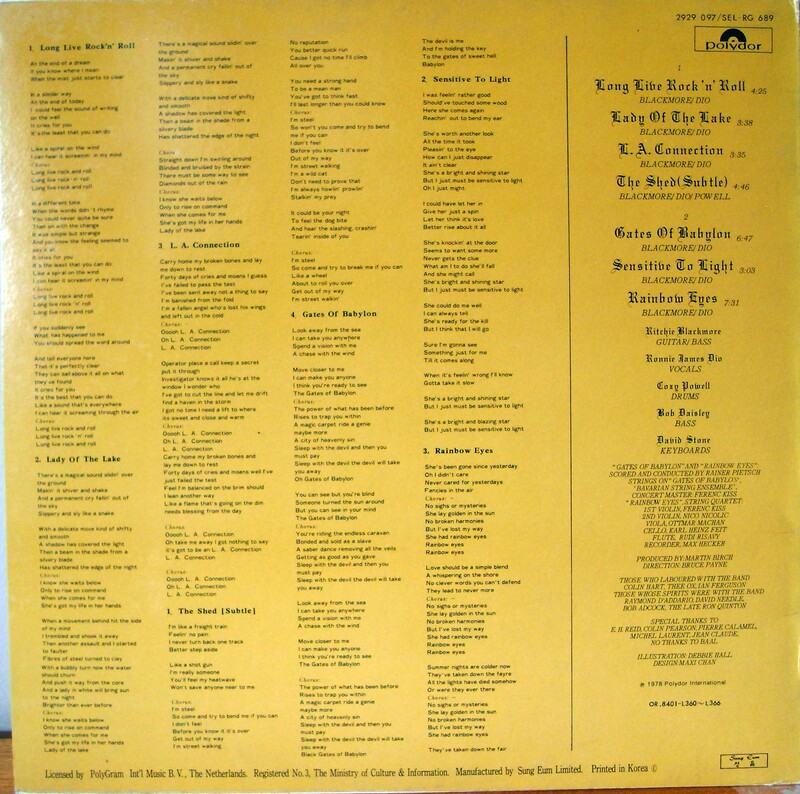 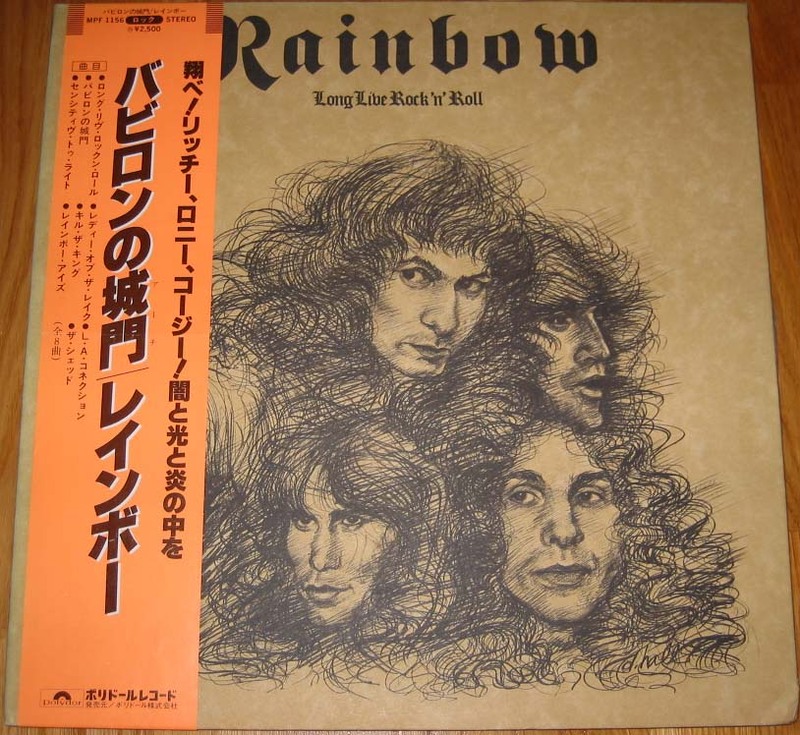 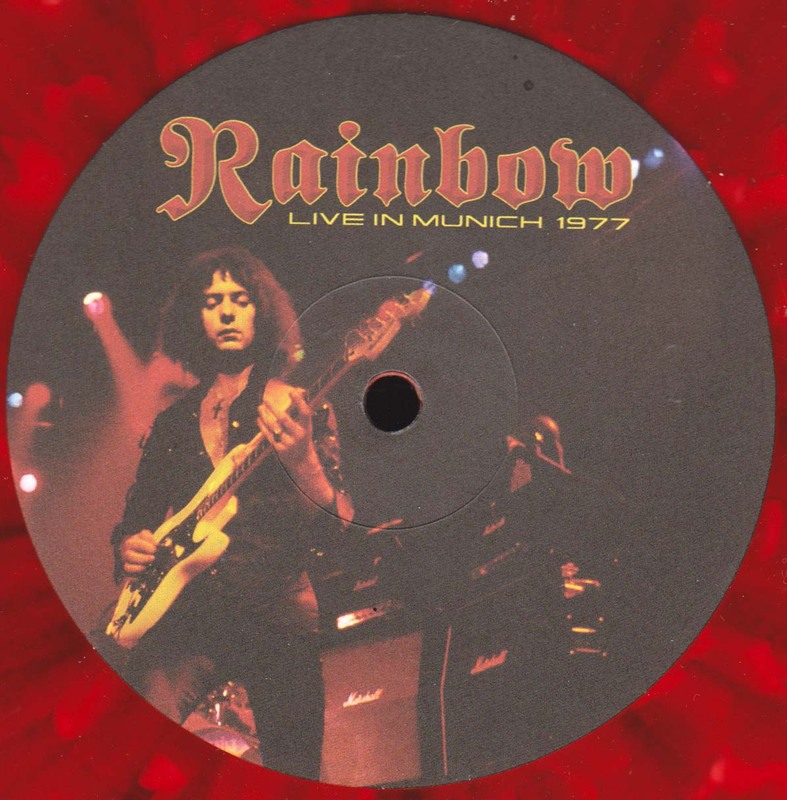 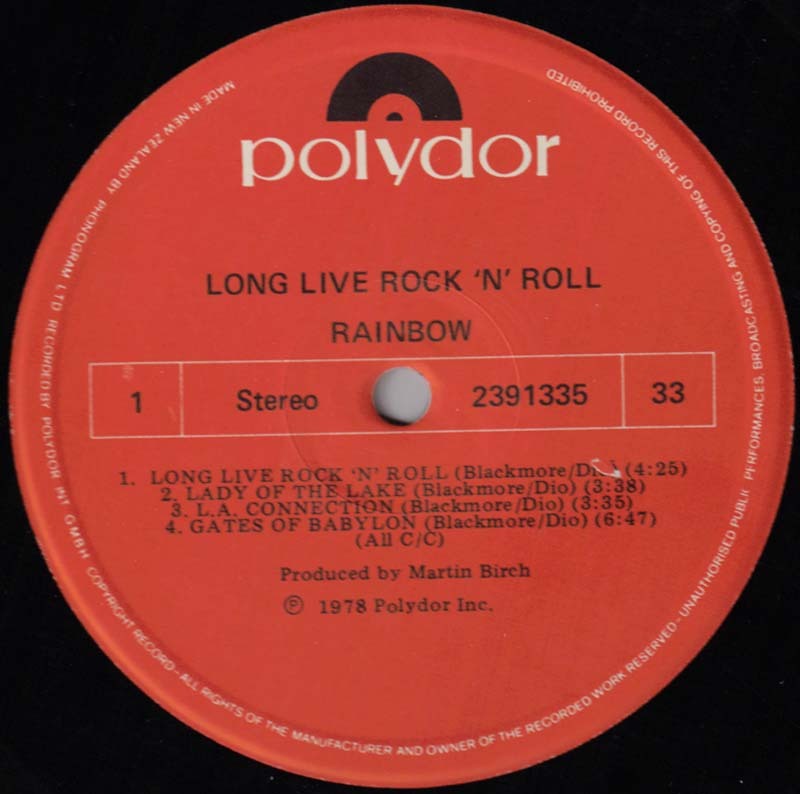 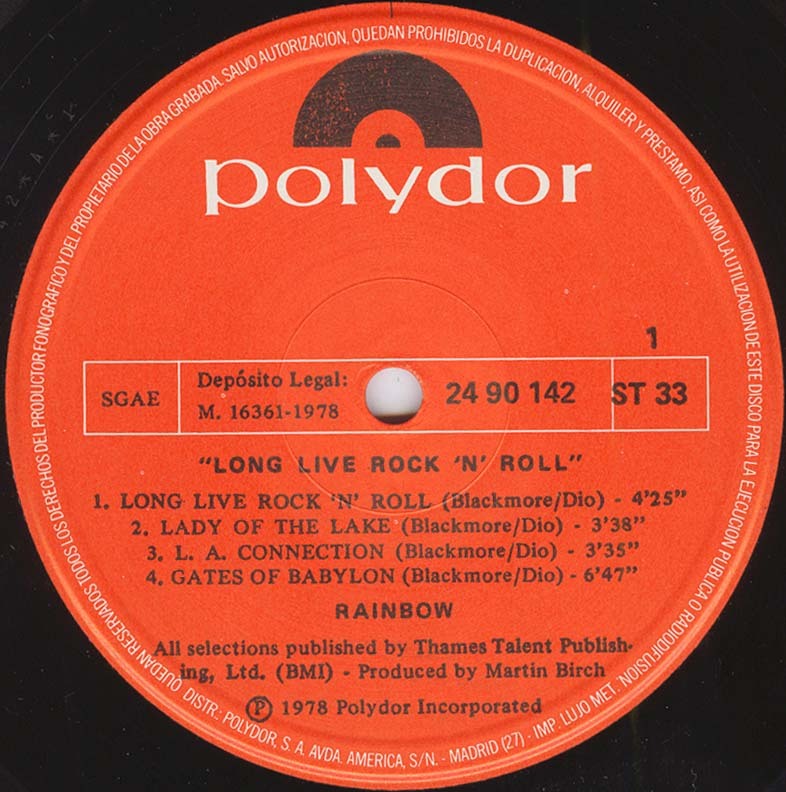 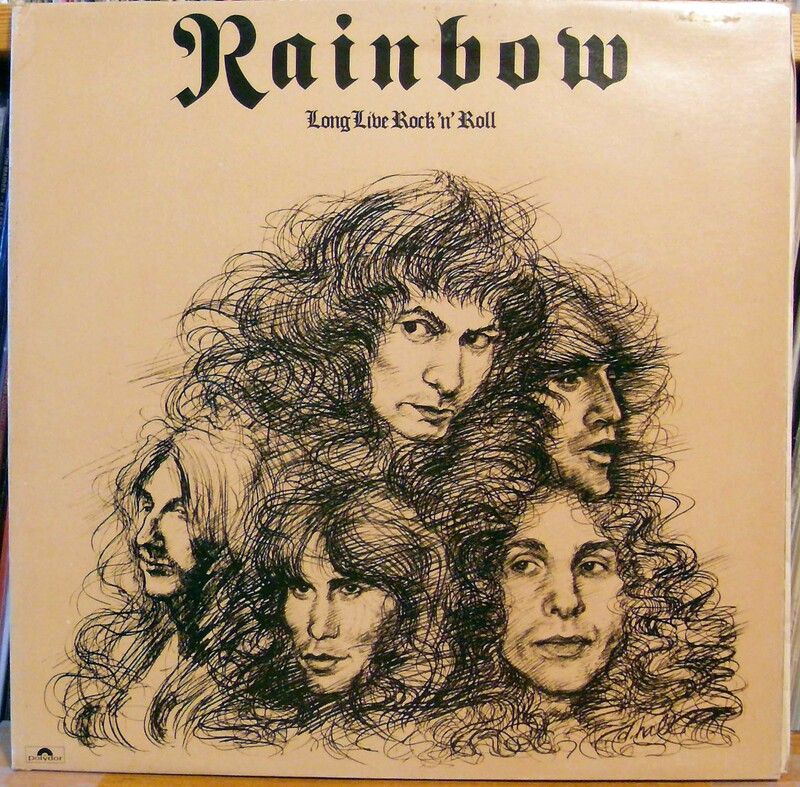 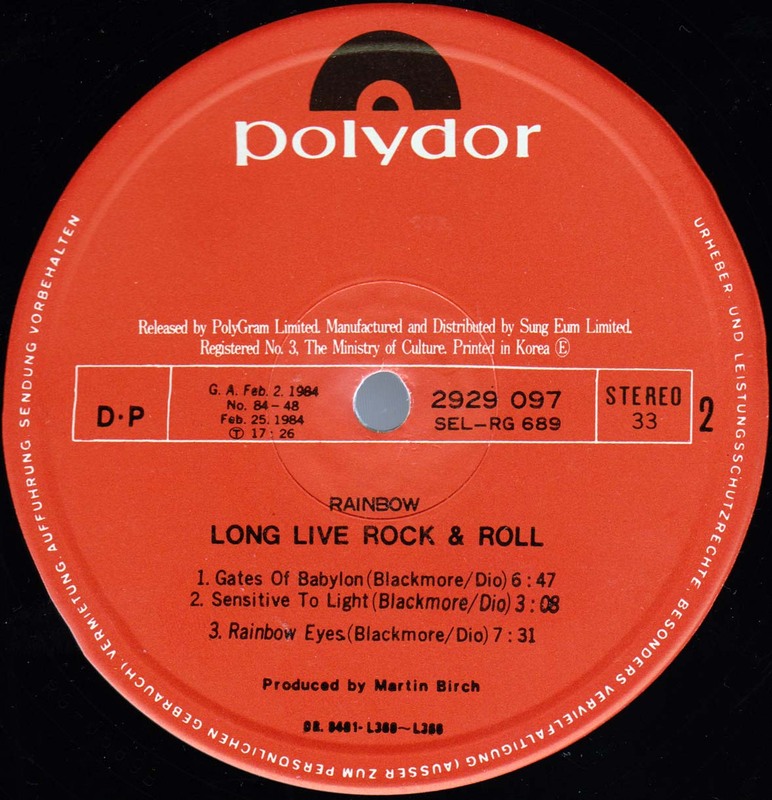 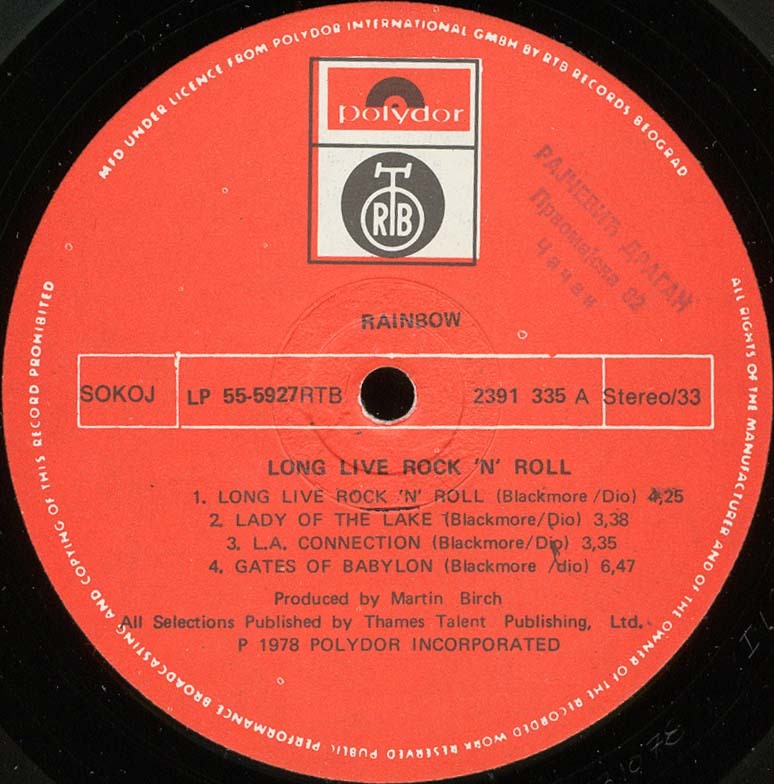 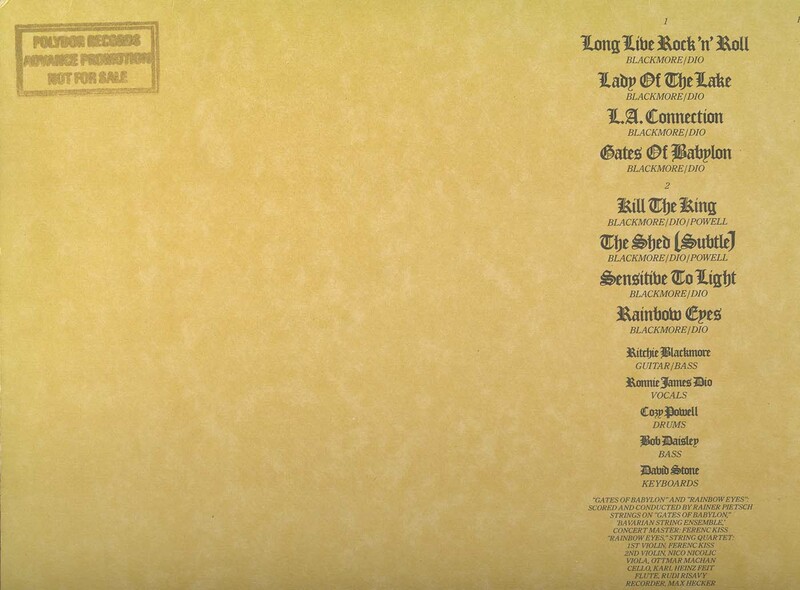 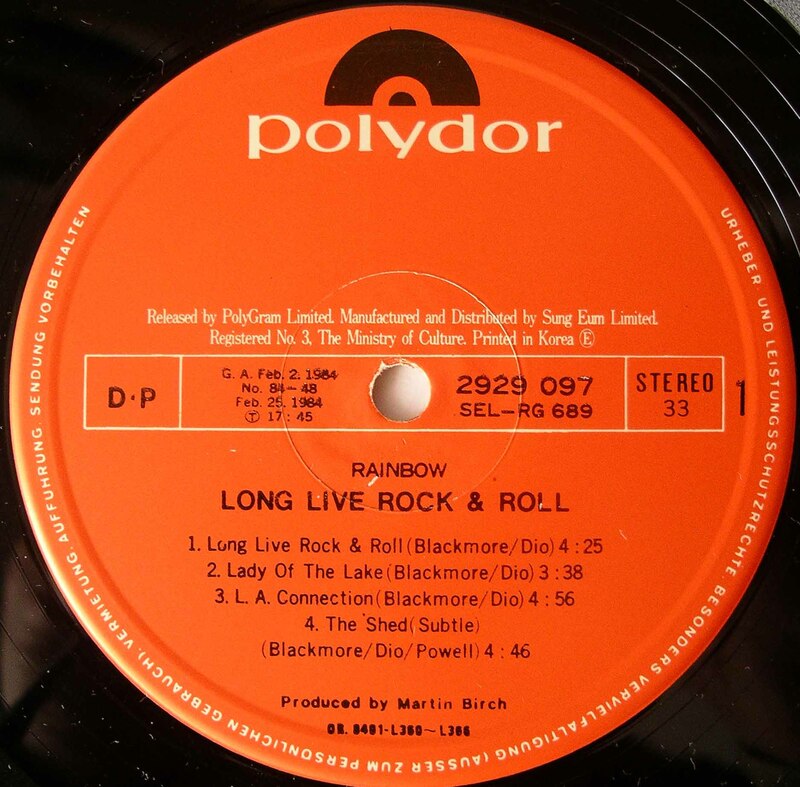 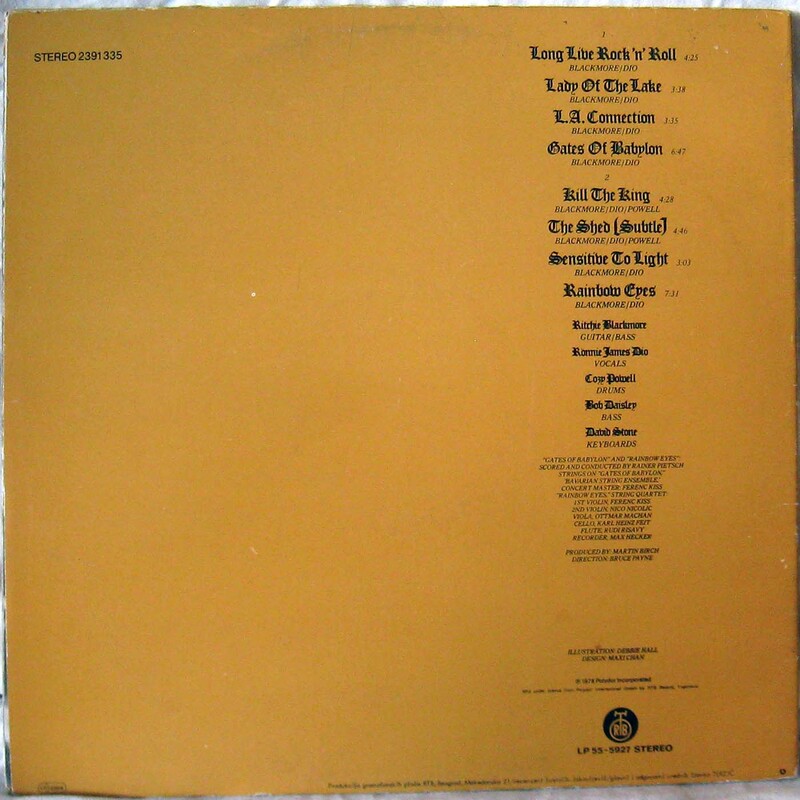 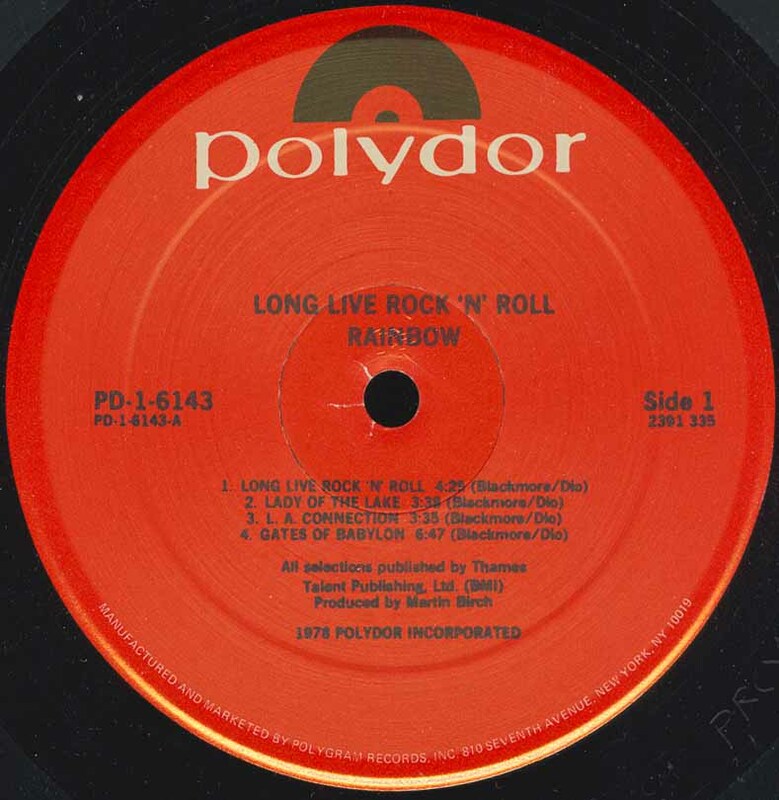 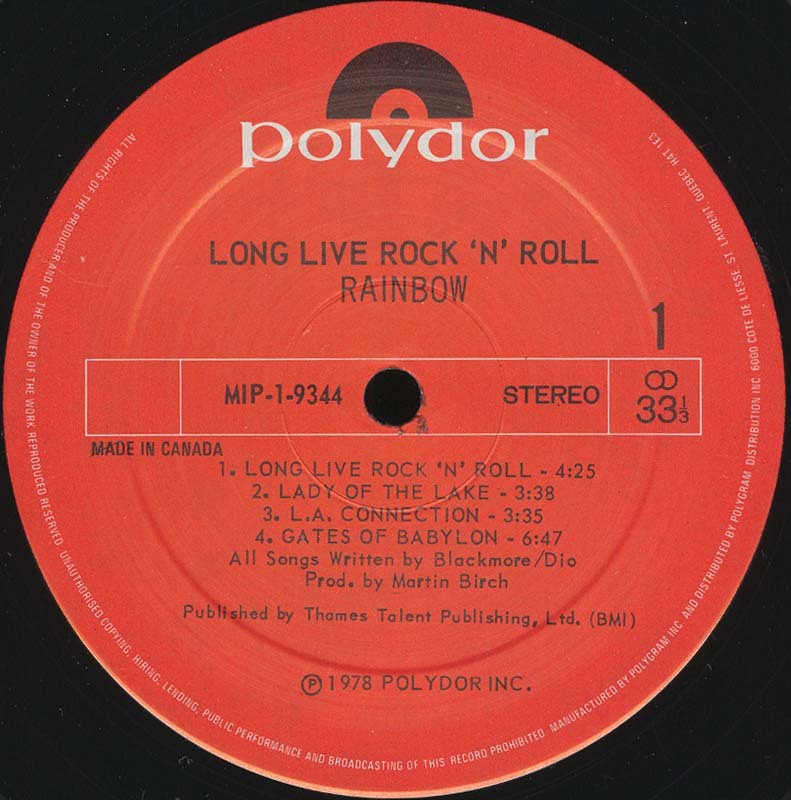 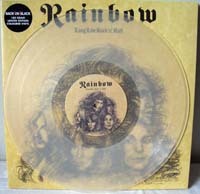 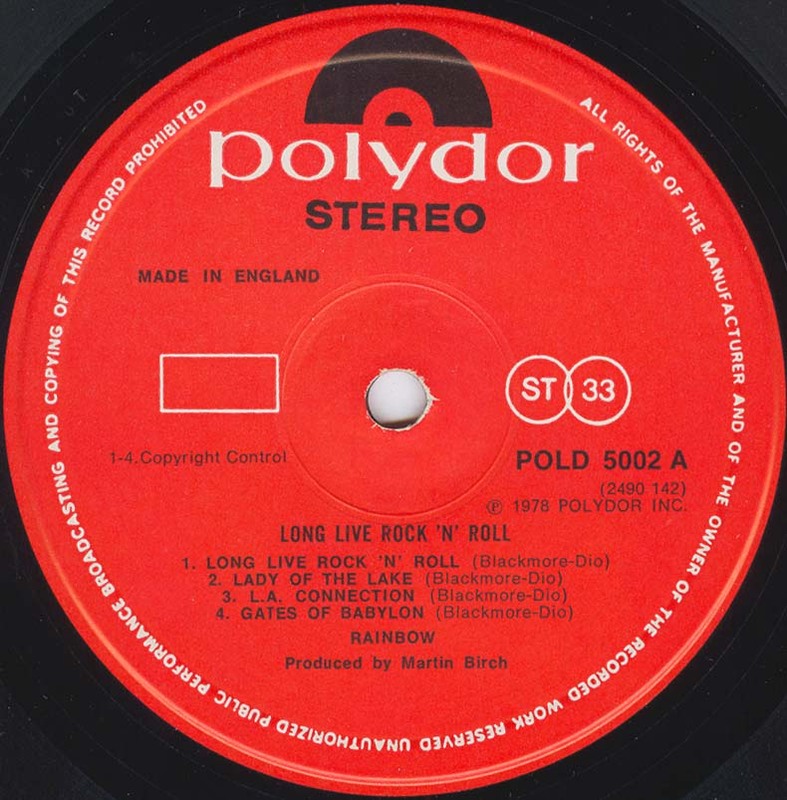 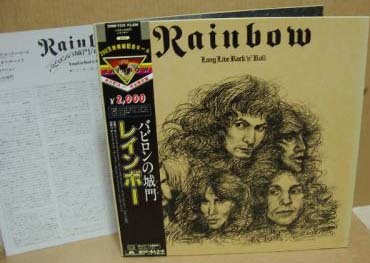 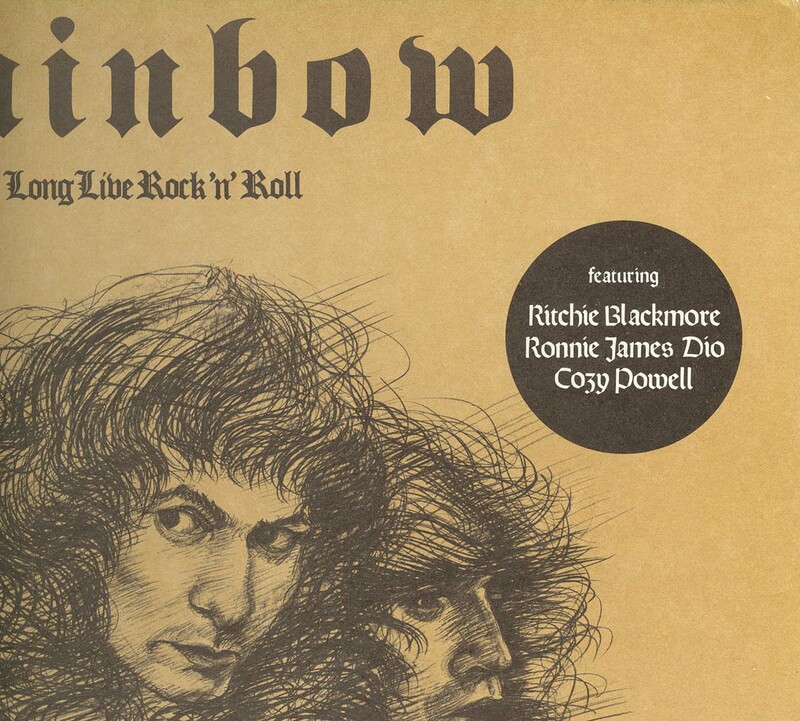 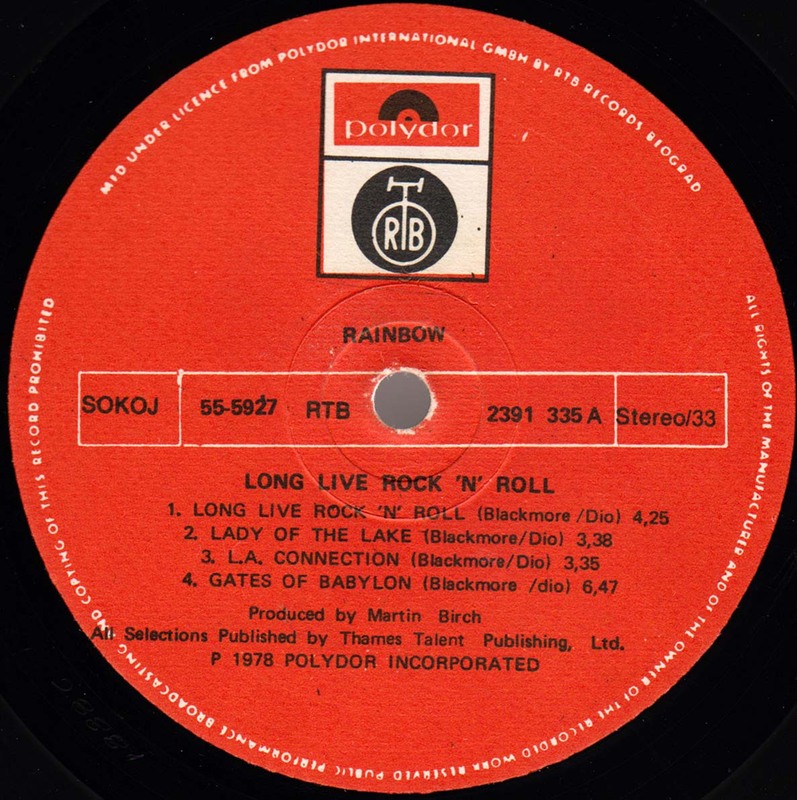 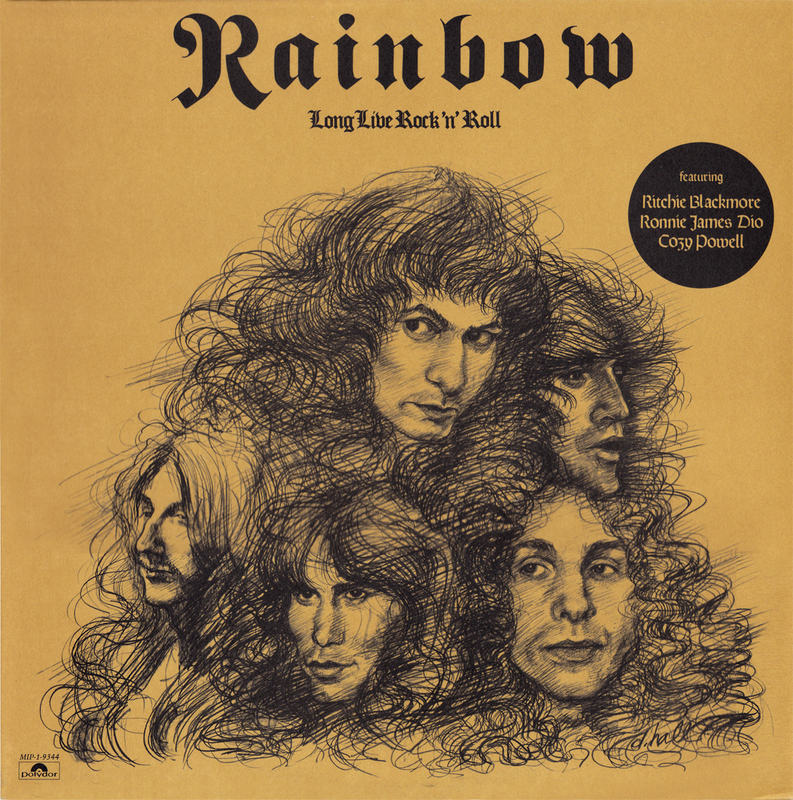 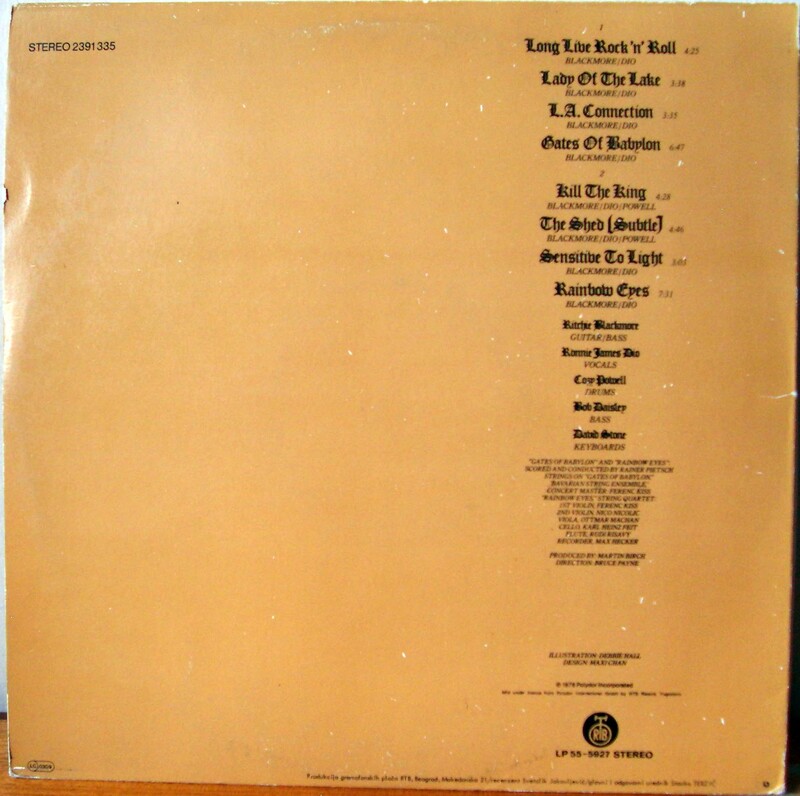 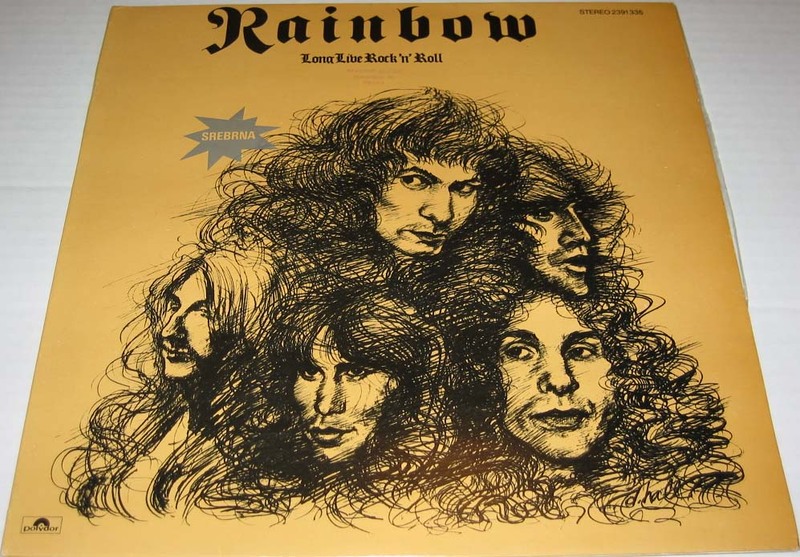 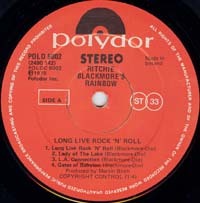 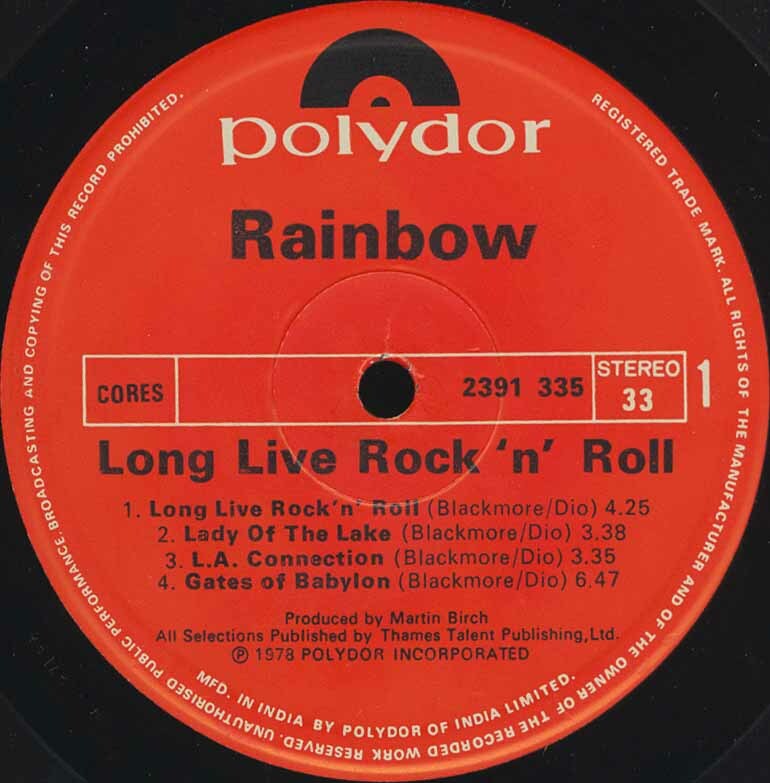 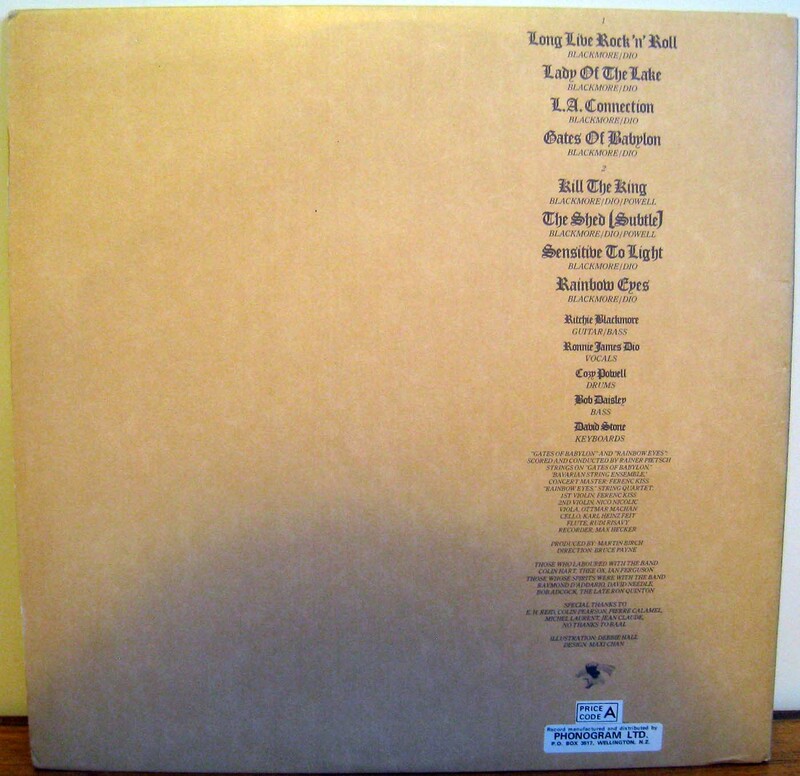 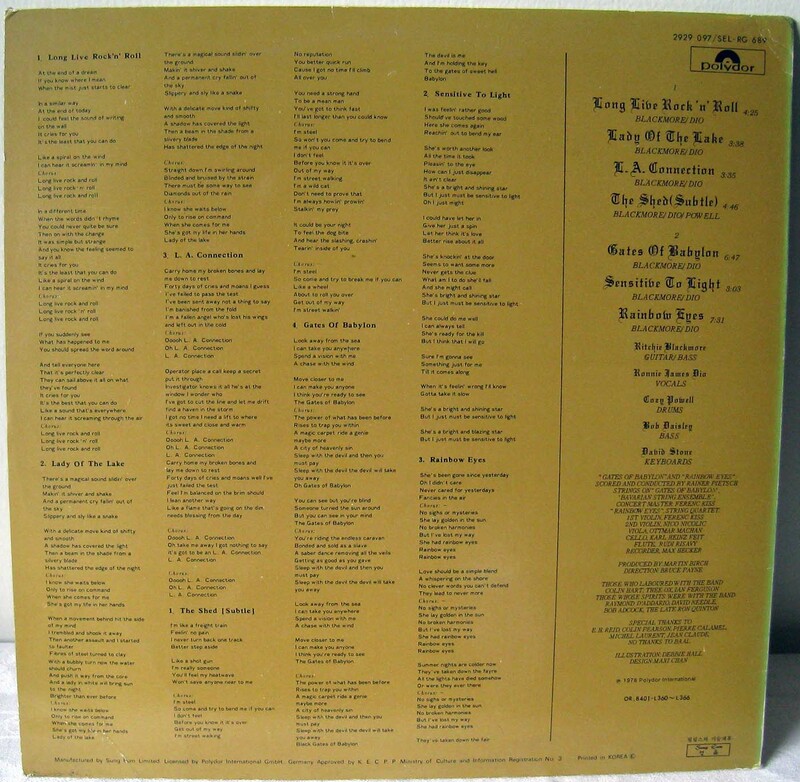 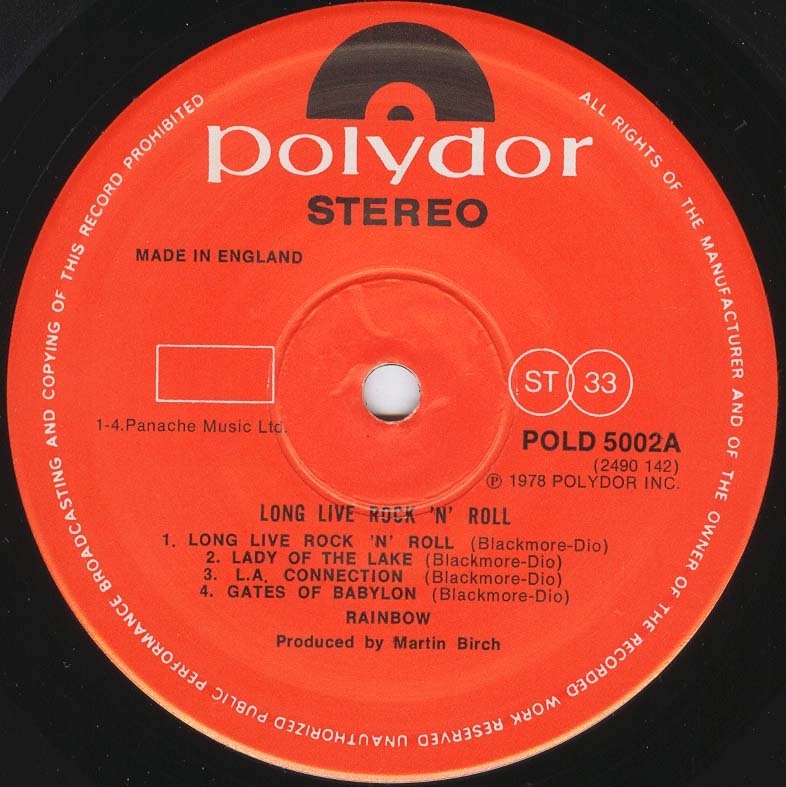 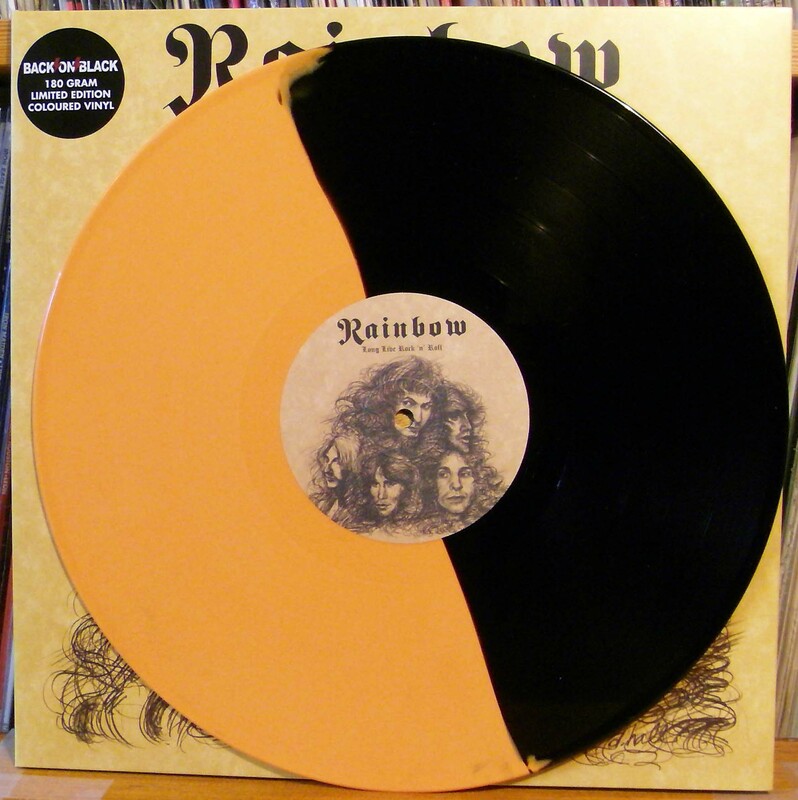 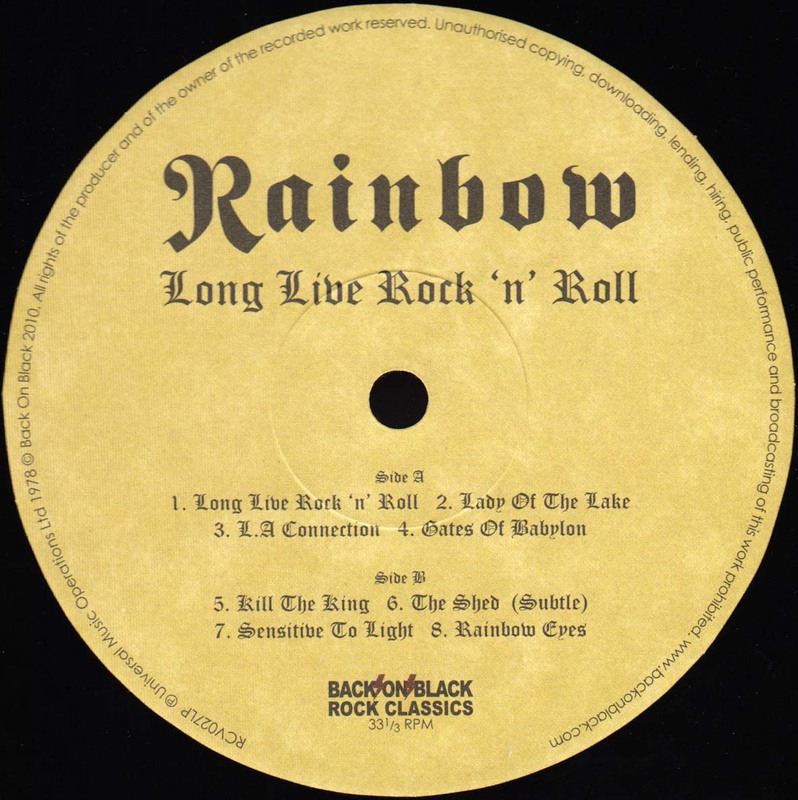 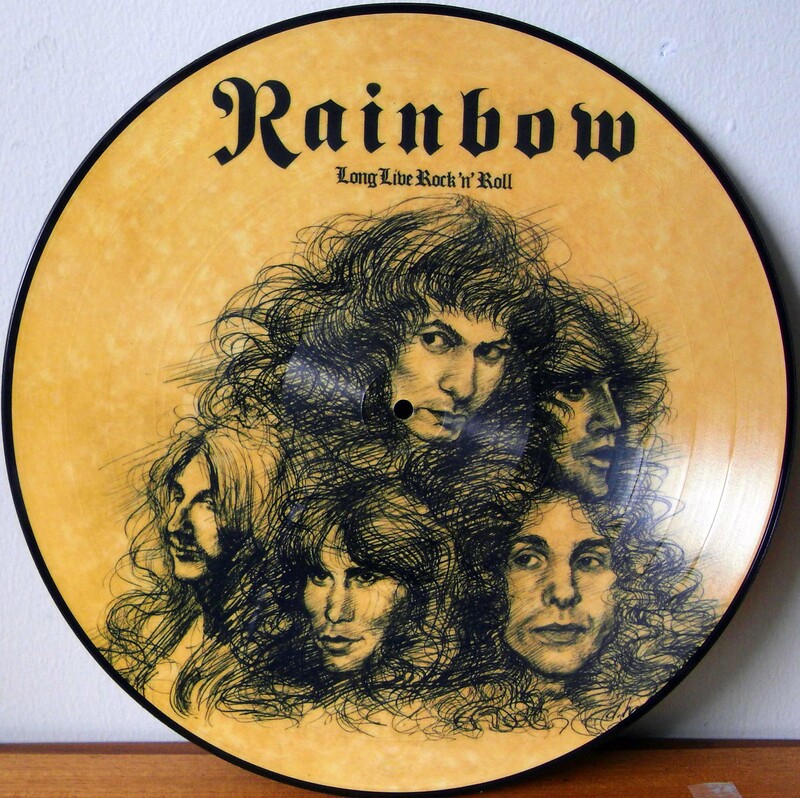 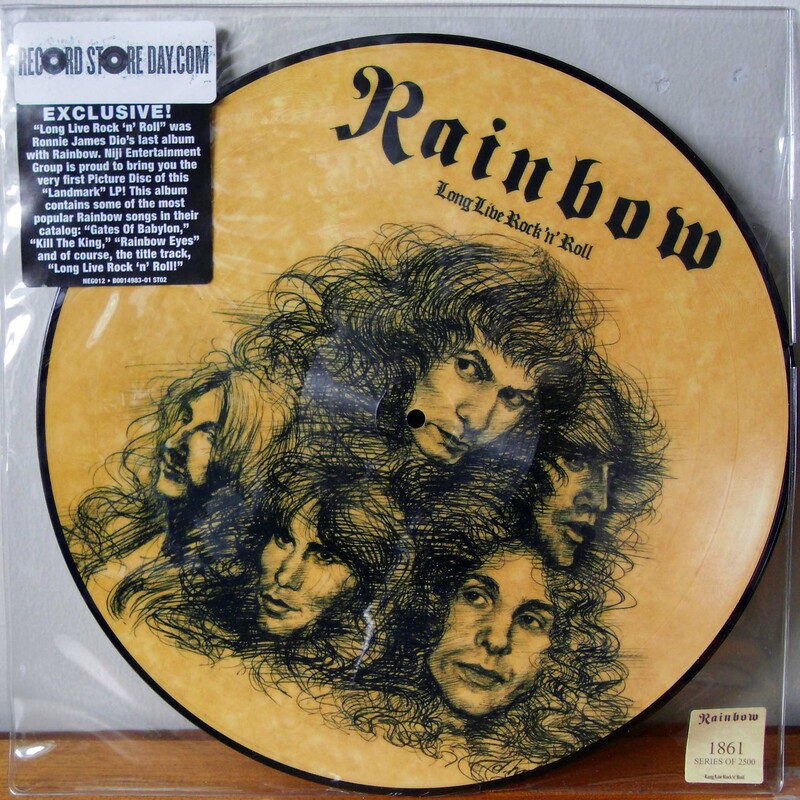 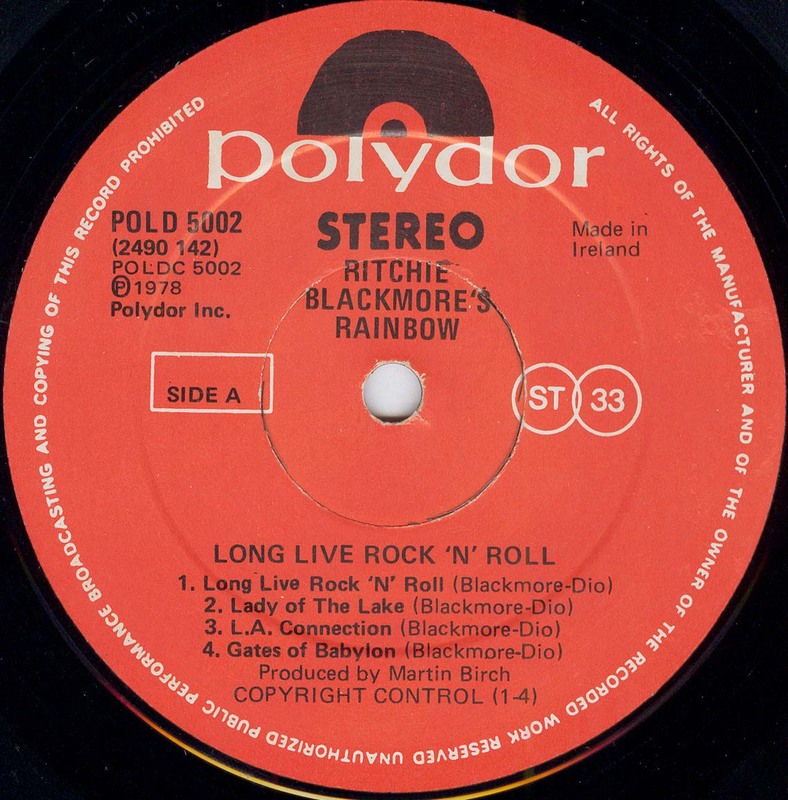 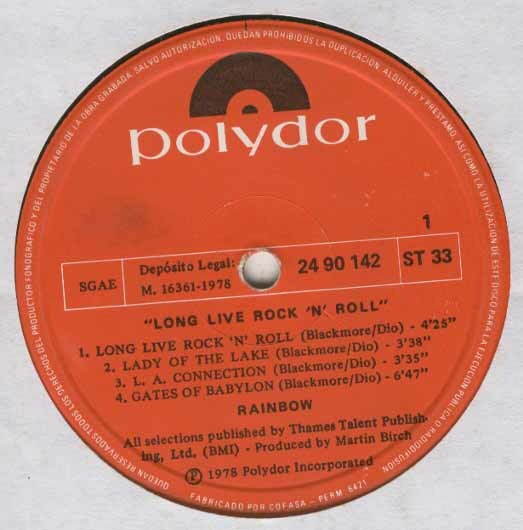 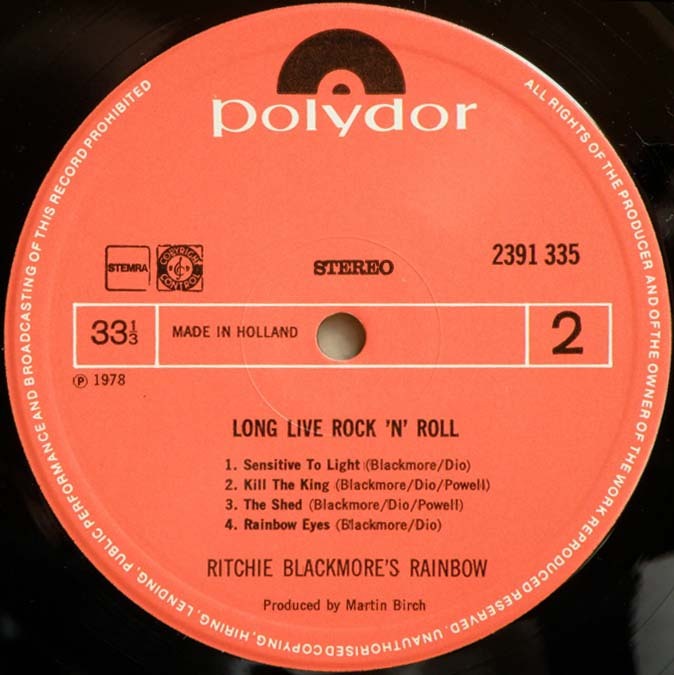 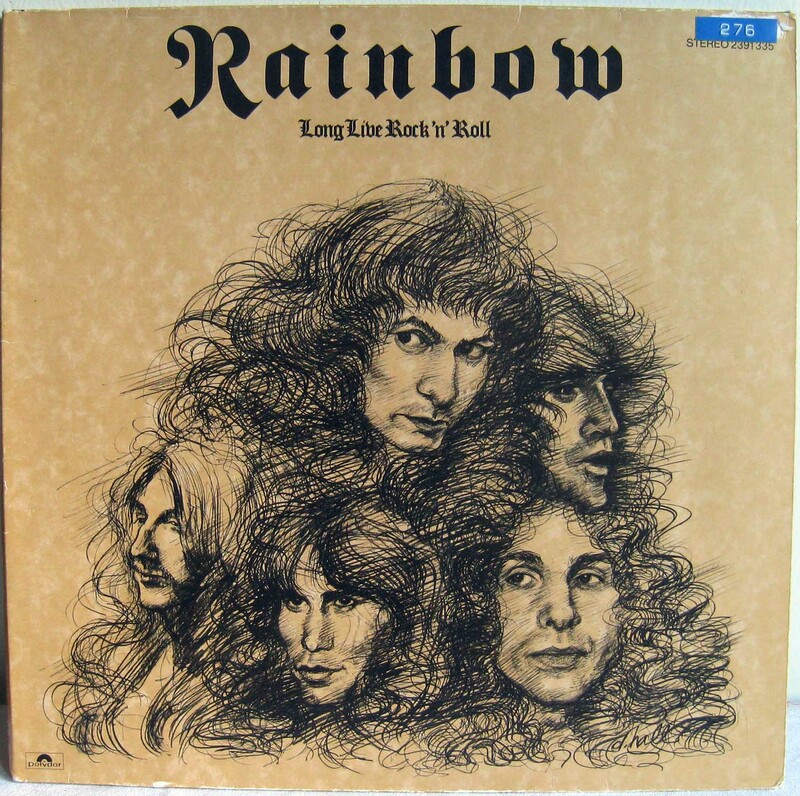 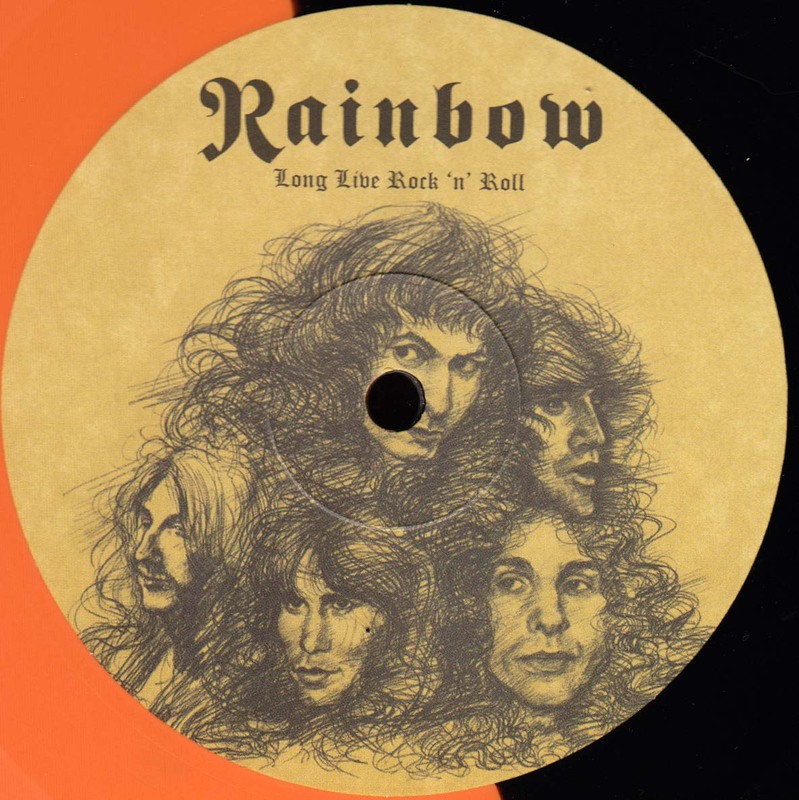 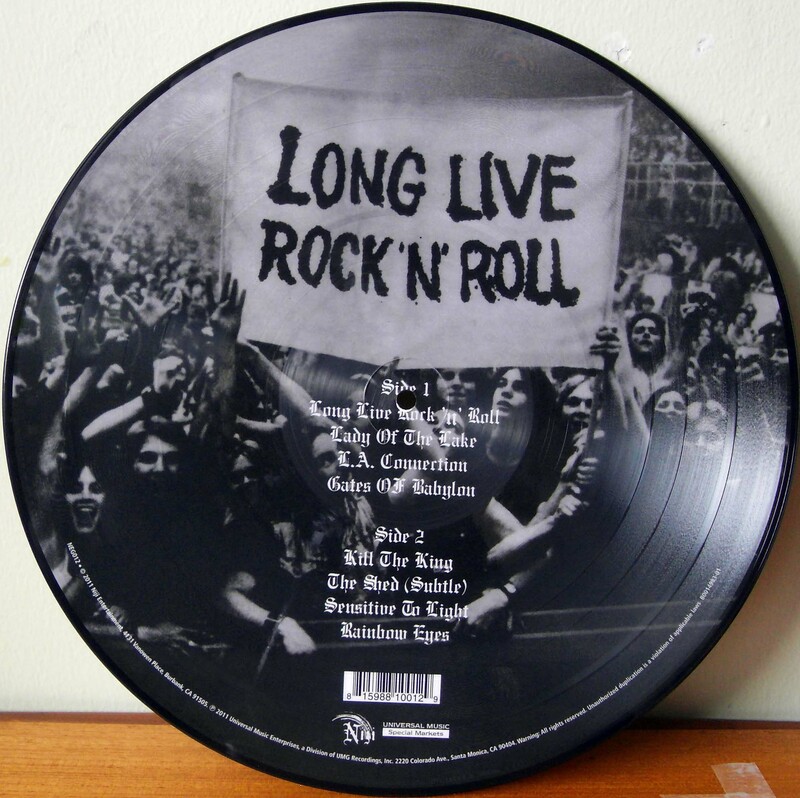 - Black circle on the front cover saying "Featuring Ritchie Blackmore, Ronnie James Dio, Cozy Powell"
- Sticker on the front cover, saying "Featuring..."
- Click here for titlestrip back side picture. 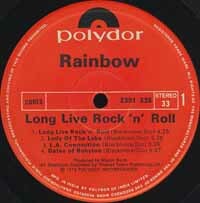 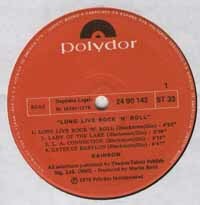 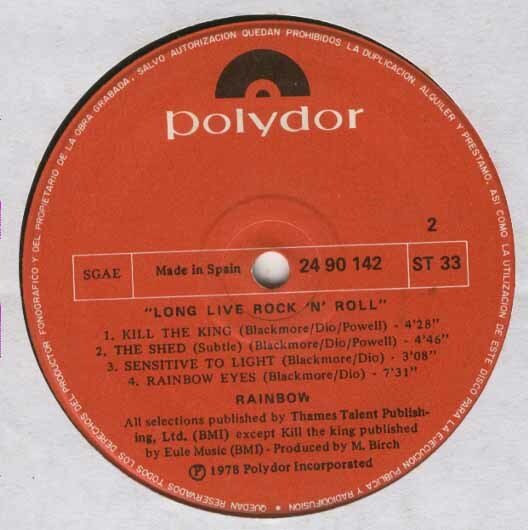 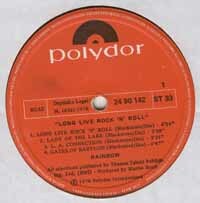 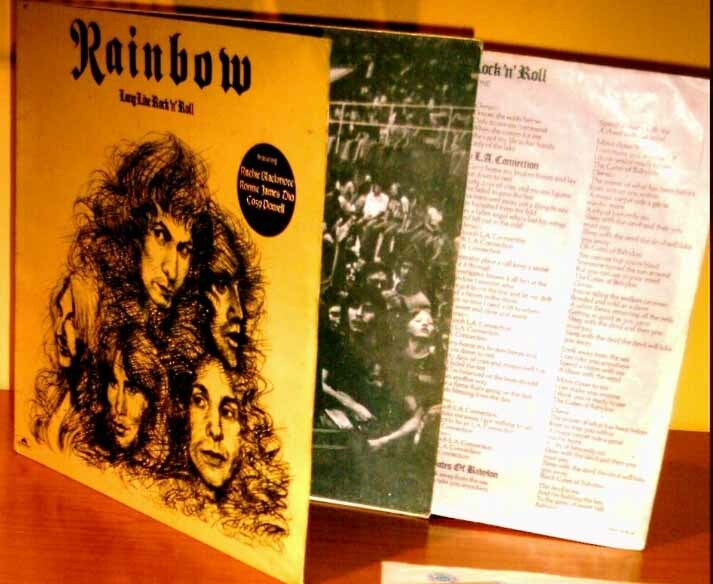 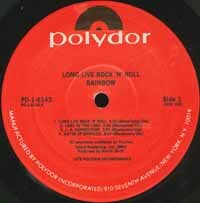 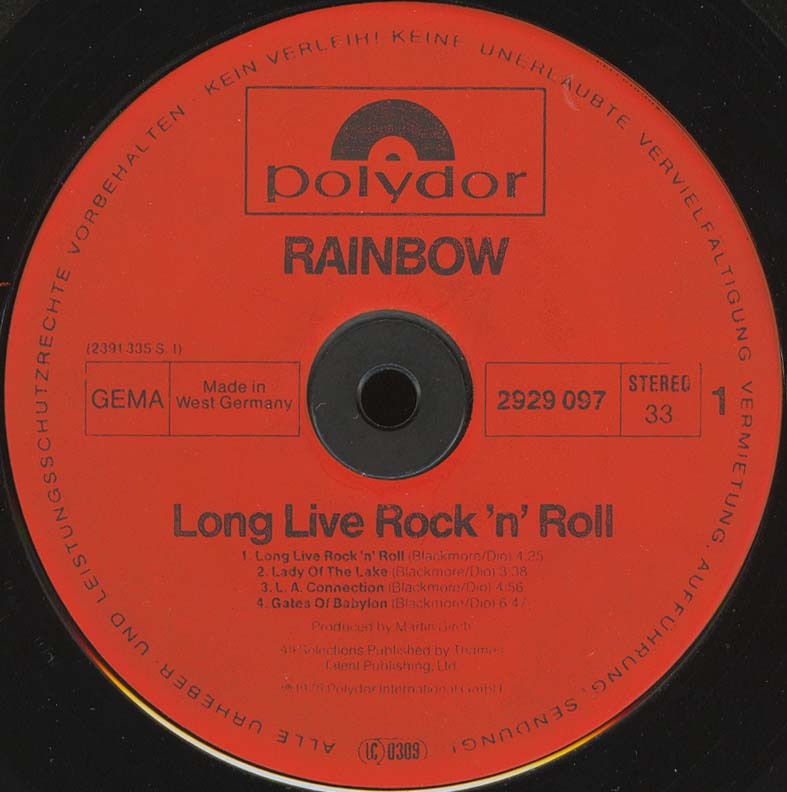 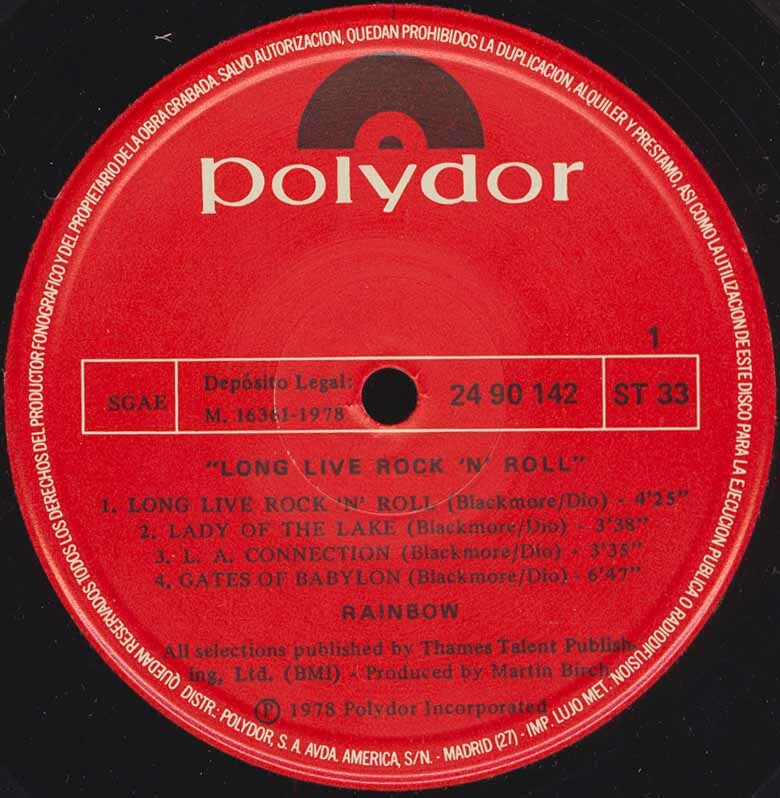 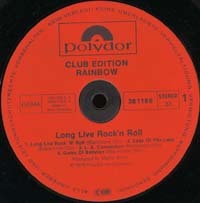 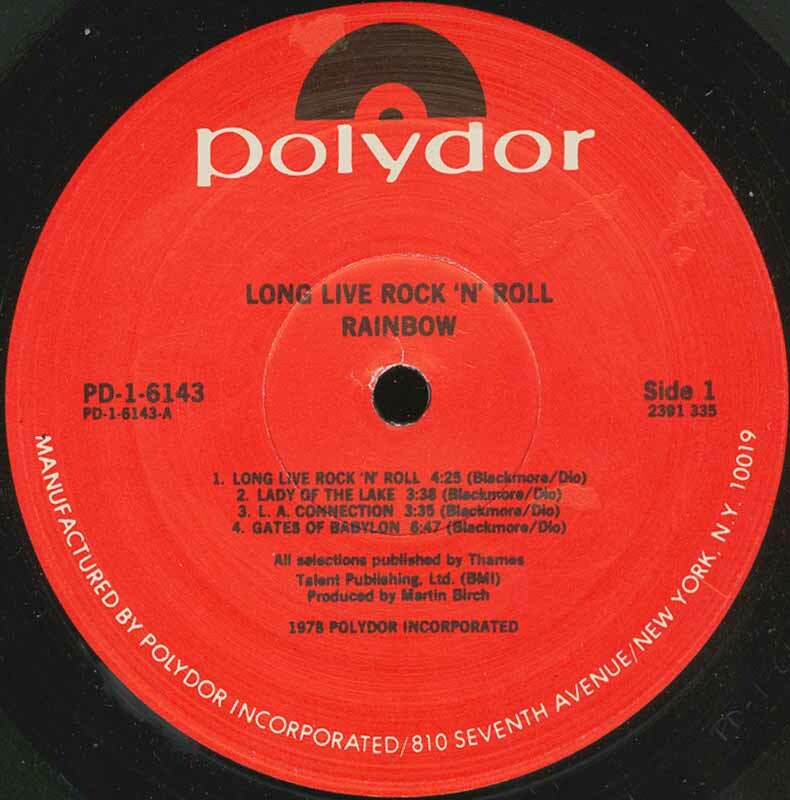 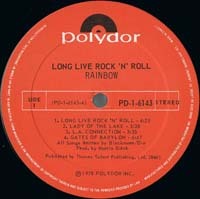 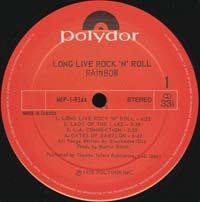 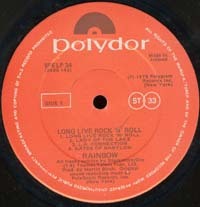 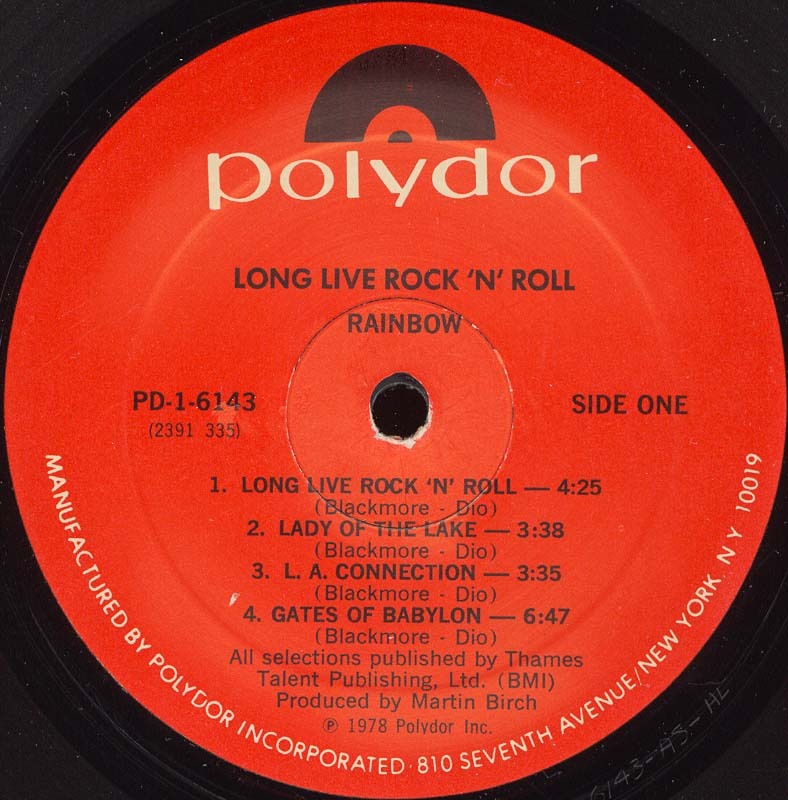 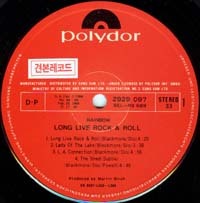 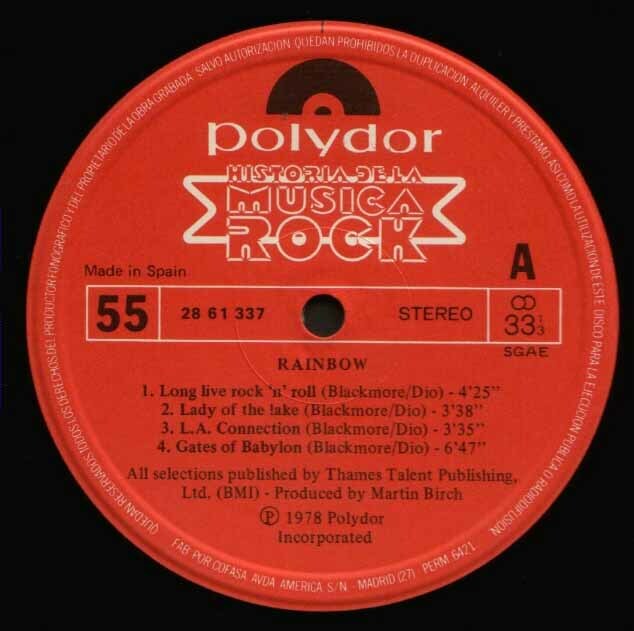 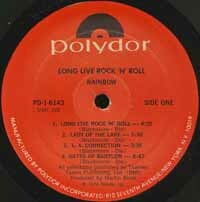 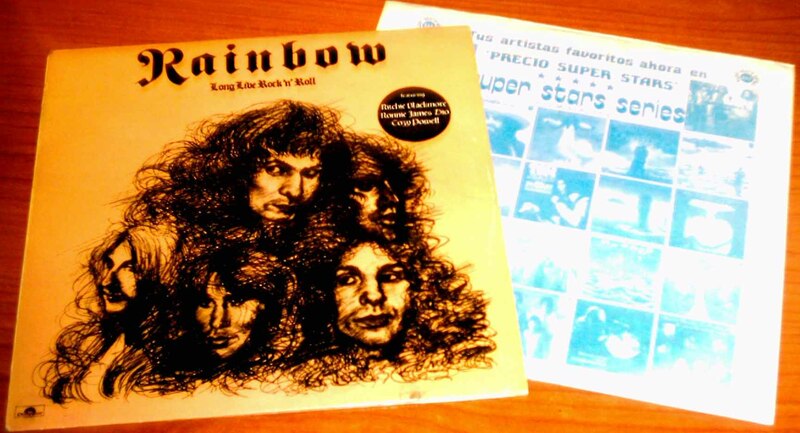 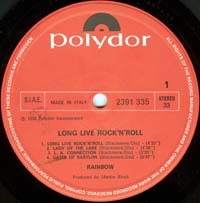 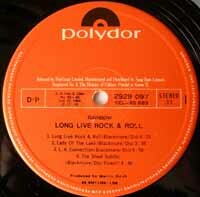 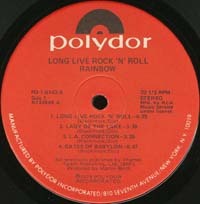 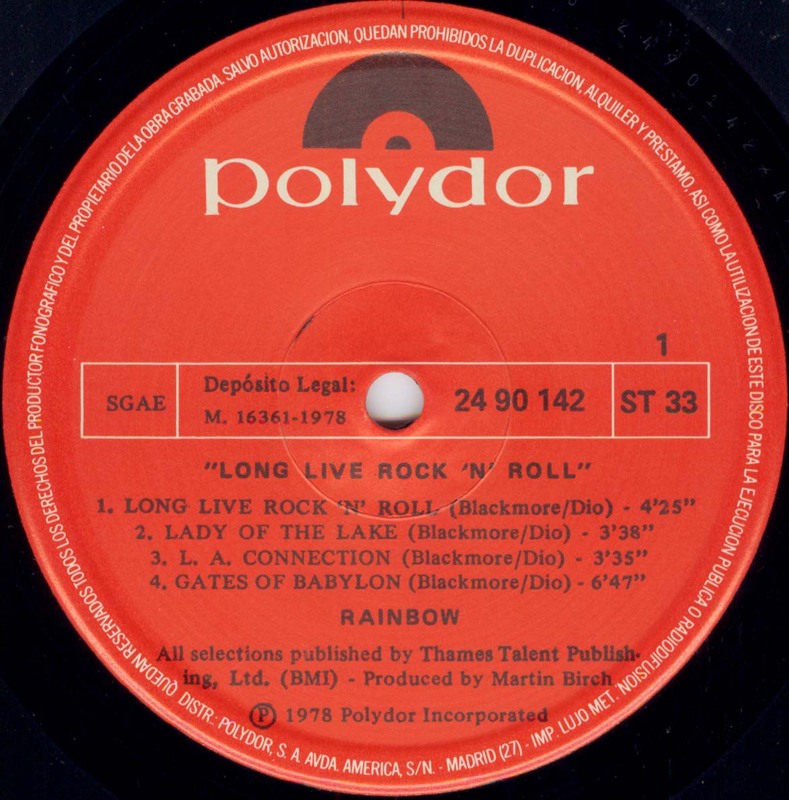 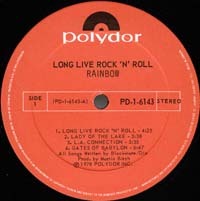 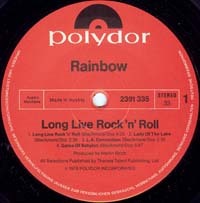 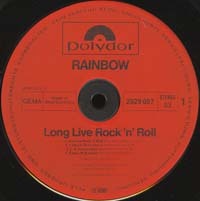 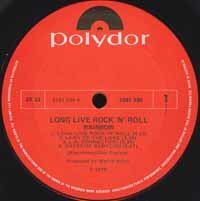 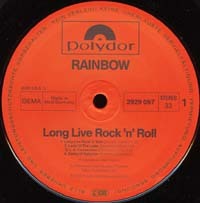 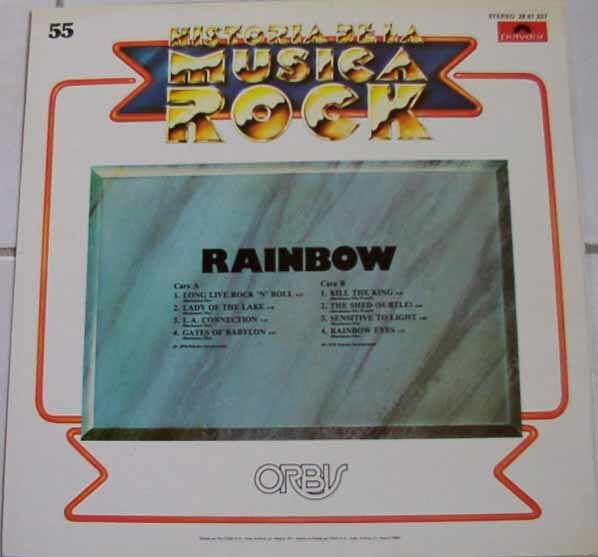 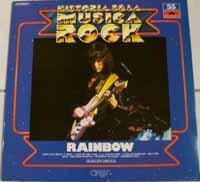 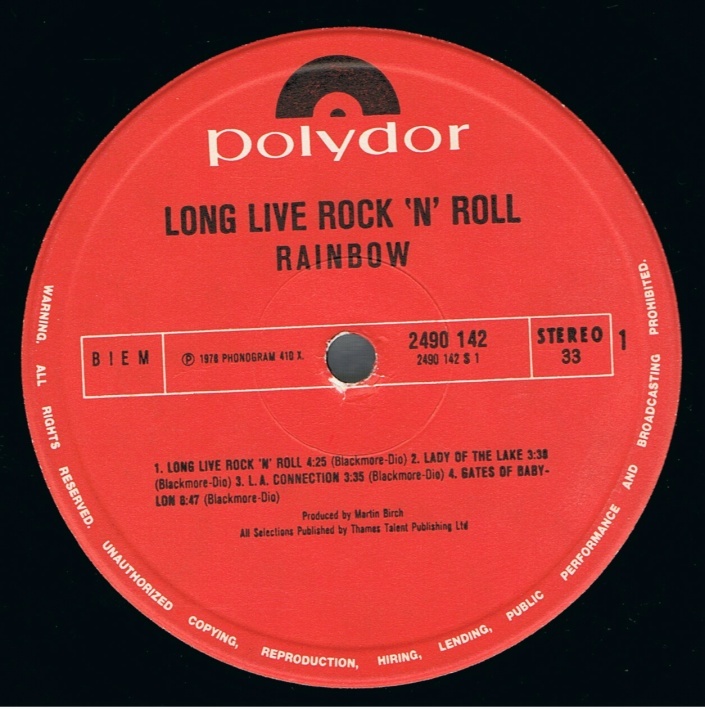 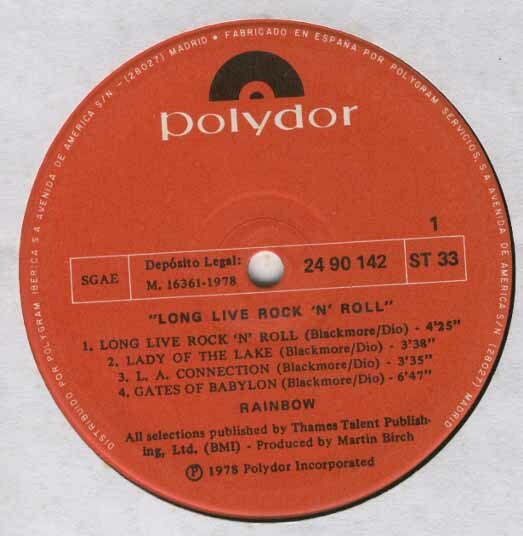 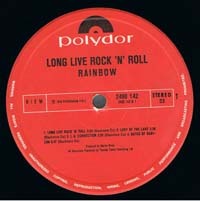 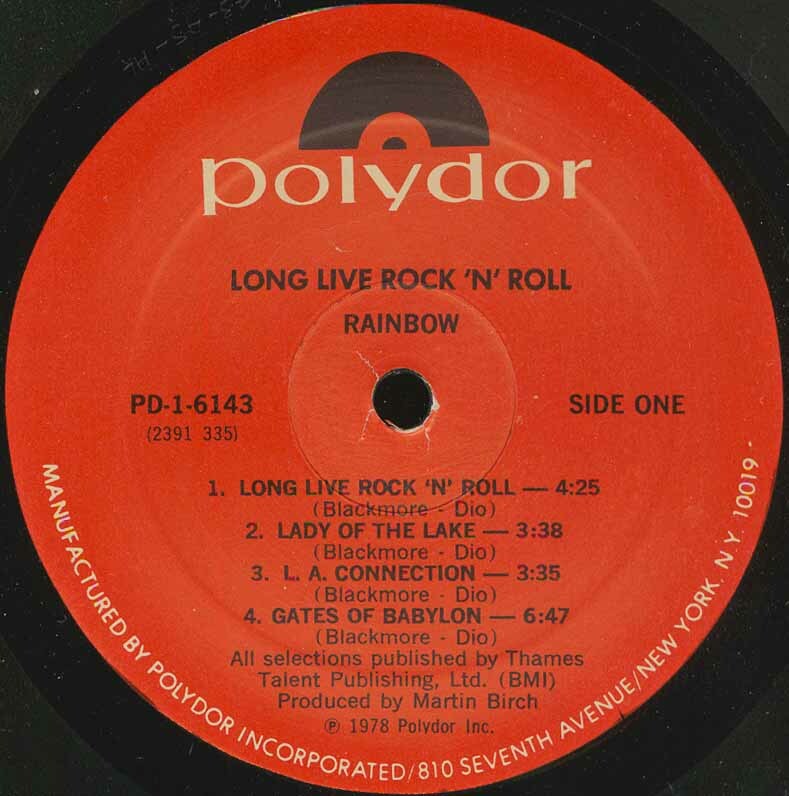 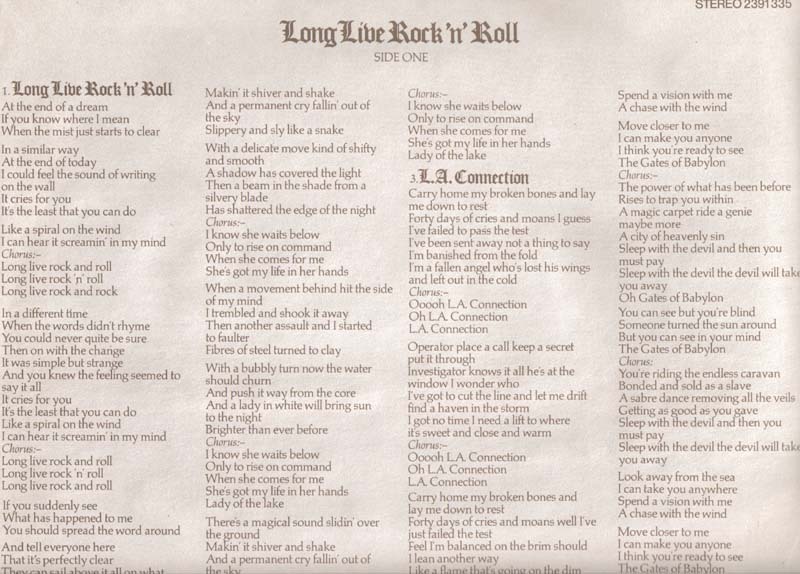 - Titled as "Historia de la musica rock"
- Does not have lyrics insert, comes with a Special Price inner sleeve. 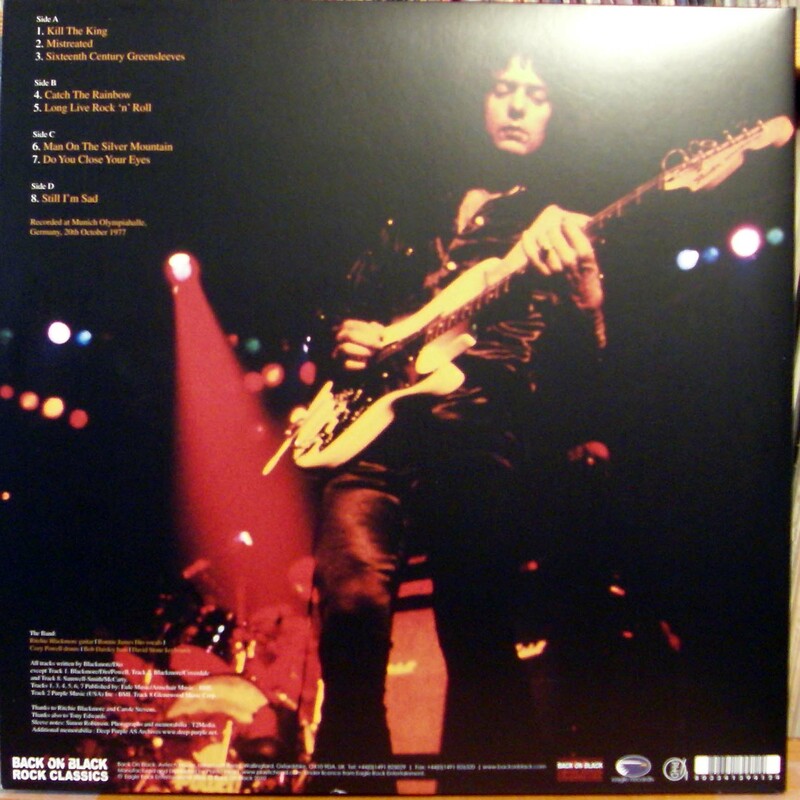 - Click here for a picture of the front sleeves. 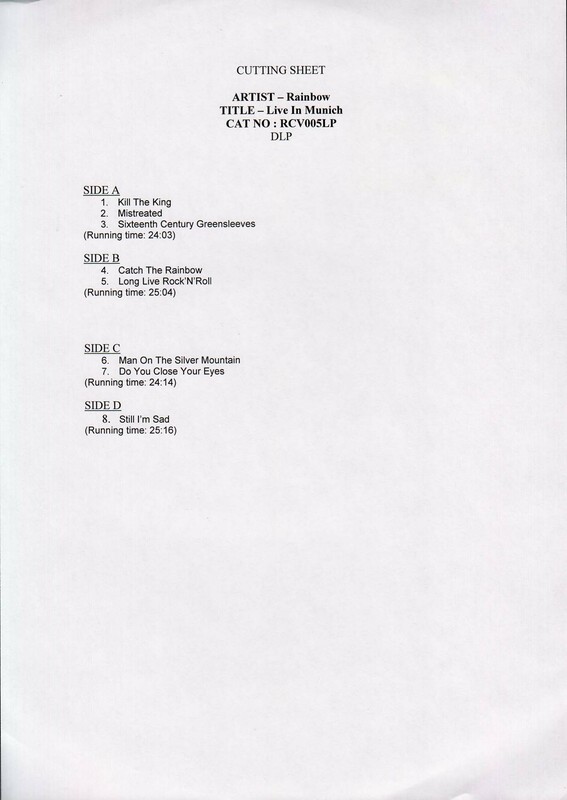 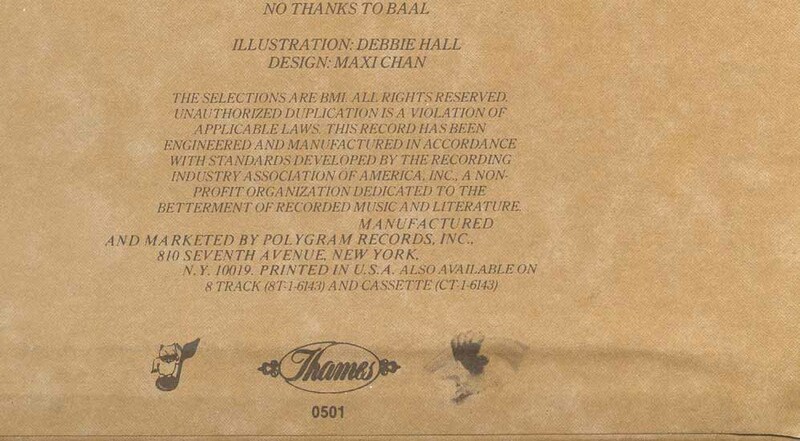 - Click here for a picture of the insert. - Click here for back cover picture. 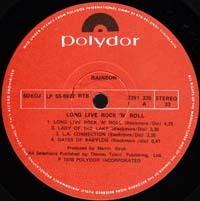 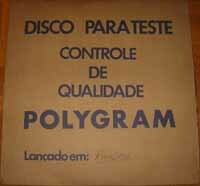 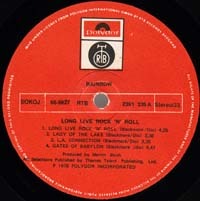 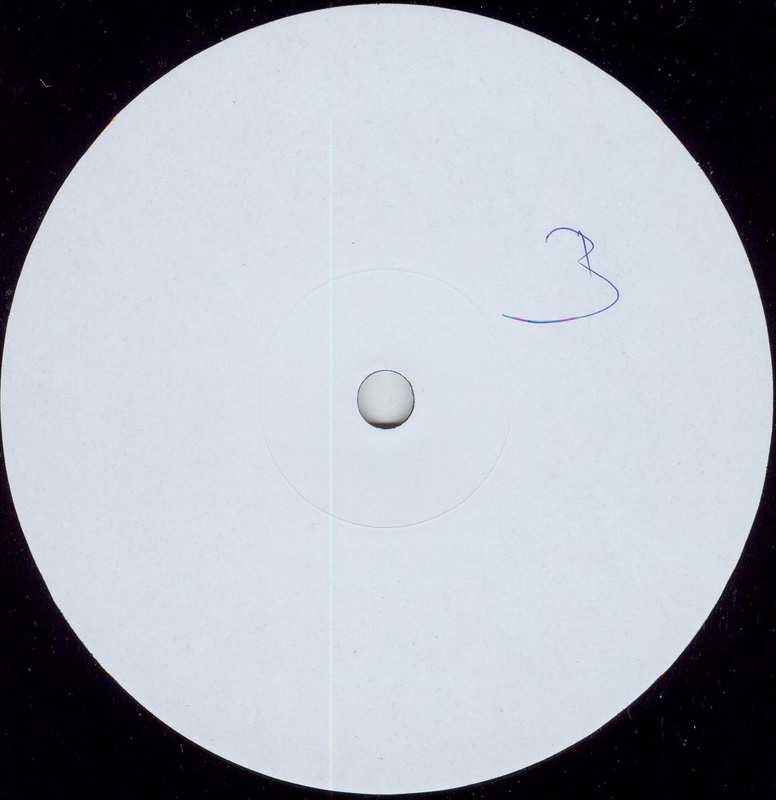 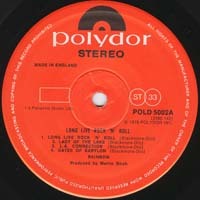 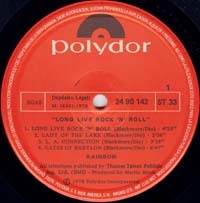 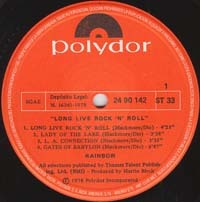 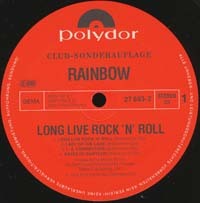 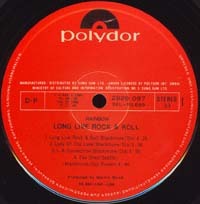 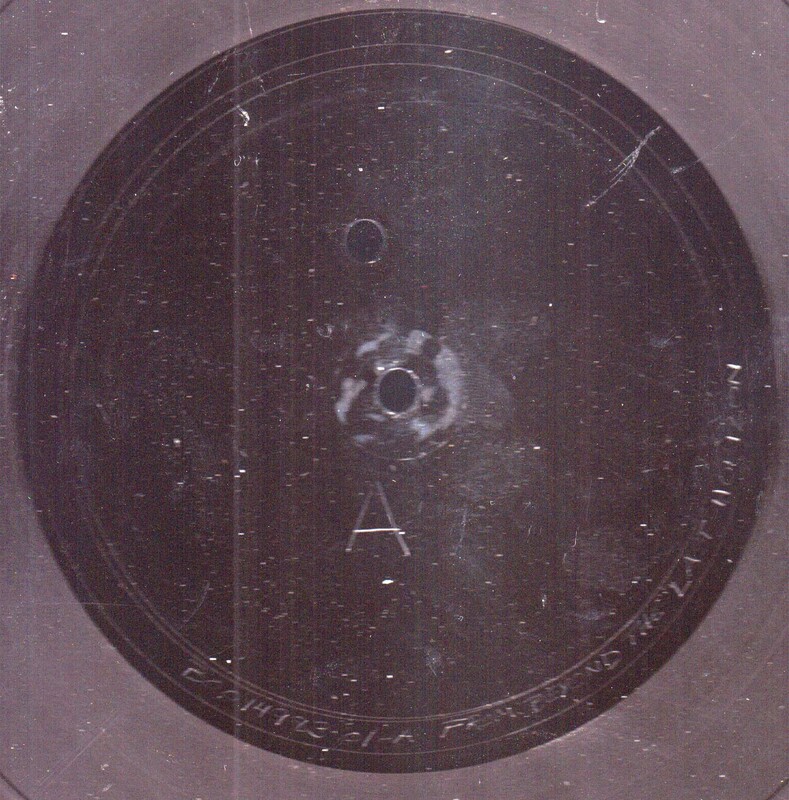 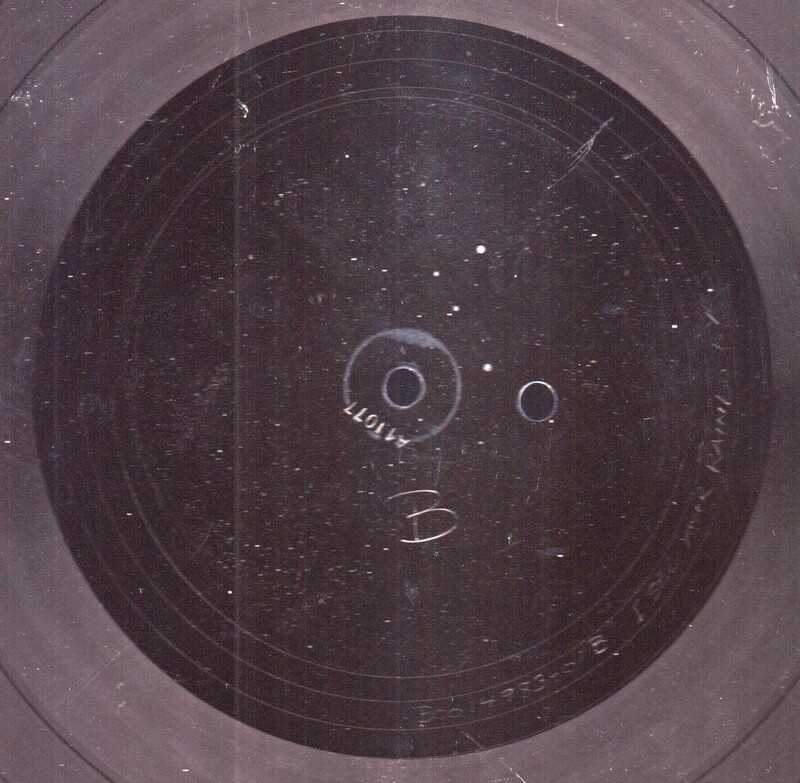 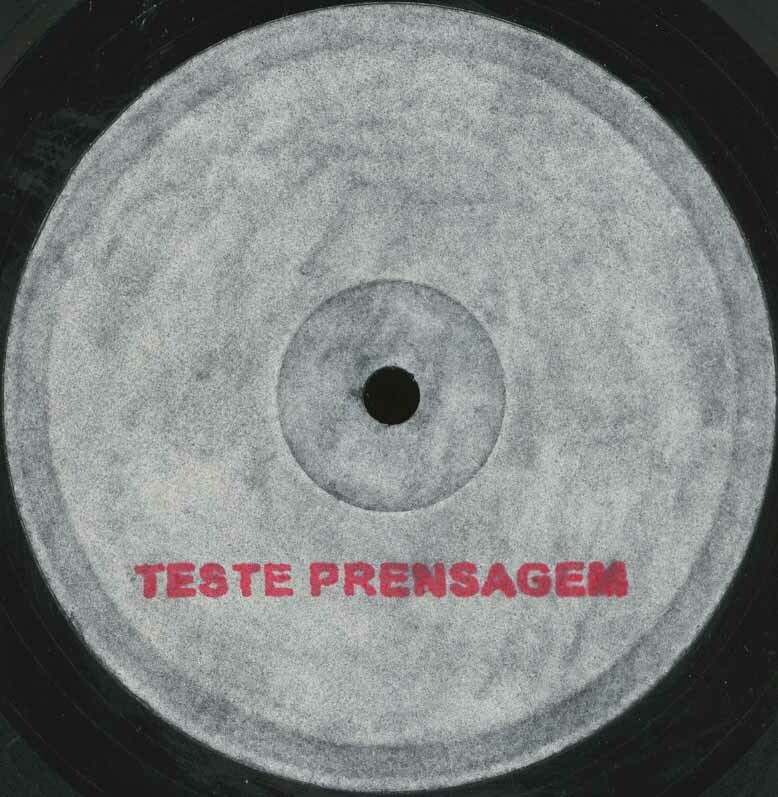 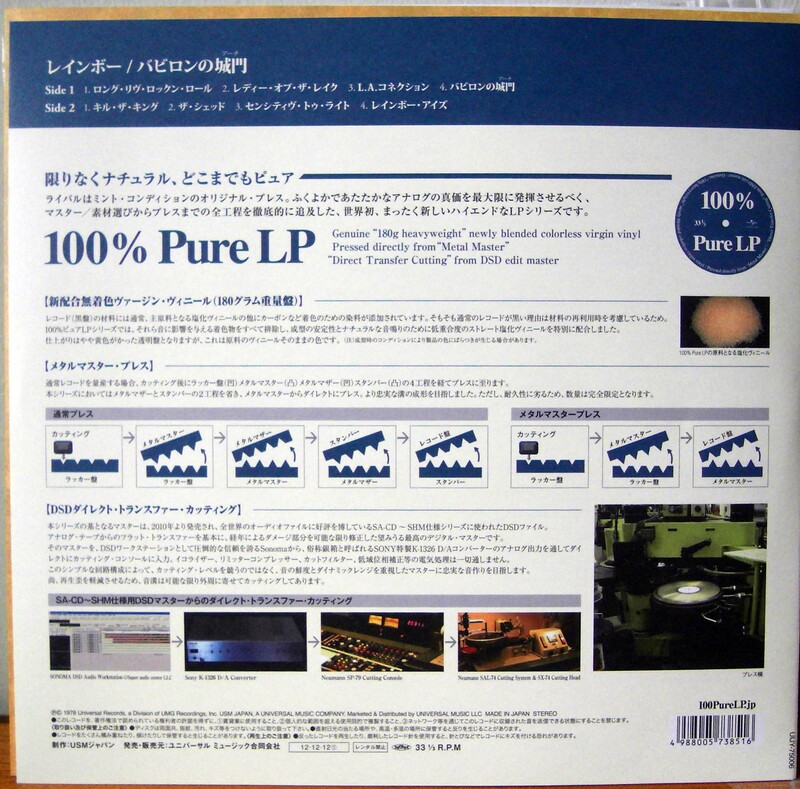 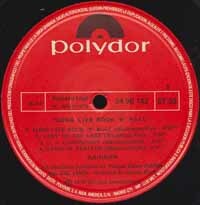 - Different label design than on the Dionet-00248 release. 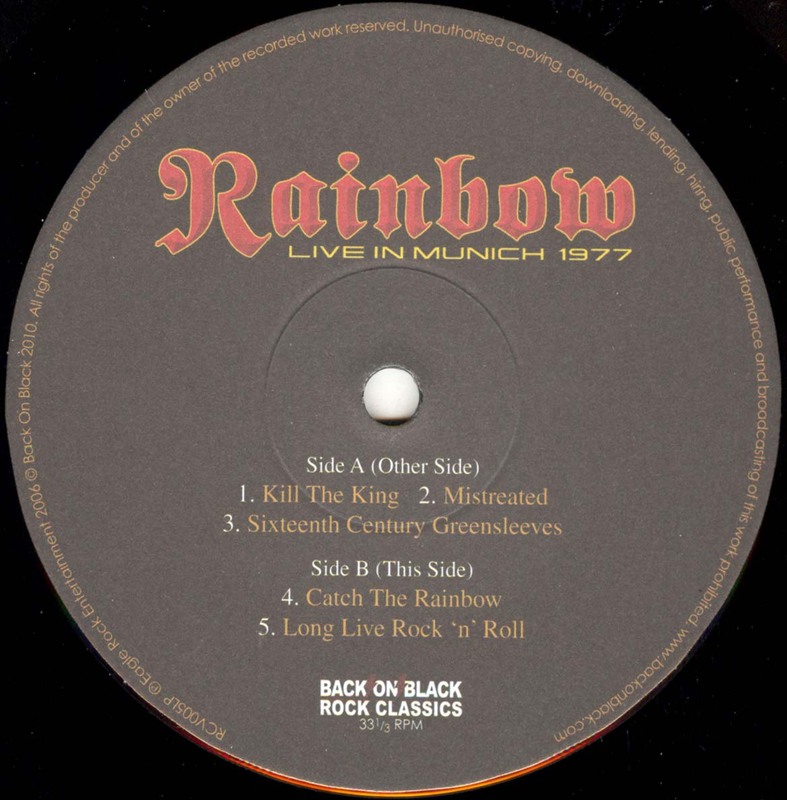 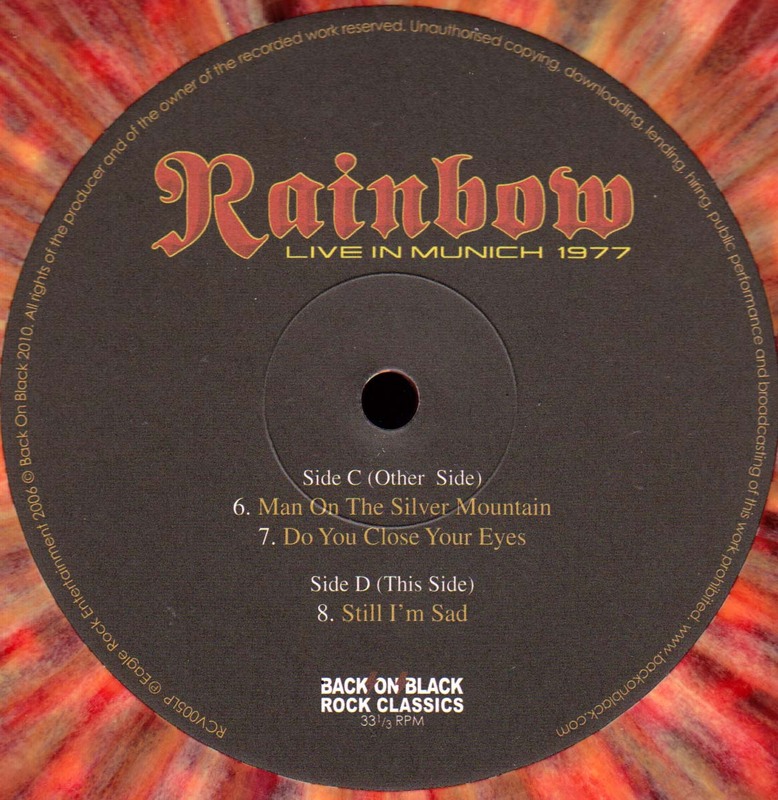 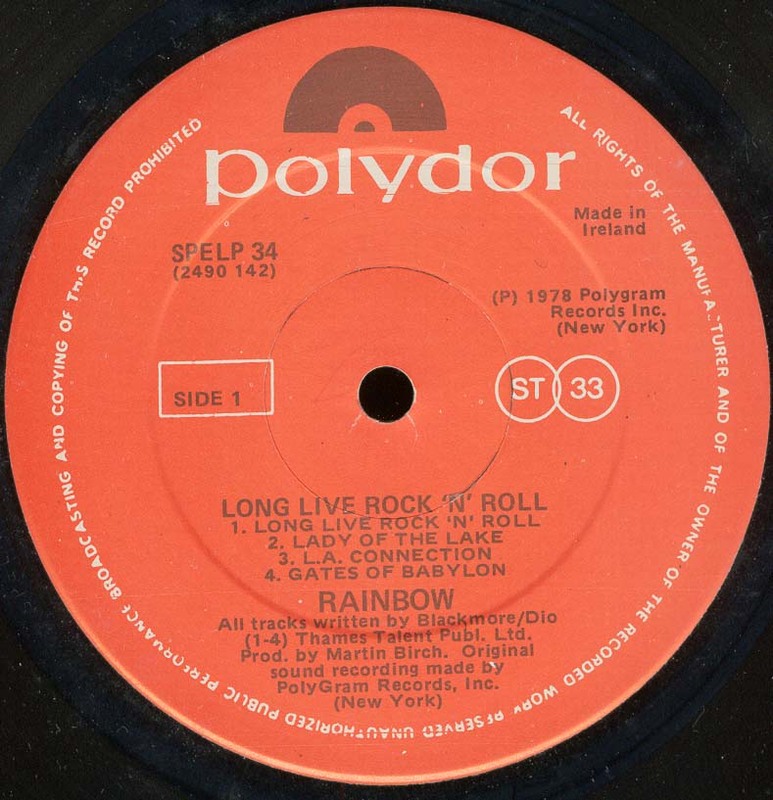 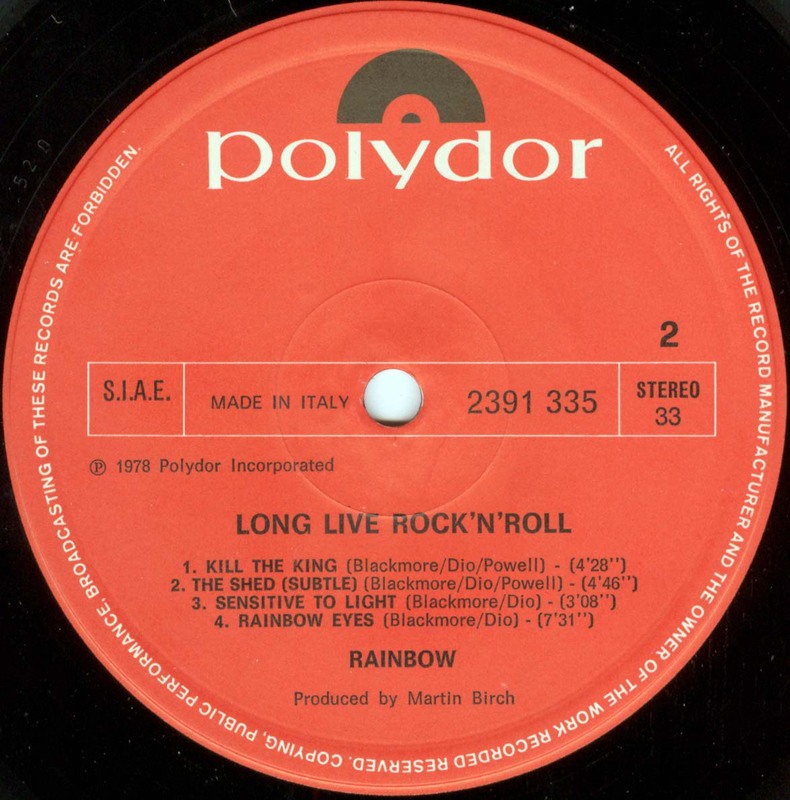 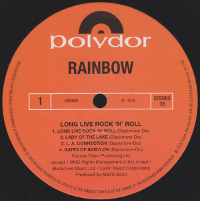 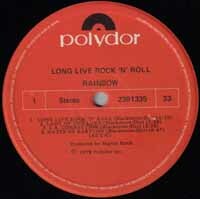 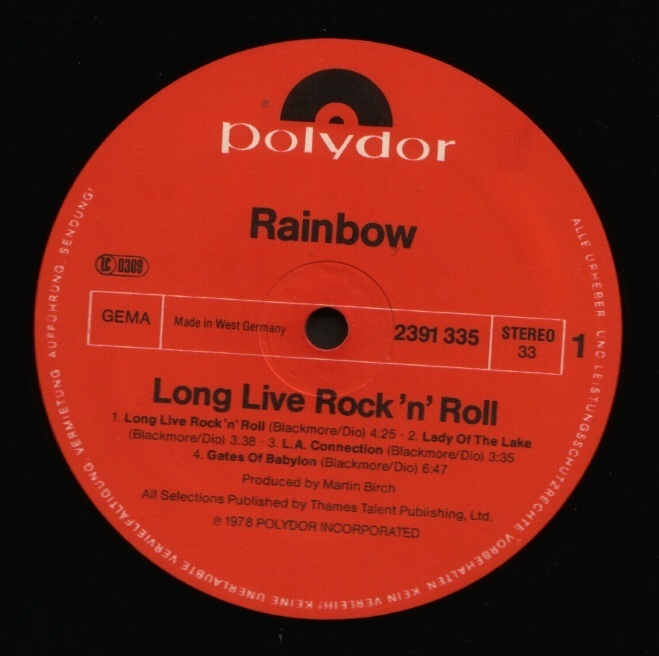 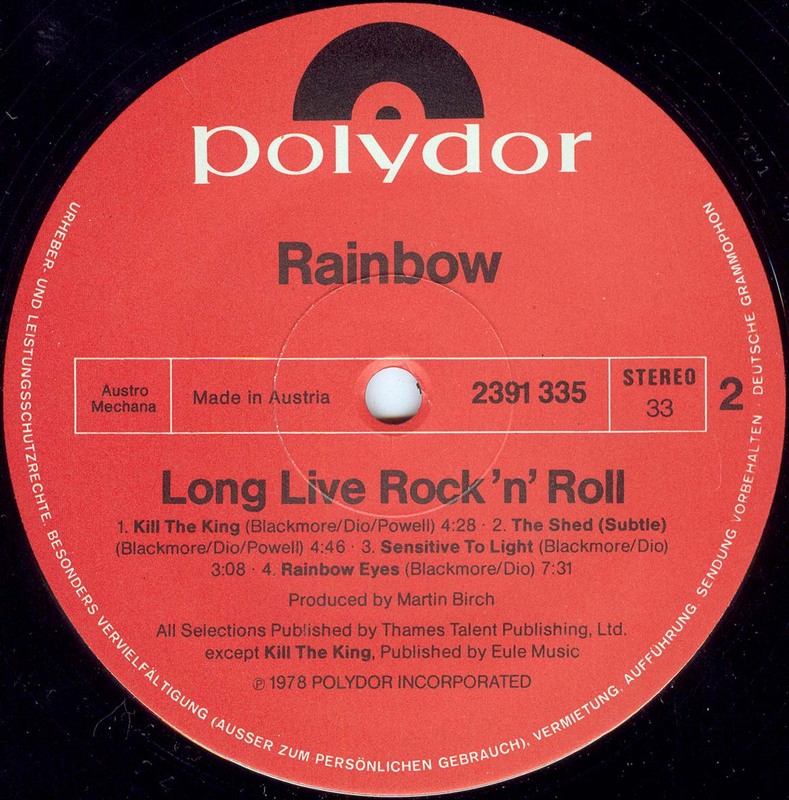 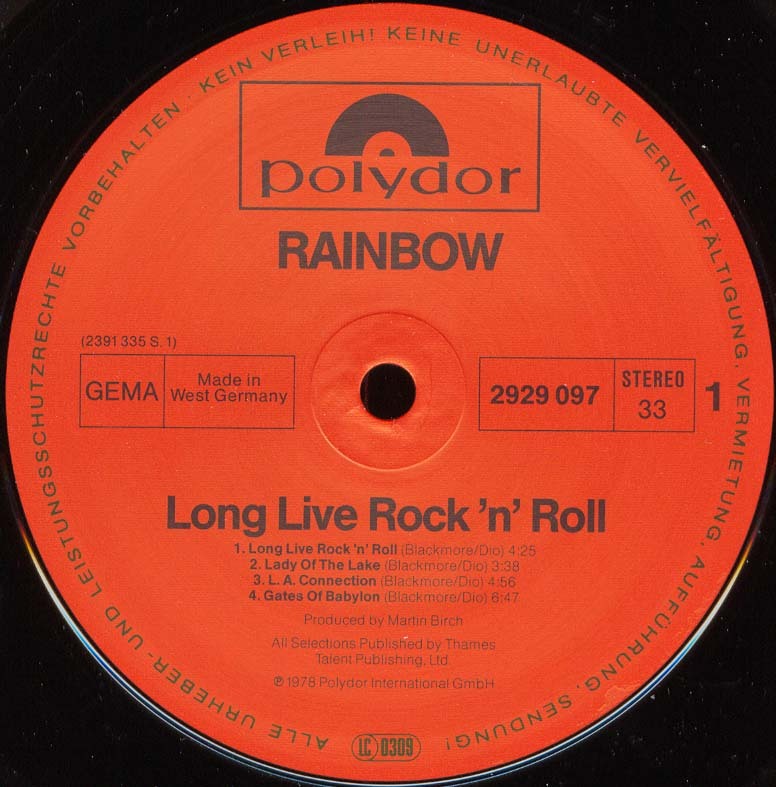 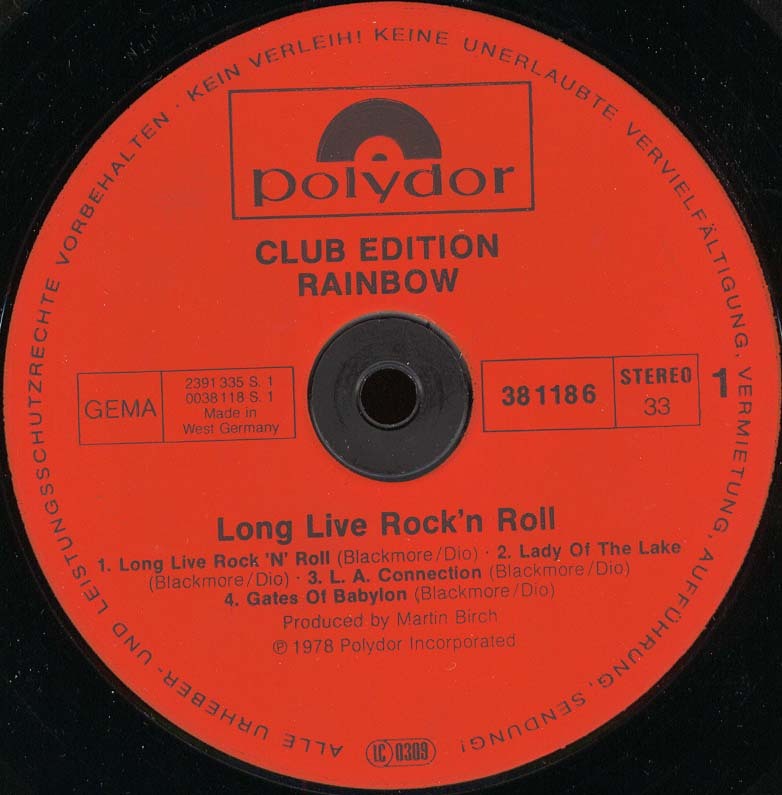 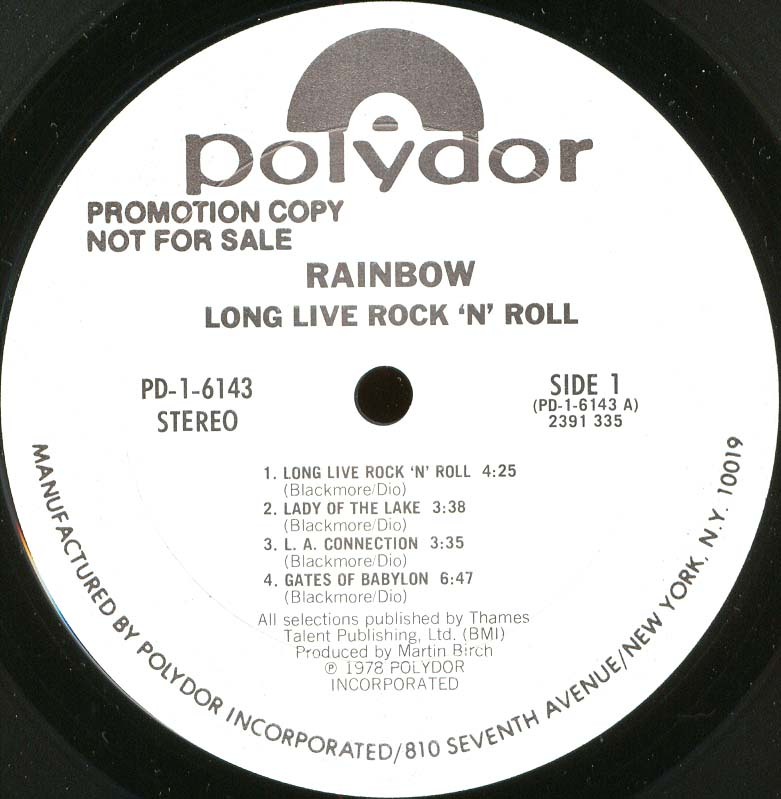 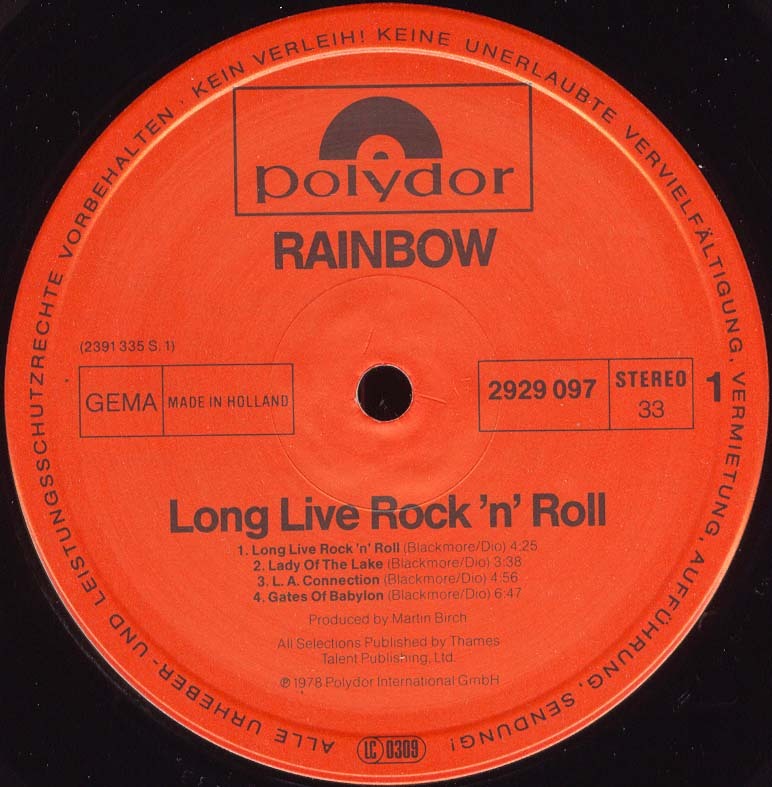 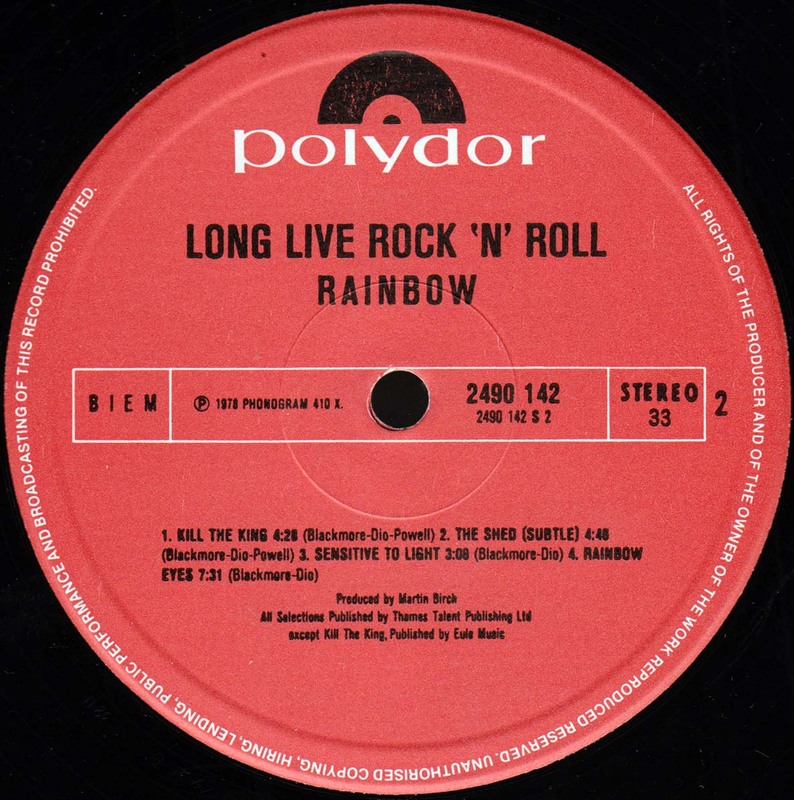 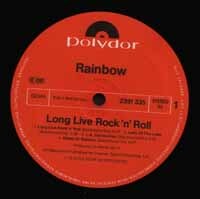 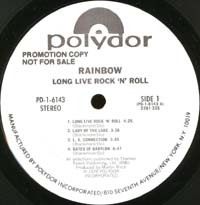 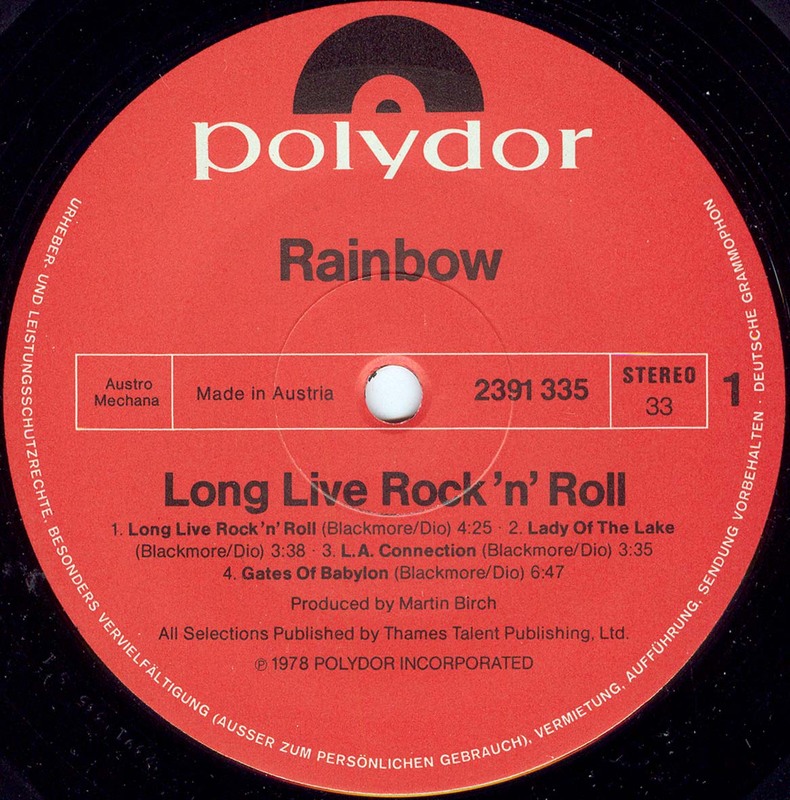 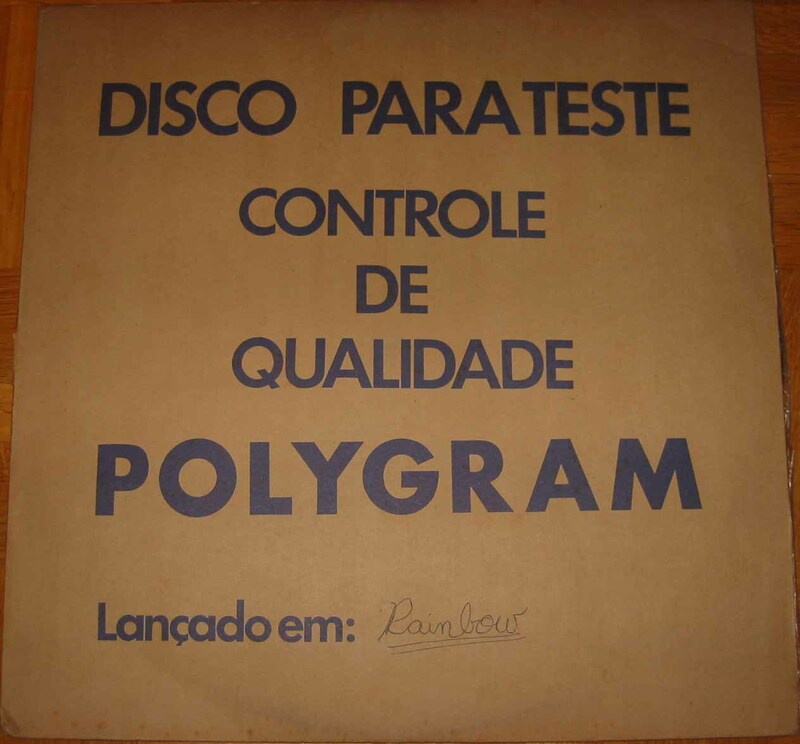 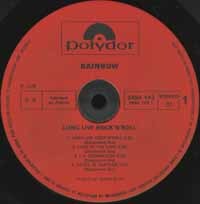 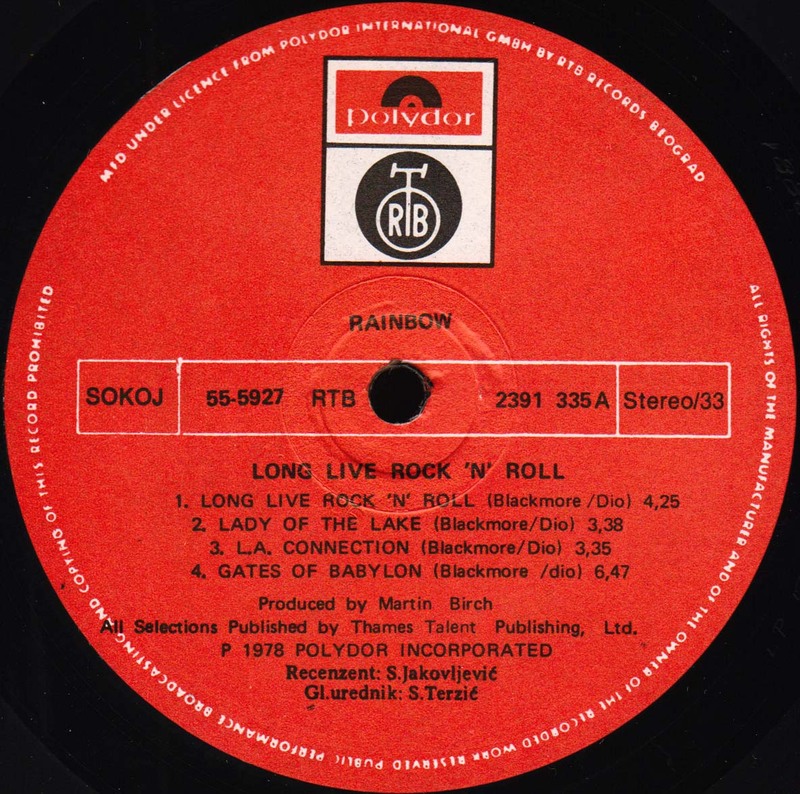 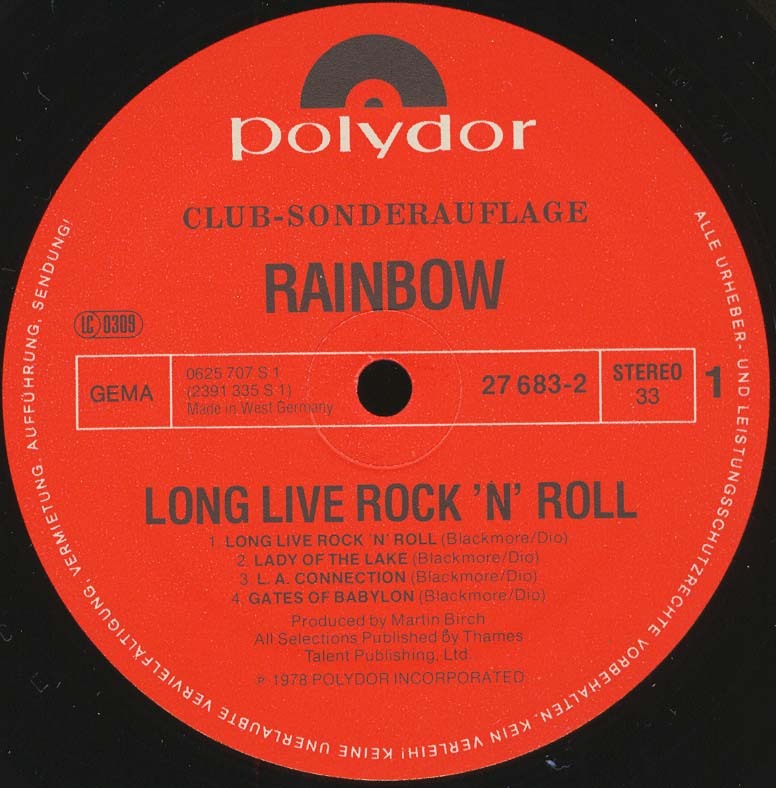 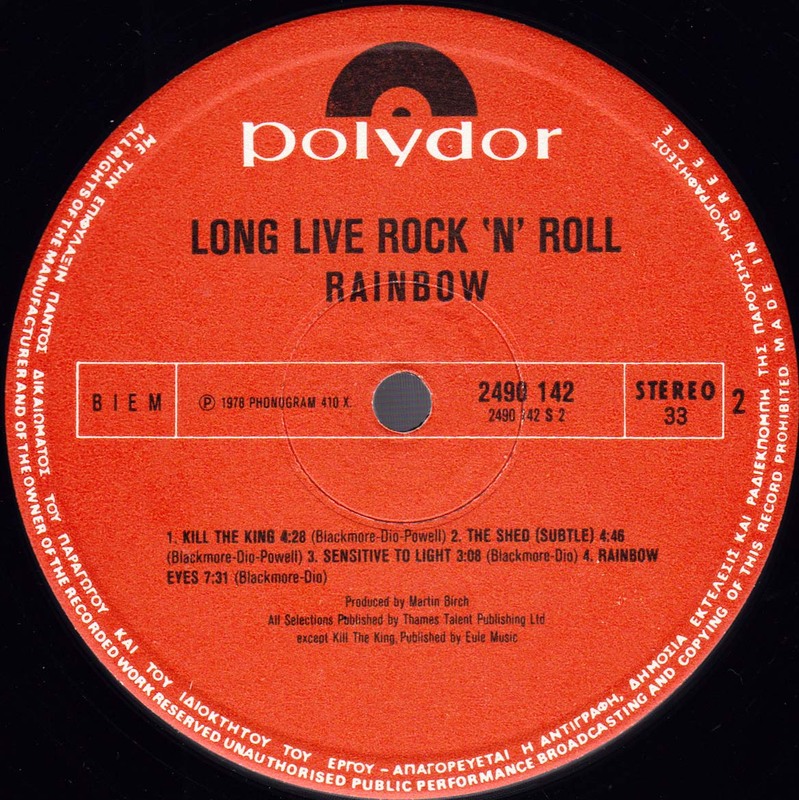 - Includes a sticker on the front sleeve saying "Rainbow Eyes"
- Recorded live at the Olympiahalle in Munich, Germany on October 20th, 1977. 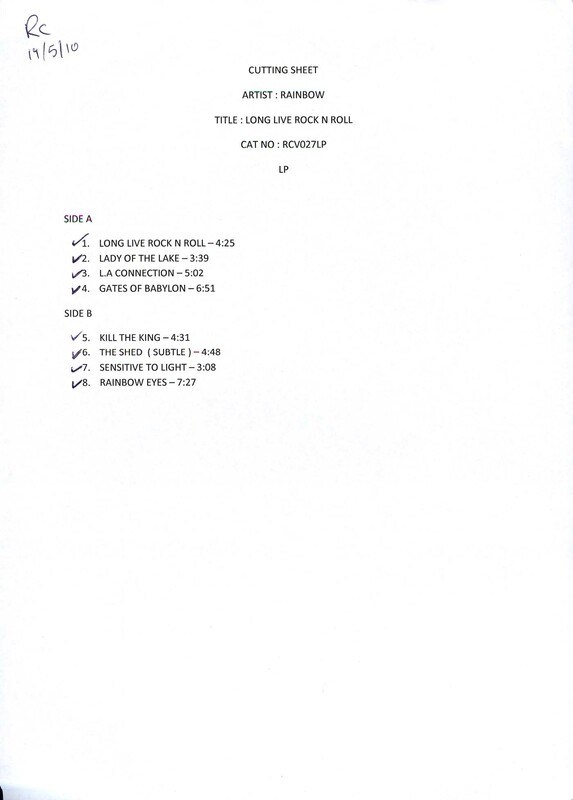 The page has been updated on 2017-07-20.